When I arrived in Gaden I went straight to Zong Ladrang (house). 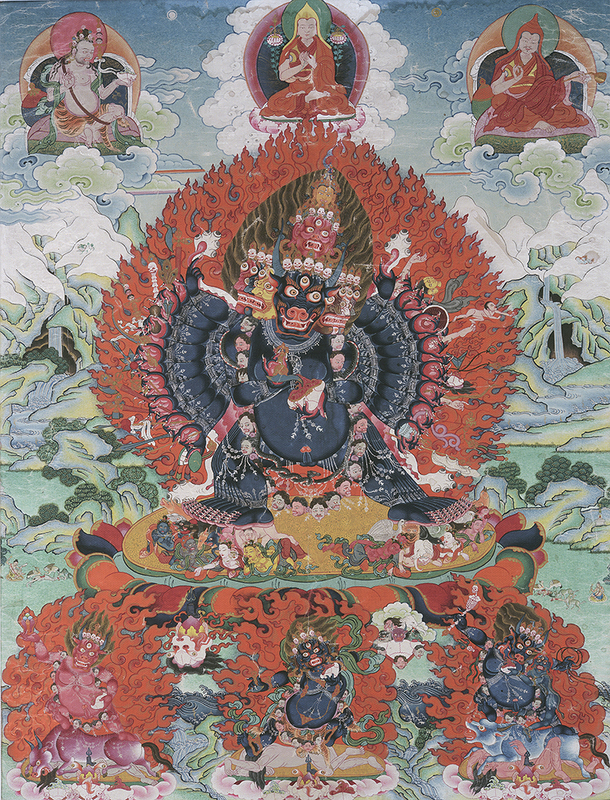 Ladrang is the Tibetan word for the Lama’s household. 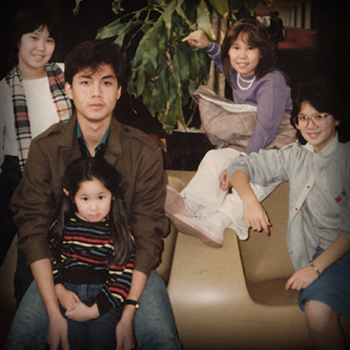 I left USA for the last time in October 1987. 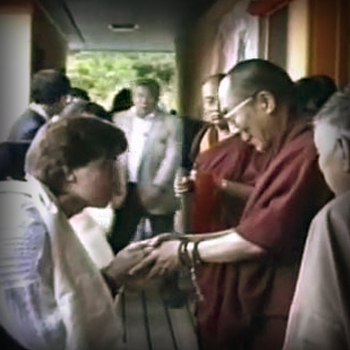 Was ordained by HH Dalai Lama in December 1987. Then went to Nepal and arrived in Gaden, South India in January 1988. Kyabje Zong Rinpoche instructed me to stay in his Ladrang on my last meeting with him before he passed away. So I followed his instructions. 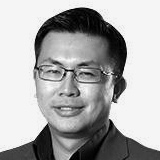 Zong Ladrang was run by Zong Rinpoche’s manager. 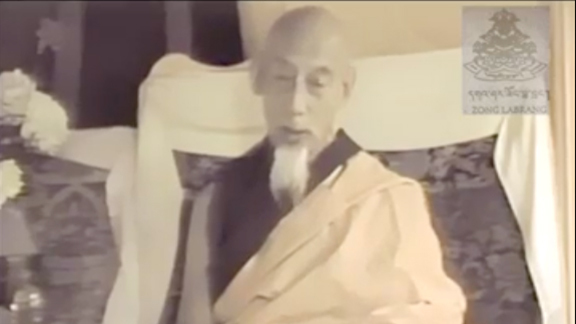 Zong Rinpoche had passed away and we were eagerly awaiting his incarnation. The manager had two small rooms that were connected to the cowshed in Zong Ladrang. A small room with leaky tiled roofs was going to be mine and no rent. I was excited. I loved being in Gaden. I love the monks. I LOVED BEING IN THE HOUSE OF MY ROOT GURU, HIS HOLINESS KYABJE ZONG RINPOCHE. This picture is the room in the front of mine. And then behind this room is my room. Behind us in the nice building is another chapel not physically connected to us. We were separated by a small road. You can see the tops of the Chapel in maroon and white circles behind the cowshed in the picture. On the right of these two rooms adjoined is where the buffaloes and cows stayed. My room had a huge crack in the wall and I can see the cows and they can see me daily. I slowly painted the room blue, cleaned it up, put a simple bed and table inside and it became mine. I put netting over the windows cos at night there is tons of mosquitoes and a ceiling fan kept the heat at bay. I loved my simple small room in my guru’s house in Gaden. The smell of the buffaloes were strong, but you get use to it. This is where I did my reading, retreats, tsok, pujas, prayers and had many great times for a few years. Across and separate from me was the communal toilet and shower. Left is toilet and right is shower. Found snakes in the toilet a few times too, but I didn’t get harmed. When he passed away and I got the news in Los Angeles…my whole world fell apart. I couldn’t stop crying for months. Even now as I type this tears flow down my face. I can’t say I have missed anyone in my whole life as I miss Zong Rinpoche. 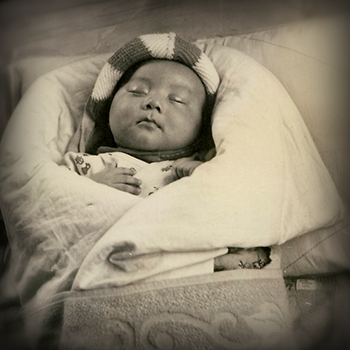 To me, he was the most perfect High Tibetan Lama. The perfect Archetype of what I imagined them to be like. He was very knowledgeable in sutra. Perfect master in tantra. Had full clairvoyance. 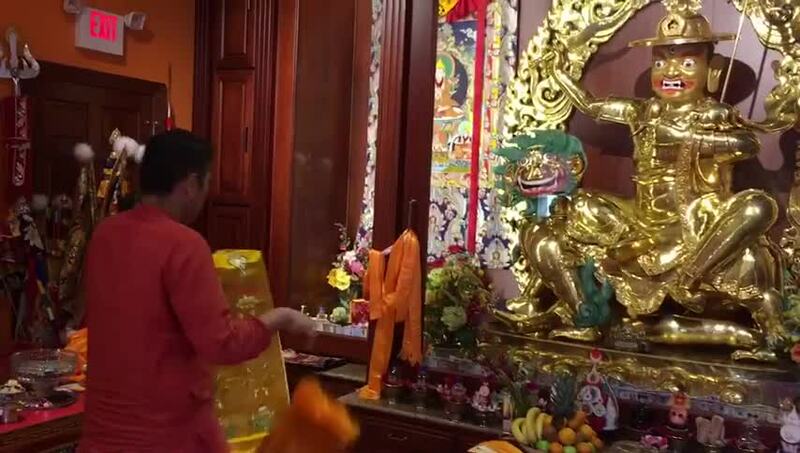 Very hard to surpass Rinpoche in the knowledge of rituals. And on occasion manifested his tantric powers. I have never recovered from his passing. 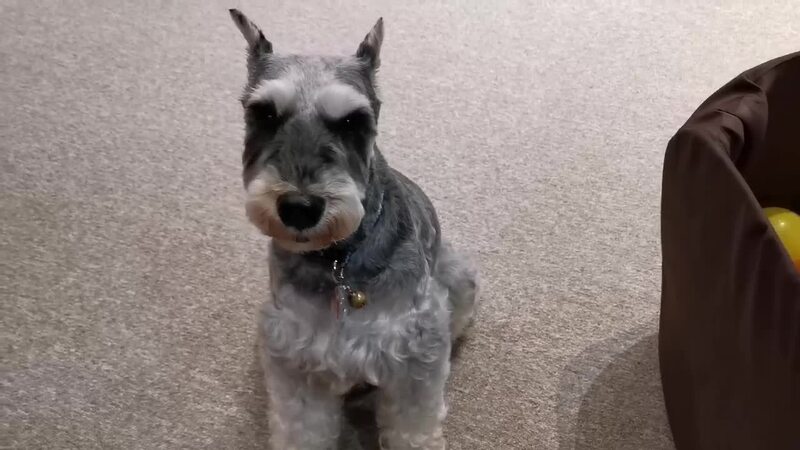 There’s not a day that goes by that I don’t miss him. Not a day goes by I haven’t recited his name mantra for the last 25 years.. I keep his photos and statues near me always. I believe and trust in Zong Rinpoche all the way. I have some of his hair he gave me and it has always been with me and I carry it wherever I am. This is the window to my room from behind my small room. The monks would walk up and down. My monk friends would tap on the window to say hello often–it was a good time for most of it. When I entered his Ladrang, his energy pervaded the whole place, BUT HE WAS NOT THERE. I had come after he passed. 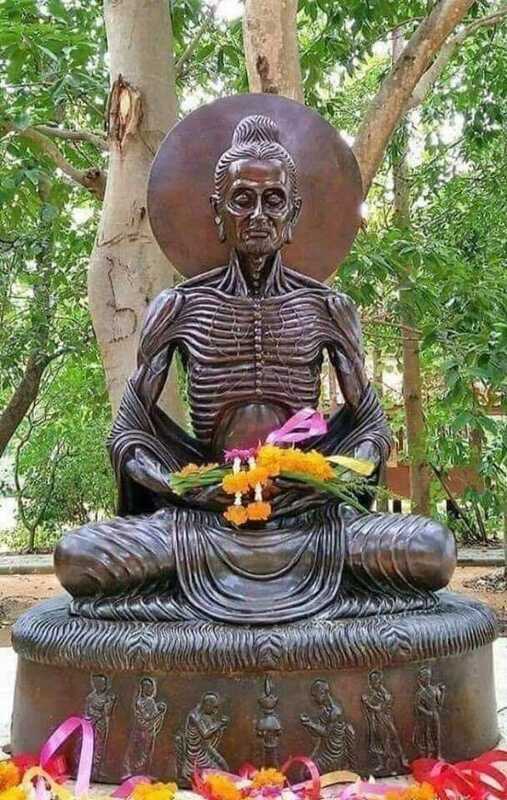 I had come after my guru had left his body. 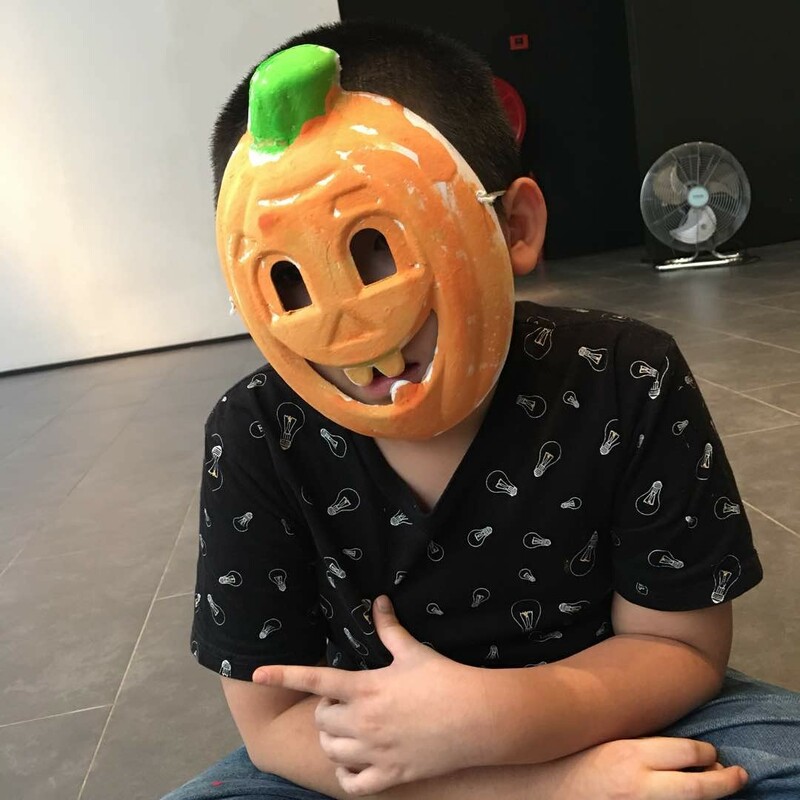 So much negative karma that I could not meet him again. I toured his rooms, his stupa, his bed, his prayer room, his yard, his students, his trees, his plants, his chairs, his carpets, his statues, his altars and i felt him everywhere. I felt the presence of this enlightened being everywhere and all the places I looked. 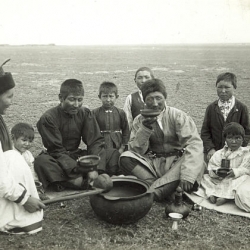 He had over 30 students that lived in his ladrang. We were the Zong Ladrang students and I was very proud and honored to be one of them.. But Rinpoche has passed away. I felt alone. I felt vulnerable. I felt lost. I missed him so much. I realized that only in body was he gone, but being Heruka Cakrasamvara, his mind was every where and I must tap into his mind by developing compassion, benefitting others, letting go of pains, and working for others. 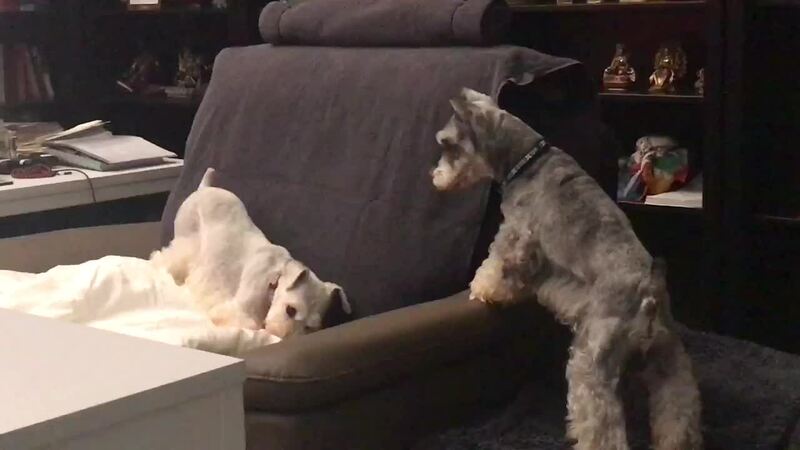 That is the only way I can connect with him again….and I was determined to do that…. But I missed Zong Ladrang very much. Some of the students in Zong Ladrang were very kind to me and I remember them till this day and send them gifts. When I arrived in Zong Ladrang in 1988, I had very little money, didn’t speak a word of Tibetan and was bright eyed and bushy tailed. I was very poor but happy. Many times I didn’t have enough to eat and lost alot of weight and became very emanciated.. but I was happy. I never wanted to return to a lay life and go to USA again. I was where I was suppose to be, live and die there. I wanted to be in Gaden. And Gaden was in me. This is the Post office 20 mins away walk from Gaden from whence later I would send and receive thousands of letters and correspondences. Most of the time, the letters didn’t get lost either! There was no Western Union during my time in Gaden, this is recent. But it is the same building with no difference at all. 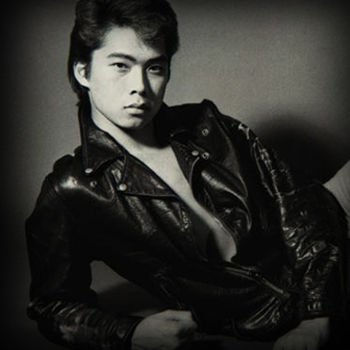 Hard to believe, but this is me in those days. I didn’t have much money. Not much food found my mouth. The monks with sponsors can buy extra, but I didn’t have a sponsor. Many monks were just like me. 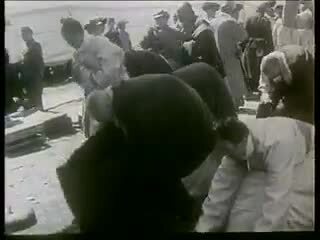 Some worse suffering from TB. I was always hungry, but I am not complaining. I wanted to be there and happy to be endure poverty for the dharma. Later in 2006 from Malaysia where I was living I visited my old room in Zong Ladrang. 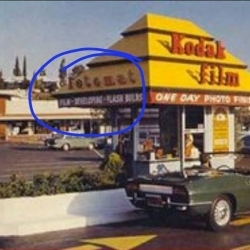 I shared alot of memories with the 62 people who followed me there. 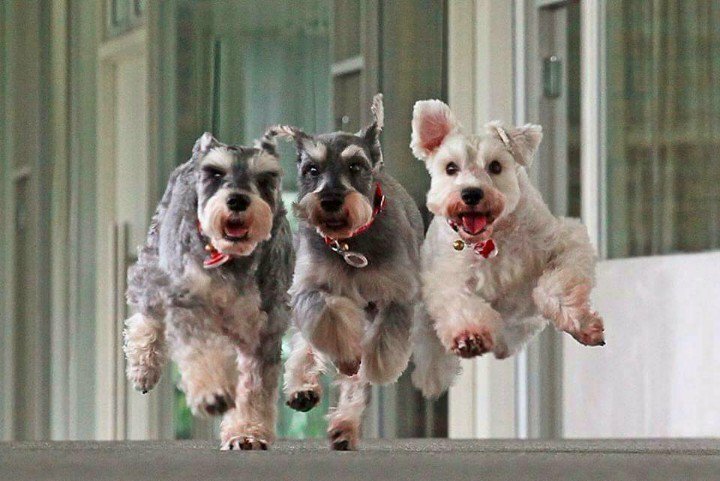 They were very happy to learn of my background and I humbly shared it with them. See below. 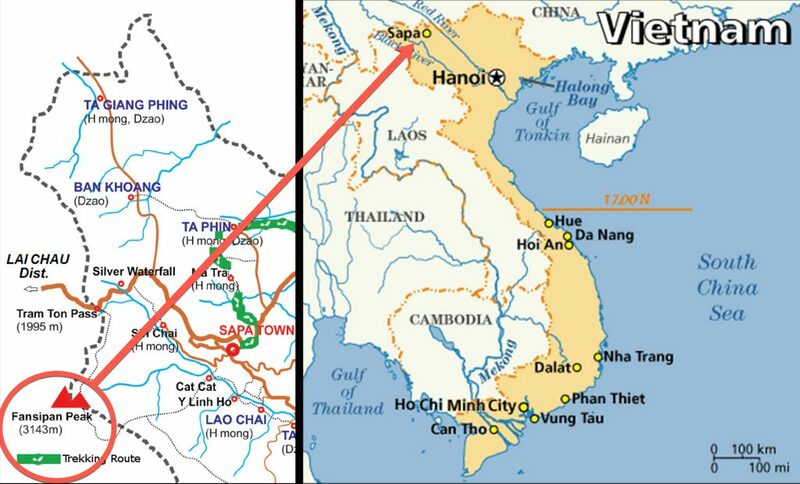 Later I moved to my own house from Zong Ladrang. 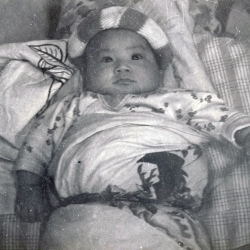 My father built me on my own house on land that was mine in Gaden after being recognized as a Rinpoche. My house was called Tsem Ladrang-Gaden. 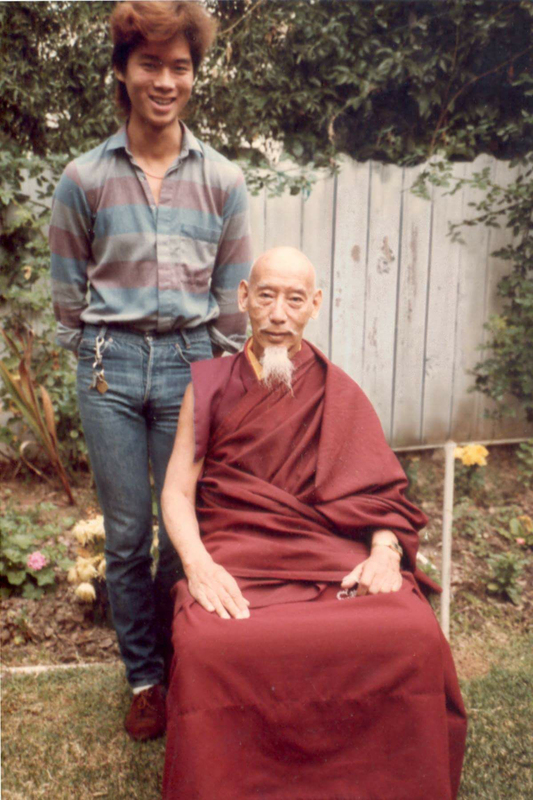 This sharing of pictures and thoughts overwhelms me with thoughts of my perfect teacher Kyabje Zong Rinpoche. How he recognized me as a reincarnation and told me to stay in his own house (ladrang) when we met the first time. Memories/thoughts/ love for Kyabje Zong Rinpoche is what has kept me going through the most difficult periods of my life and I had many obstacles. 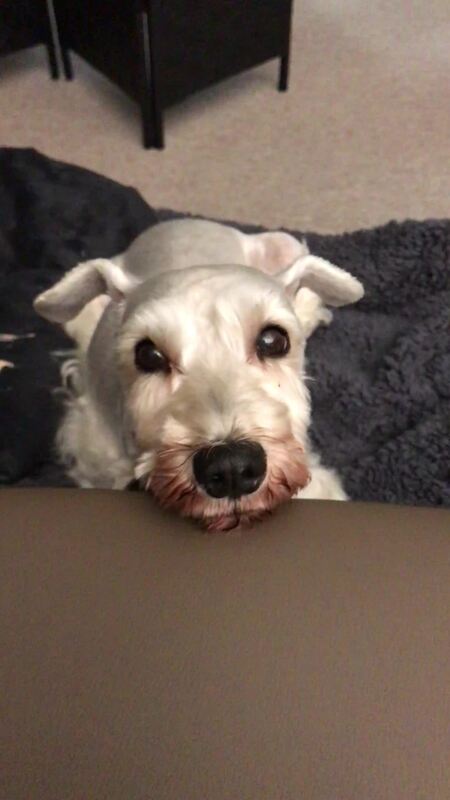 He has been my reason to keep going. I love you Kyabje Zong Rinpoche forever. May I be connected with you in all my lives until liberation. From the point of my liberation in the distant future may I wear you on the crown of my head always. 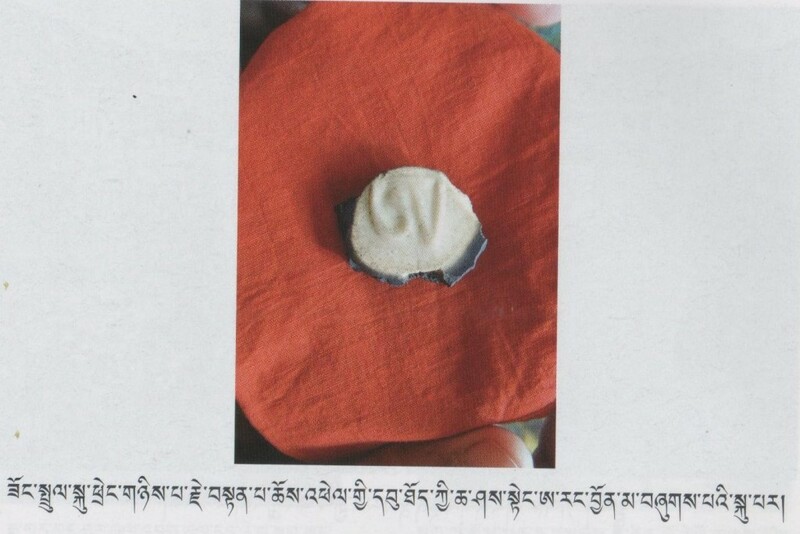 Tibetan ‘Ah’ syllable found on the inside of the skull of the 2nd Zong Rinpoche, Zongtrul Tenpa Chopel (1836-1899 AD) after his cremation ceremony. 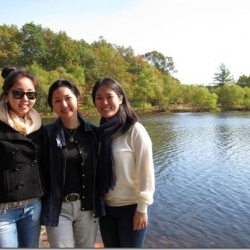 « Blogging and posting retreat in Ladrang! Thank you Rinpoche for your sharing. 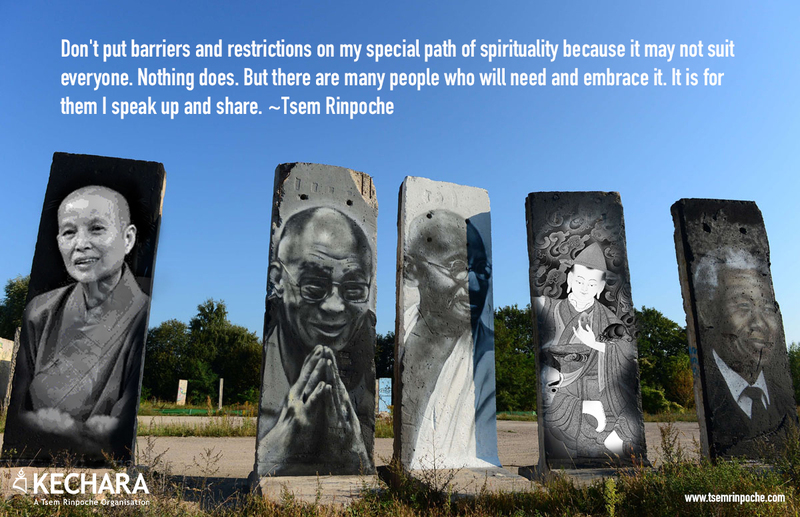 Rinpoche have gone through hardship which many of us would have imagine. Rinpoche never fear hardship, difficulties and struggles since young. Hence staying in such a small hut call home in Zong Ladrang and sharing with other monks has motivated him. Being able to stay in a hut which belongs to Rinpoche’s Guru HH Kyabje Zong Rinpoche, Rinpoche felt wonderful and determined to continue with learning Dharma from there even it’s in a bad state. Pictures of HH Kyabje Zong Rinpoche and the hut of those days had brought back sweet memories to Rinpoche . 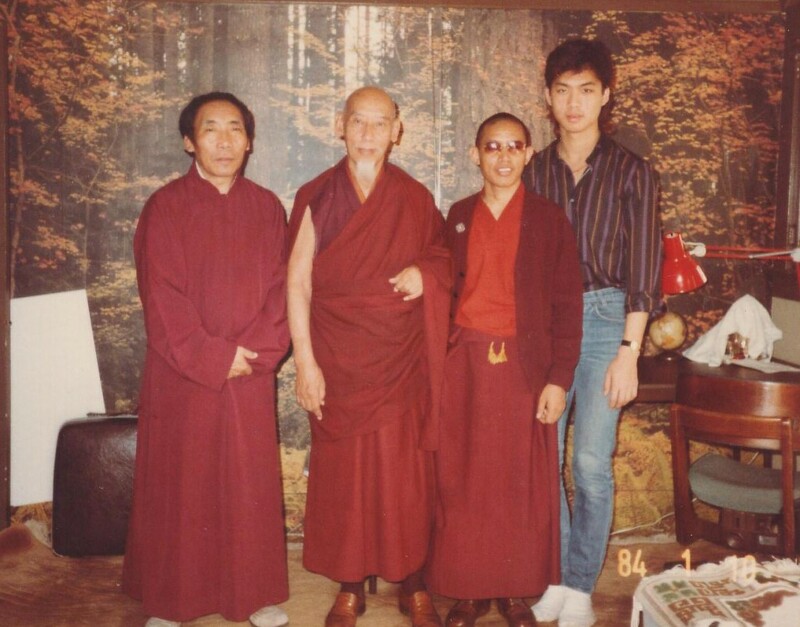 For pure love of Dharma and out of Guru Devotion to his beloved Guru, HH Kyabje Zong Rinpoche, Tsem Rinpoche was very happy to be in Gaden , even though his home was a cowshed when he first arrived in Gaden Monastery in 1988. His love for Zong Rinpoche who had passed away earlier (much to his great grief even up to today)was seen in his remembering his Guru’s instruction to him to stay in his Ladrang.Indeed Rinpoche felt proud and honoured to be a student of Zong Rinpoche and staying in his ladrang! He felt the energy of his late Guru pervading his space in the Ladrang. He felt his presence everywhere he went! 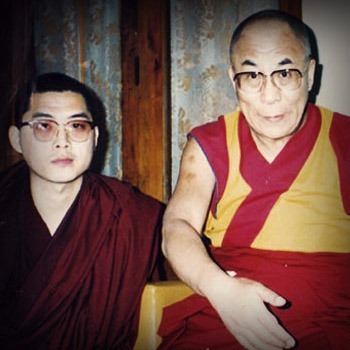 There and then Rinpoche made up his mind and was determined to stay strongly connected to Zong Rinpoche by tapping his mind of great compassion, working to benefit others and letting go of pain. He has practised this unfailingly ever since. 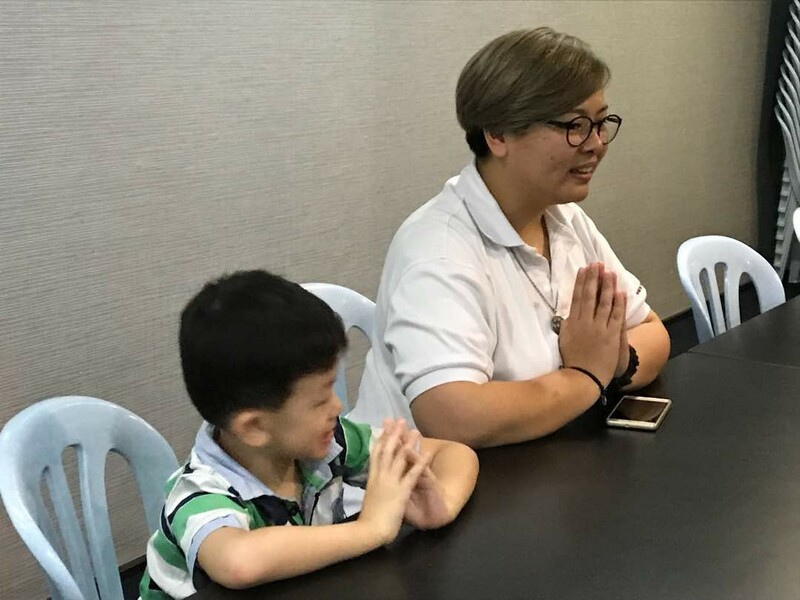 Tsem Rinpoche thus shows by his own fine example here how best we can express our devotion to our Guru. 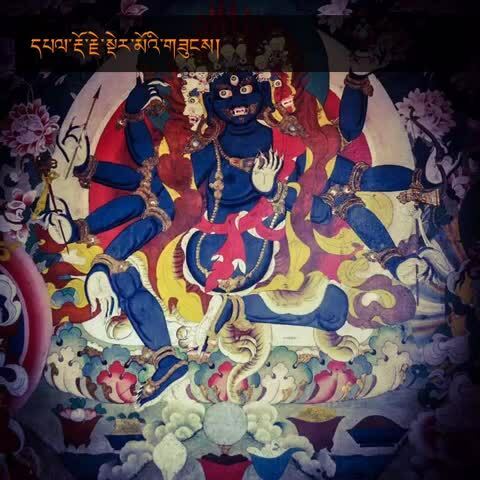 From the story that Rinpoche shared about yourself ; I have learned that Rinpoche would never give up on Dharma no matter how difficult the situation that Rinpoche have to face. Rinpoche face the difficult situation with great patient. 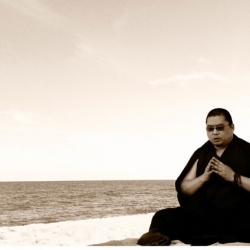 Rinpoche although is very hard situation still learned and practice dharma to benefit people. How many people from big city could stay in the place that Rinpoche has stayed? – near cowshed. We are lucky to learn dharma in “luxury” place. 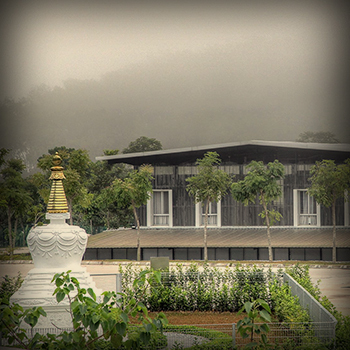 From Kechara located at Sunwaymas to Kechara Forest Retreat, Rinpoche have manifested a luxury place for us to stay and learn dharma. Also not to forget those kind sponsors who have donated places for dharma to grow. Rinpoche have very strong Guru Devotion and integrity. 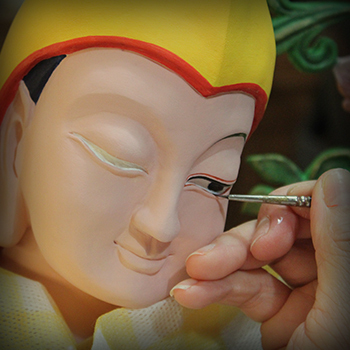 What ever promise that Rinpoche have make , Rinpoche fulfilled it . 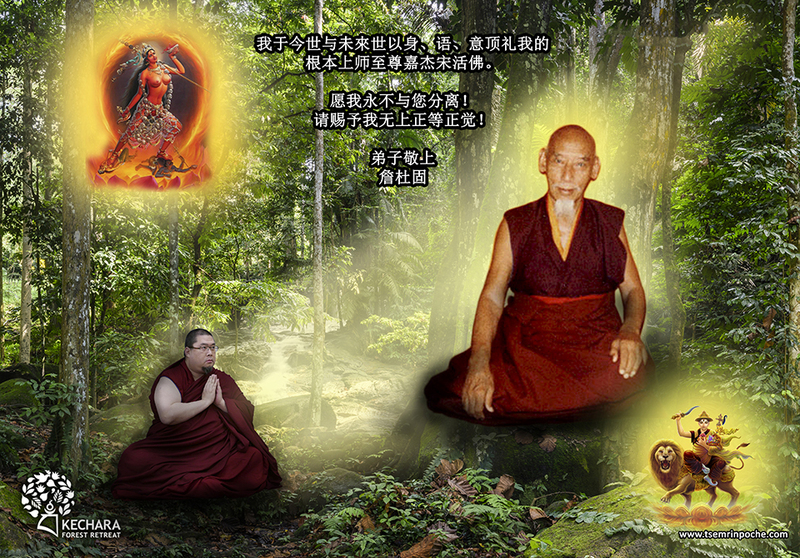 Rinpoche become monk and went to India because of a promise make to H.H Zong Rinpoche. 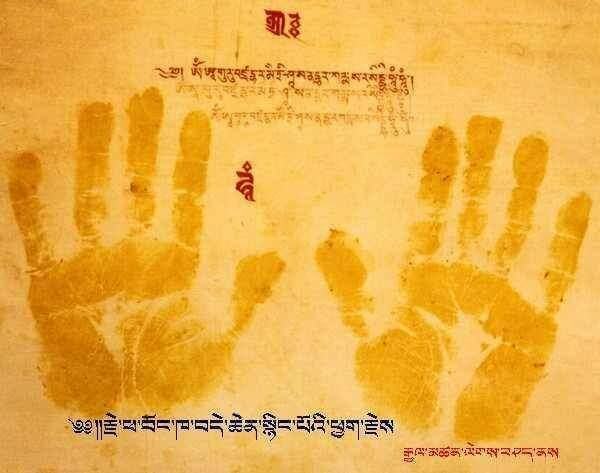 Even though H.H Zong Rinpoche pass away, Rinpoche still fulfilled the promise. Thank you Rinpoche for always showing us path to dharma by endure the pain. If we want Dharma grow in us, nothing could stopped us. I will keep in mind and practice it. 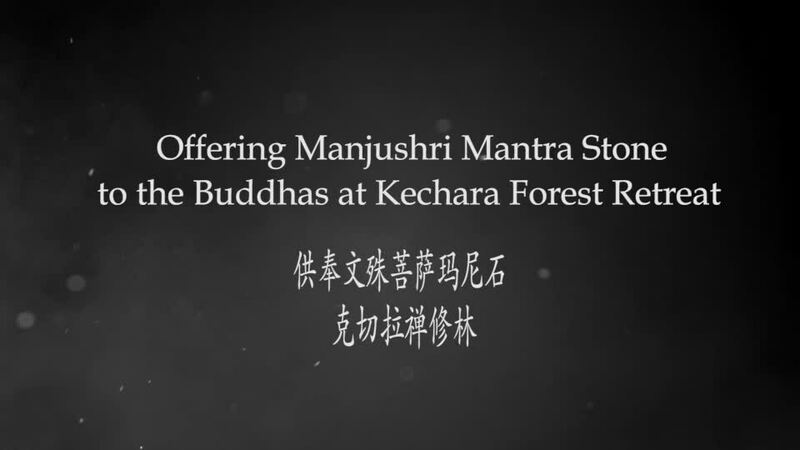 I try not to trivialize buddhism but i love stories like this. Buddhist monks are just surreal cool outside of the practices and teachings. You’re awesome Rinpoche. Humble beginnings but it’s true challenges break us or make us. 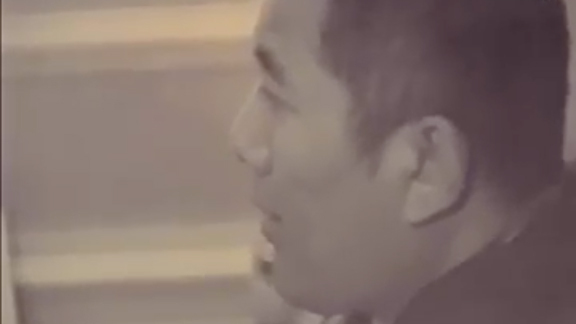 Rinpoche’s whole hearted commitment to his guru and dharma practice kept him going. May we have the same qualities. 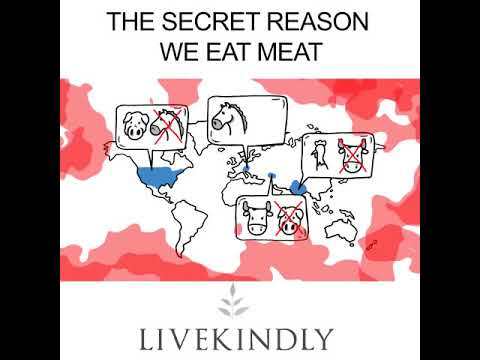 Everyone has to read this blog post and remember the contents of it. 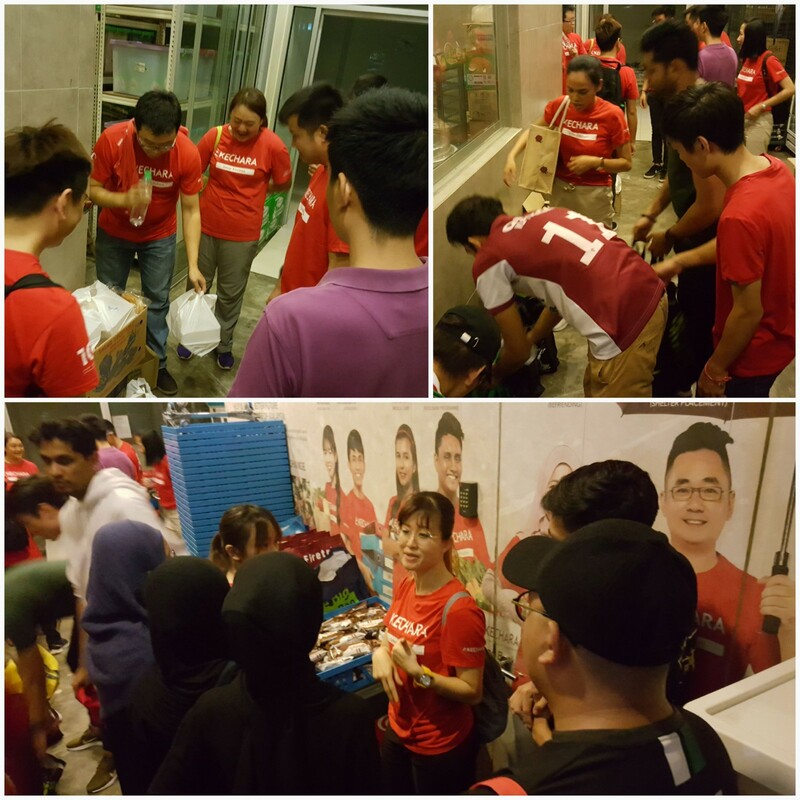 It is because of the pure love given to Tsem Rinpoche by Zong Rinpoche that we are all here today. 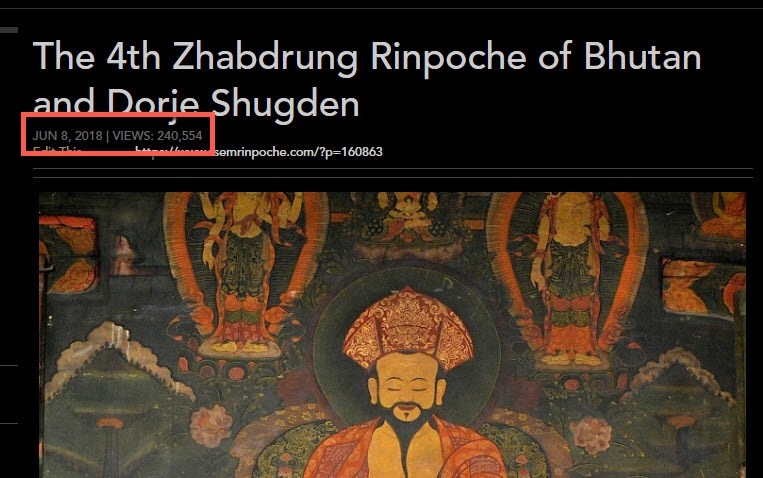 Rinpoche always mentioned about how much Zong Rinpoche has done for him. It is because of Zong Rinpoche that he is a monk today (part of the reason) but definitely something for all of us to remember. One cycle around and today Rinpoche received an amazing news that HH Zong Rinpoche has invited him to stay in Zong Ladrang when he visits Gaden!!! As the post above mentioned, the previous Zong Rinpoche instructed Rinpoche to stay in his Ladrang when gets to Gaden. This shows very well the pure samaya of Rinpoche. Everyone is very happy with the news and we cant wait for both the Rinpoches to meet up again!!! Dear Rinpoche, thank you for your sharing. I realize that Rinpoche never afraid of the so called bad life, Rinpoche just accept it without complaint. I think this is because everything Rinpoche never think just about me me me, and whenever/wherever Rinpoche can benefit others, no matter how, Rinpoche will endure it. I sincerely wish myself can be like Rinpoche one day. I’m quite tired for being selfish and always take things from others. I wish I can have the even slightest of Rinpoche’s qualities, enduring the hardships for others and be selfless. I want to put this as my direction for my Dharma practice. 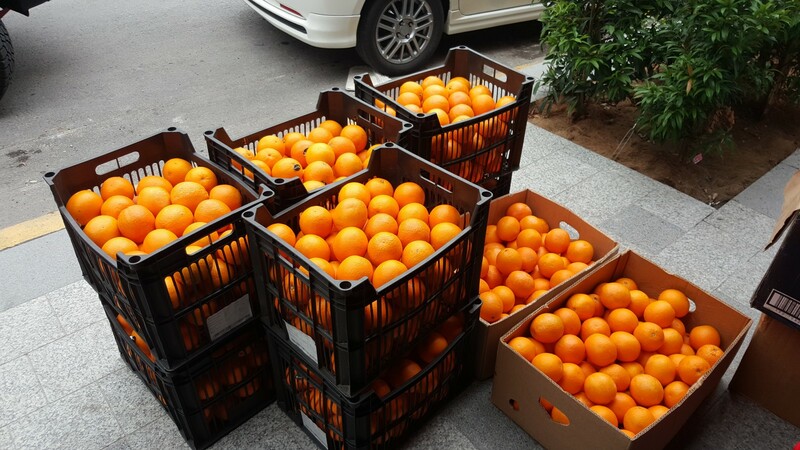 I have known about your story of hardship to pursue what you want many years ago. When things got difficult on me, the story of your suffering plays in my mind and inspire me to move on. Why teach the dharma when no one wishes to transform or sincerely tries. You only offend them, make them angry, and because they can’t face themselves, become hateful of you. They even run away.. 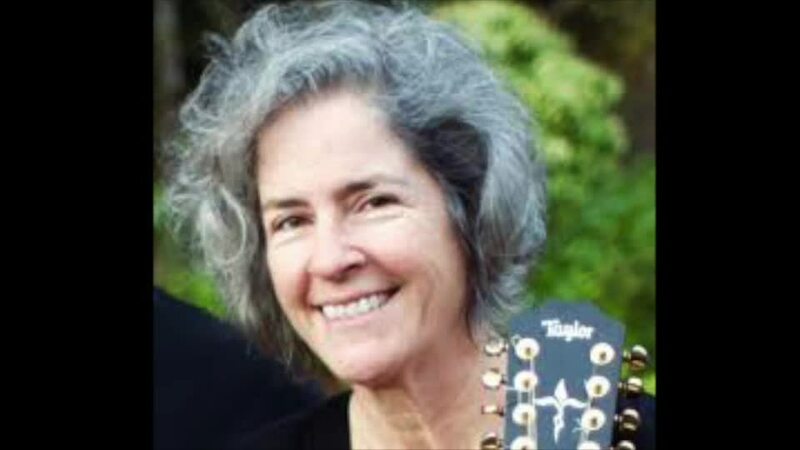 These days, one of the best ways to make enemies, is to teach others dharma or tell them what needs to change… So teaching less dharma is better during these times…transformation creates the causes for more dharma. 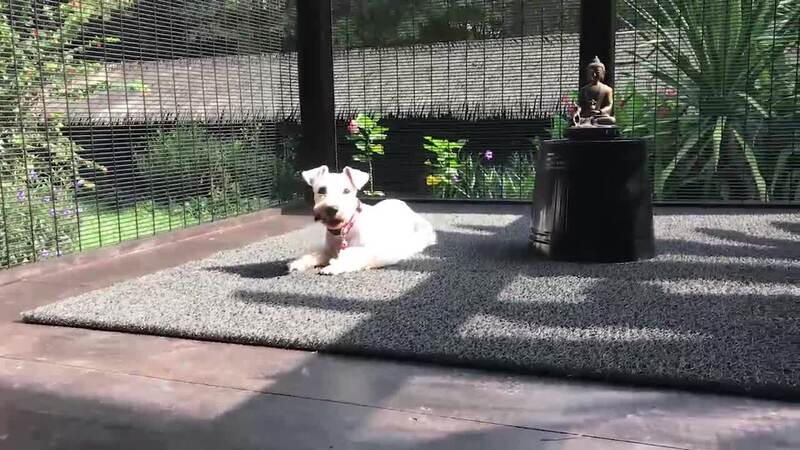 Every time you break your promise, or give up or just run from what you are suppose to do adds to the drop teachings becoming less….Making excuses creates the causes for dharma teachings to lessen and then to stop…. The most disheartening sight for any teacher is to see a student not change after years of teachings, hundreds of repititions of the same advice although the teacher cares so much..teachers must be compassionate towards students but not to the extent of allowing them to harm others/themselves….students must be kind to teachers too..it goes both ways… Excuses and justifications for the same mistakes arising from pure laziness and selfishness. Not caring about burdening others. This all creates such powerful karma for the teacher to go away, pass way or just remain silent. It creates karma for yourself to become harder, lazier and even more closed up…remember results resemble causes…. 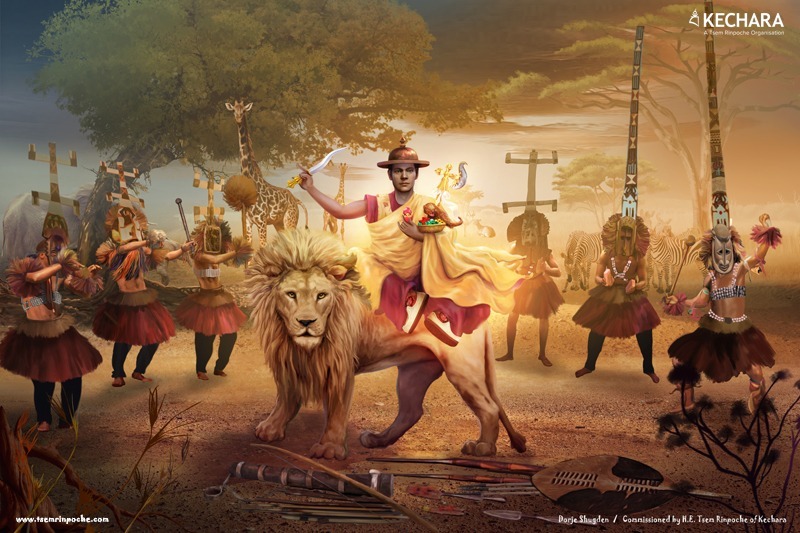 For projects not to take off or filled with zillions of obstacles arise from this type of karma also… If the karma is so strong, then even if the teacher wants to help, your karma or collective karma will somehow stop it. The degeneration of Buddhism will arise from ‘practitioners who don’t practice…this will create the main causes for the demise of Shakyamuni’s teachings…You may think you are happy and free because your teacher stopped pointing things out to you, but the so called happiness and freedom is temporary…karma catches up and the teacher with tears in their eyes watch you experience the effects of your karma…the teacher stopped speaking to you or stopped teaching because your karma to recieve it is not supportive…dangerous…never let it go that far…never…but if it has…then it has…. Not wanting to listen to one’s teacher you say you are committed to is a sign that you have broken many promises, samayas, practices and trust. The karma that arises is any good advice given to you cannot be heard, understood or followed. Good advice might even make you angry. 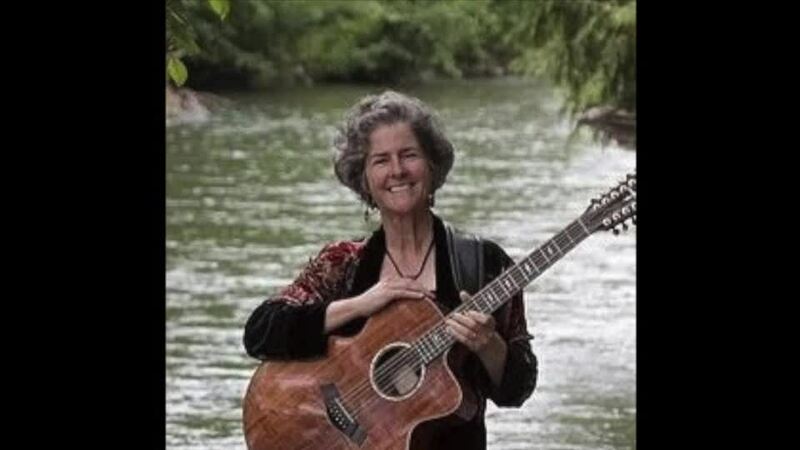 The sight of your teacher might make you unhappy. The sight of something that creates happiness or dharma might make you uncomfortable or run. Why? The karma to recieve good, is not enough. 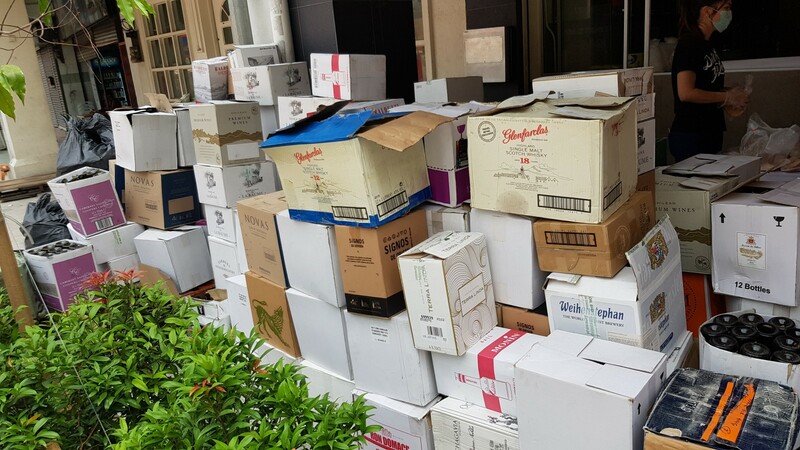 For example, when someone due to drinking has lied so much, cheated or hurt so many family members over and over, there is this very strong karma collected and bursting to open. The karma returns and makes him not hear advice nor want to follow giving up drinking. He/She may know the harm and understand, but cannot stop. Or run away from loved ones who truly care…the loved ones watch with tears and apprehension as they drink themselves to oblivion or worse… The karma to harm is too strong. The karma controls the person already….A tiger needs to kill due to it being born in that state as it’s karma has opened…opened to make more negative karma in that state..
What an amazing story of true humbleness. What a selfish attitude I have and how great my own fear of poverty. Sorry about being disrespectful to you lately, I probably am a bit out of balance with my new feeling of upcoming self-worth. 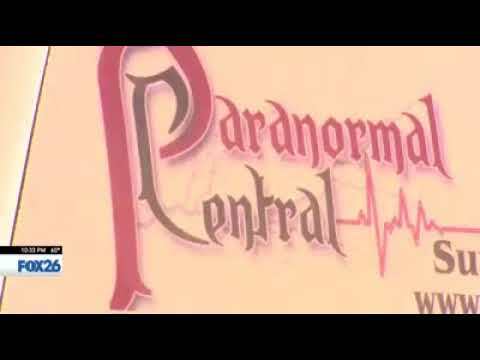 Hoping to serve you better – and those other very persons I love. 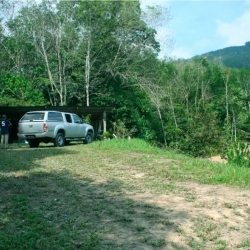 An opportunity was provided for me by Tsem Rinpoche in a return visit to Gaden Monastry in 2006 for 62 people, where we were able to see where and how our Guru used to live when he first went to join Gaden Monastry. We were taken to 2 small rooms that were connected to a cowshed. Rinpoche lived in the smaller room with leaky tiled roof, behind a chapel separated by a small road. From a description given by Rinpoche, it seems that he had buffaloes and cows as neighbours, and through a huge crack in the wall he could see them daily, had to get used to the strong smell of buffaloes, and swarm of mosquitoes flying around. 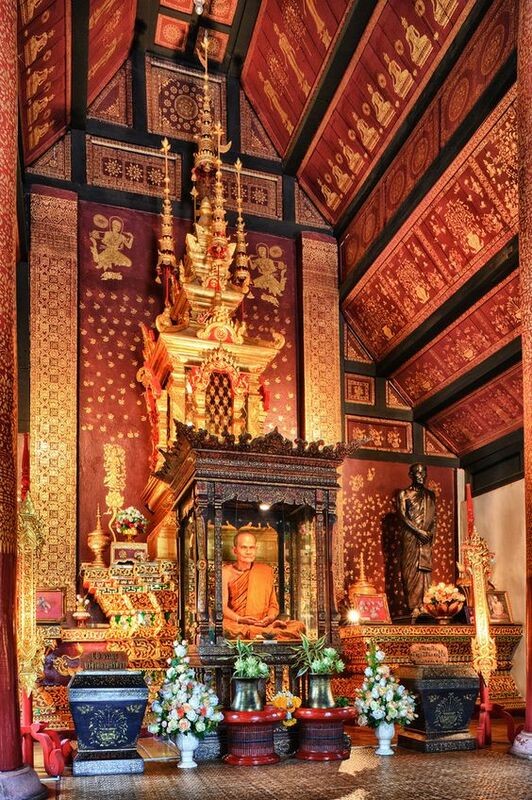 That was where he did his reading, retreats, tsog, pujas & prayers for many years. Snakes were sometimes found in the toilet, though no harm had happened to him. He had, nevertheless, never complained about these inadequacies, even went on to acclaim that all those years, he had many great times living in the simple small room of his Root Guru’s house in Gaden, His Holiness Kyabje Zong Rinpoche whom he so dearly loved and felt so proudly of! Such is our Guru who said that learning and practicing Dharma make us to transform ourselves to become better and not make our egos bigger and make us swell up with pride with wrong attitudes. When I saw Rinpoche and others lived in the above cowshed, my heart felt for those who lived here without proper food and shelter. This relate to the same feeling that I have for those beggars, disable people, less fortunate people and children, abandoned children and old folks, homeless, and etc who asked for money at the street, the restaurants either by themselves or by charity organization. I felt sorry because they have to worry for their basic needs and poor living condition. 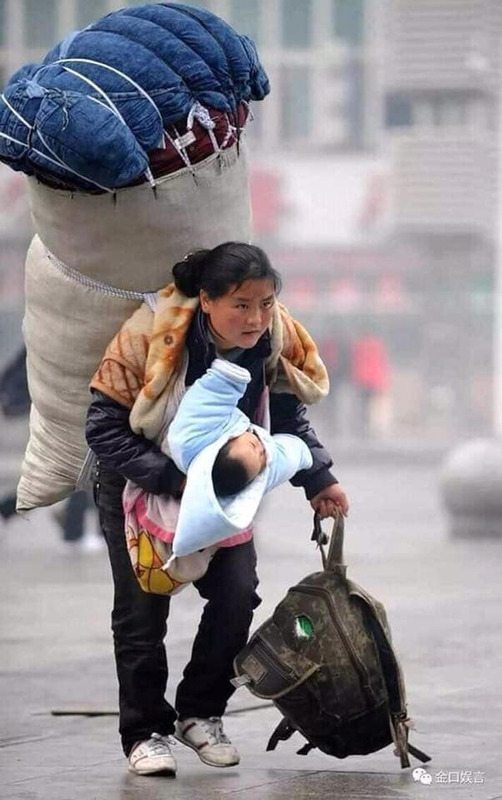 This reminded me that there was a lady who carried her baby in her arm in Guangzhou who kneel and bow with the head knocking the ground non stop at the side of pedestrian walkway in Guangzhou a few years ago. Why was she so desperate? I could only offered her with a little money. 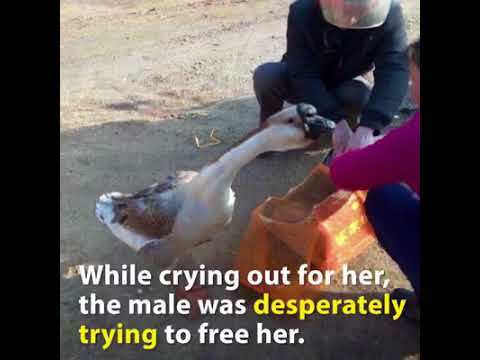 She was helpless and enduring the pain that she had for her baby. 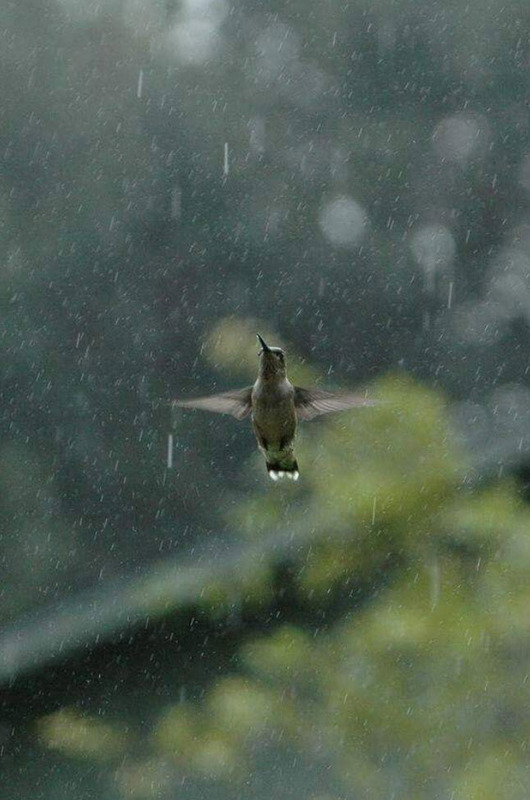 I was not sure whether she had any shelter. I could relate her feeling as a mother who endure the pain of seeing our children suffering, mother would usually do anything to safe her children. It was really hard to be alone with minimum affection from family or maybe no family at all. I remebered my biggest worry for my children when they were still baby; I was very worry that I wouldn’t be able to take care of my children if unpredicted bad things happen to me and that a bad step mother who took care of my children would ill treat my children and caused unhealthy grow either mentally or physically to my children. 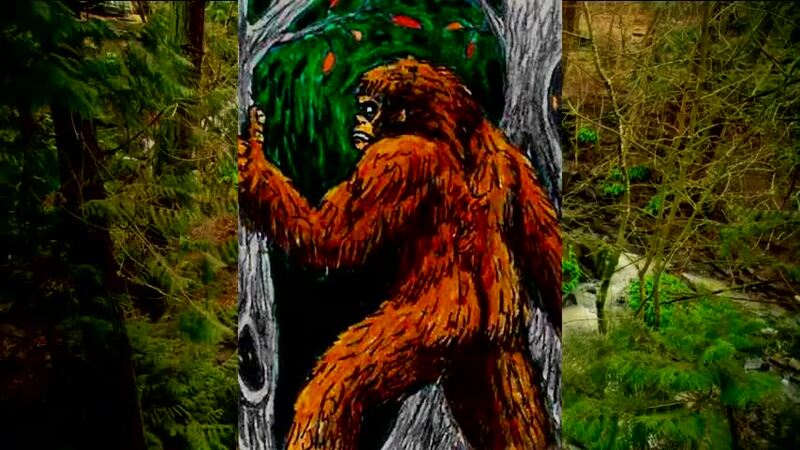 This unhealthy grow would lead to children growing up with hatred and this would require a long and bumpy journey for them to find their deep hiden good nature and calming themselve. This was my biggest fear. I still pray for able to see through my children to grow up healthily (mental anfd physical). 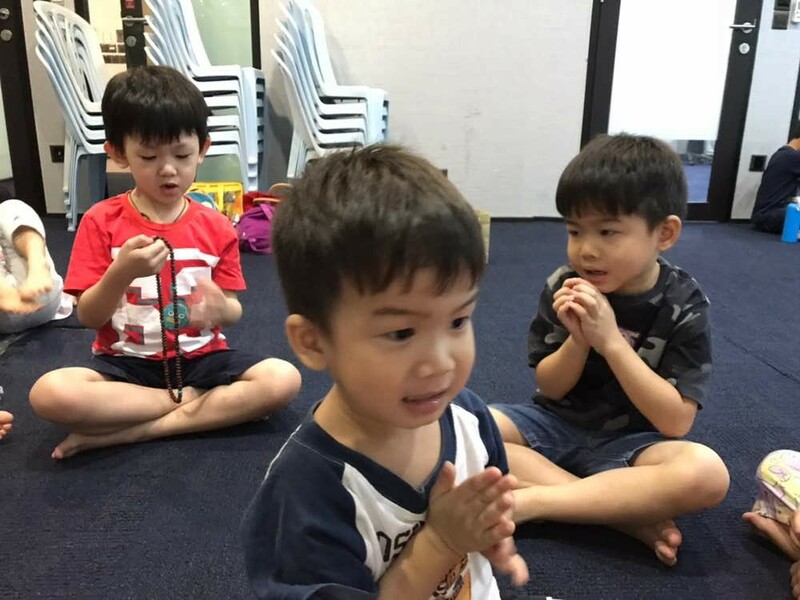 Now I pray for to be able to have deeper understanding in Dharma so that I will be able to imprint the dharma onto my children. 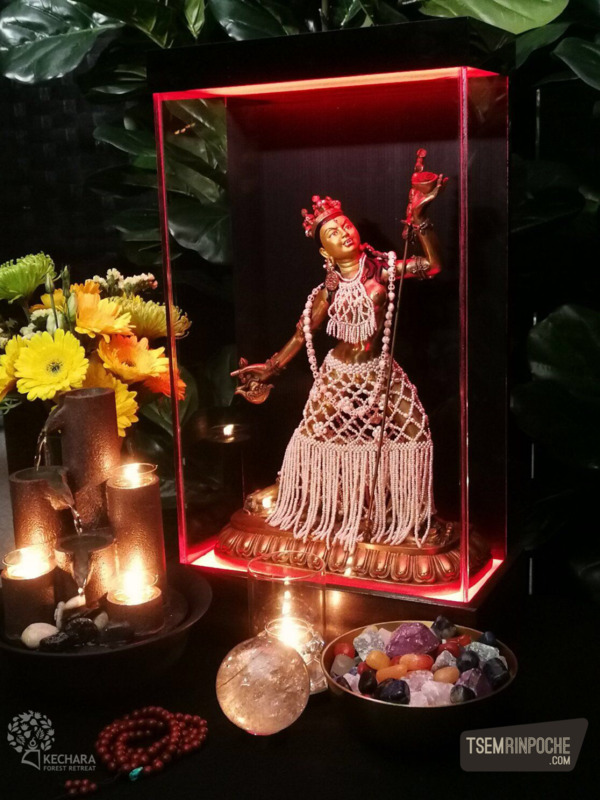 Thank you Guru Rinpoche for being here. On my first visit to Gaden Monastery with Bibi, Adeline Tan, Nancy, and Ms Too. Rinpoche showed us where he lived on his arrrival at Gaden as a monk. It was a cowshed. 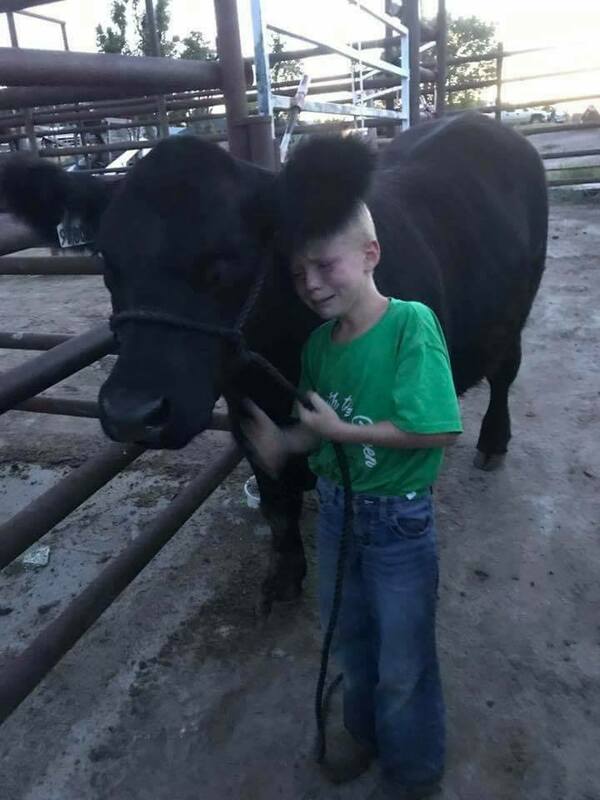 He literally lived and sleep with the cows. It was such a shock. Rinpoche was given two options. To stay in America become a model and enjoy life in B ig America in Los Angeles. 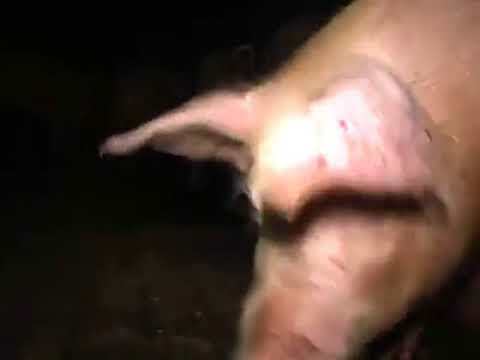 But he chose to become a monk and endure all sufferings for the sake of sentient beings. 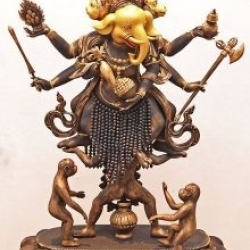 And because of his faith in the Protector and Guru Devotion knowing that this can lead him to do much more greater things to help sentient being than by becoming a model. He has listened to his Guru and today thru all the rough roads, conditions as circunstances he has to endure to achieve 13 Departments and more in the near future which will eventually be in KWPC the biggest Retreat centre in this Region for benefit of a lot of people. 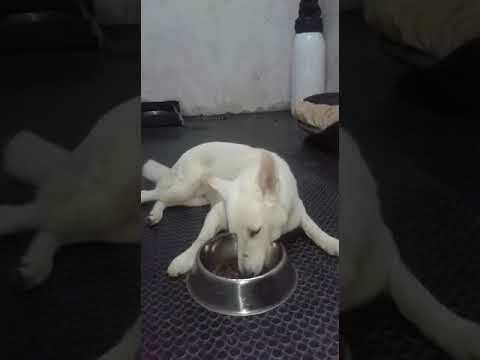 “I was always hungry, but I am not complaining. 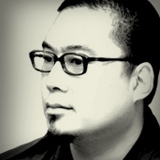 I wanted to be there and happy to be endure poverty for the dharma.” – Tsem Tulku Rinpoche. A wake up call to all of us who are so accustomed to our way of life, that is no more than habituation based on our cultural upbringing that emphasizes materialism, which only increases our selfish mind due to our grasping to the ungraspable attachments (e.g. money, reputation, big cars, big house, etc). 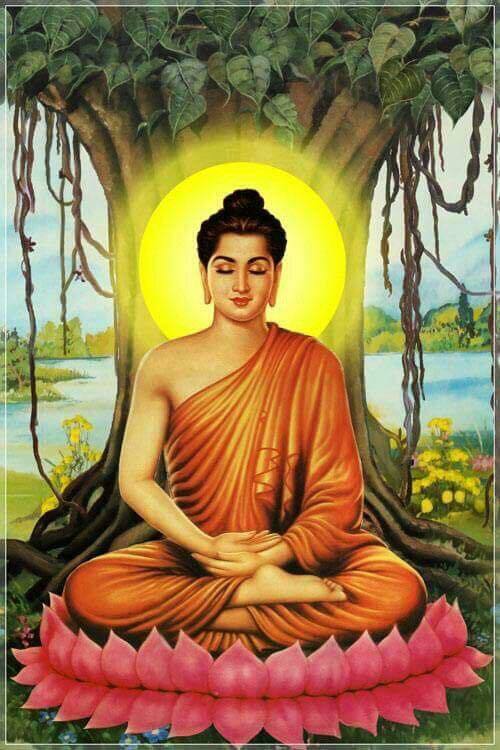 Suffering for others is not suffering, but liberating ourselves to the full potential of Buddha hood in us. When we suffer for others, it is not us who experience the pain. But it is our ego, our own self-cherishing mind that is experiencing the pain. In the process of helping others, we are eradicating our ego and selfishness that has deeply rooted inside us. Hence, when we experience pain or misery for the sake of others, we should rejoice. We should be happy as we are on the right track to attainment of enlighten mind. 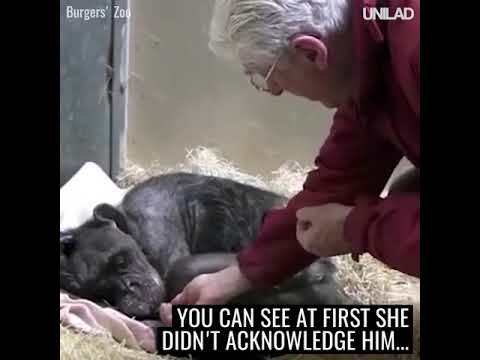 Such and incredibly moving story! And what eye-opening pictures. 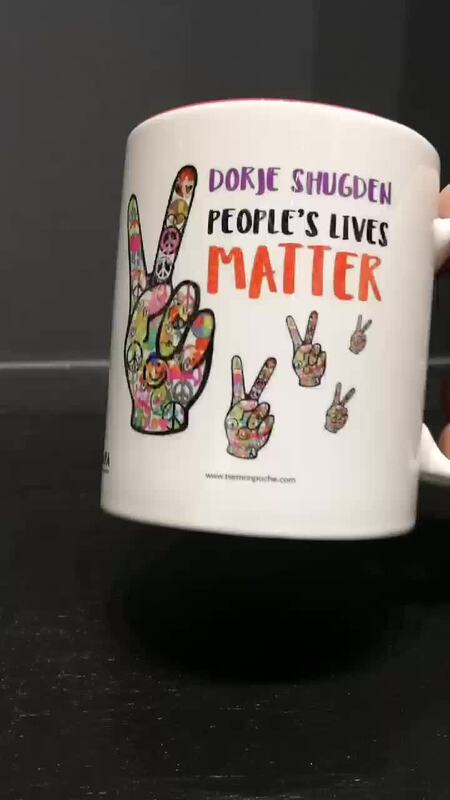 Thank you for sharing Rinpoche. I have never doubted your sincerity or motivation but through this post I get to get a glimpse of your life and how through your many experiences you went through (good or bad), you use them to your full advantage and transforms it into something that benefits others. 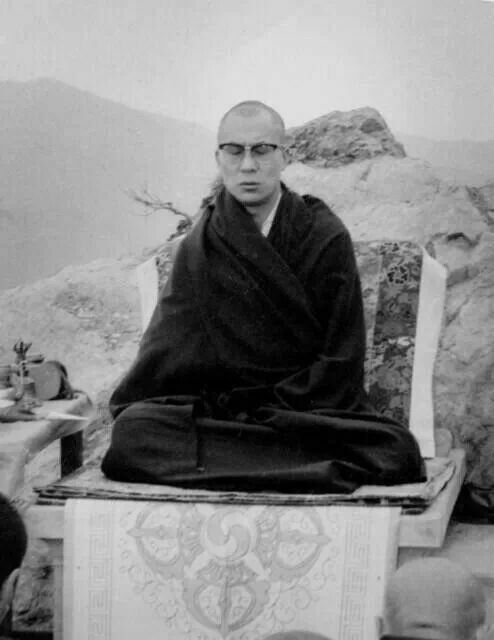 2.You were intructed by Zong Rinpoche to go stay in Zong Ladrang, thousands of miles away from where you grew and yet obeyed with humility and never once complained. You do this without question as you wanted to be connected with your guru even though he was not physically there. 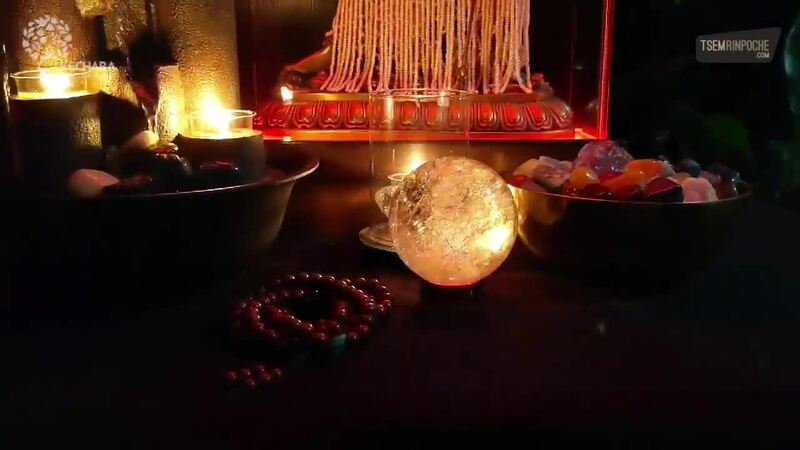 And now knowing this, in your compassion you make yourself accessible to us all knowing full well this is an important aspect that helps us in our Dharmic journey. 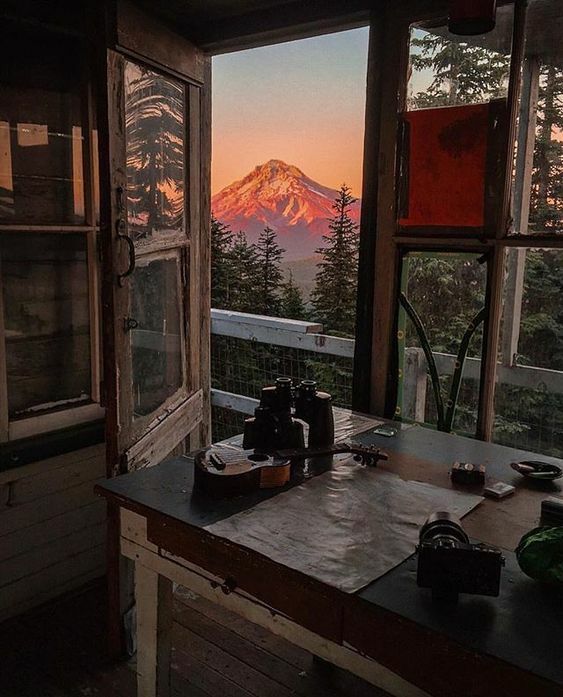 You know we would be incredibly lazy withouth your presence and will not be as dedicated (at least for now)and hence you sacrifice your own happiness to be in the mountains for us. How incredibly fortunate we all are and I am humbled beyond words once again! Your incredible ad admirable guru devotion is remarkable! I will always be humbled by this and remain head bowed and with folded hands with you my guru, Tsem Rinpoche! Thank you for showing us always by example, over and over and over again. As I read this, I realize that I am installed comfortably on a nice chair in a very hotel room overlooking the sea, the lighting is nice and subdued, I have air-conditionning and even room service… Yet, I am let to think, what karma is most supportoive to Dharma practice? This luxury hotel I am in or a cowshed in Zong Rinpoche’s ladrang? Without a doubt I would say the second option. 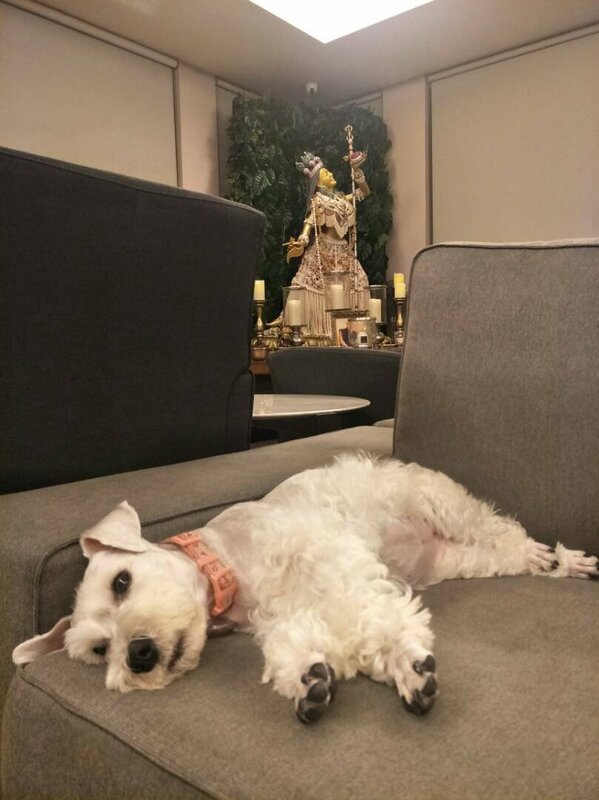 As Rinpoche explained before, having money and be constantly pampered is not necessarily good karma; good karma, to be good in its full sense, should be karma that propels one to engage in Dharma, not one that propels one to engage in holidays and parties. * He constantly pushes us to practice Dharma diligently so that we would transform ourselves (our minds) to become a better and happier person. * and many many more…! Meeting Rinpoche & the holy Dharma definitely bring countless benefits to many, not only we can fulfill our worldly wishes, but would also lead us to a much happier life by transforming ourselves (our minds) to be a better person through practice with perseverance. 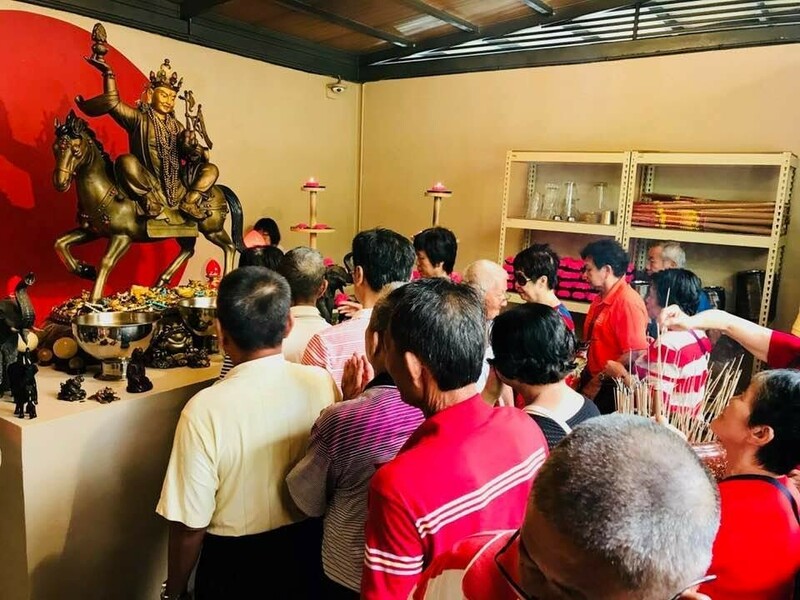 I think it’s normal for lay people like us to feel sorry for Rinpoche (after reading this post) and would consider the difficult situations and harsh conditions Rinpoche faced during his younger days in Gaden as a form of “suffering” and a “big sacrifice”. The reason being we are so pampered with all the convenience around us, where everything we want and need are easily accessible, which we have been taking for granted for, without realizing how fortunate we are. Further, in these degenerate times, we are being brought up with the mentality/perception that money is everything, with minimal focus on compassion, selflessness and self-improvement, where spirituality is concerned. As such, we are constantly striving for material wealth and indulge oneself in luxury & samsaric pleasure, and engaged in activities that have no meaning, which bring us nowhere…but frustration, anger/hatred, egotism, selfishness, greediness, competition, conflict, etc. In a nutshell, we embody the “3 poisons” (ignorance, hatred/anger, and greediness) defined in Buddhism in samsara. 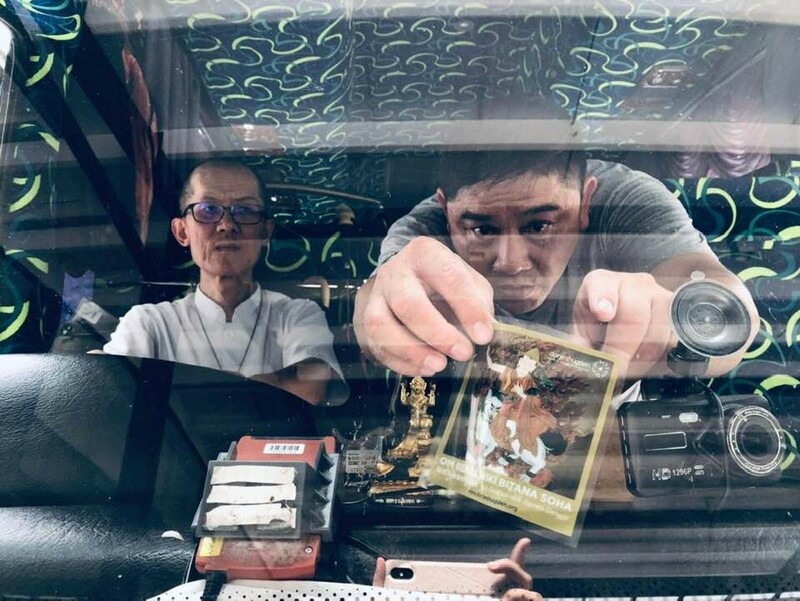 Conversely, our Rinpoche’s passion and love for the Holy Dharma and his Guru Devotion is so unbelievably strong and “rock-solid” that he didn’t mind living in poverty and endure any hardship for the sake of others. 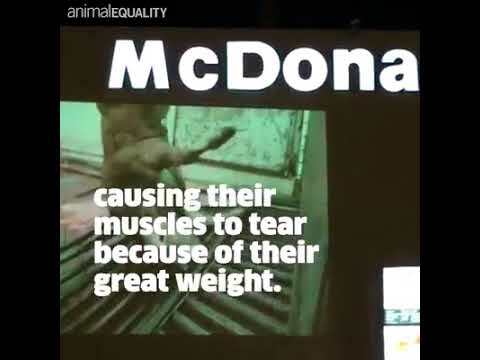 In fact, he did not consider what he had pain-stakingly gone through those days as a “sacrifice” at all, despite living in a cowshed and had been starving with not enough food to eat for years. Instead, he was happy and loves his simple life as a monk/Rinpoche in Gaden, rather than being a lay person in USA. 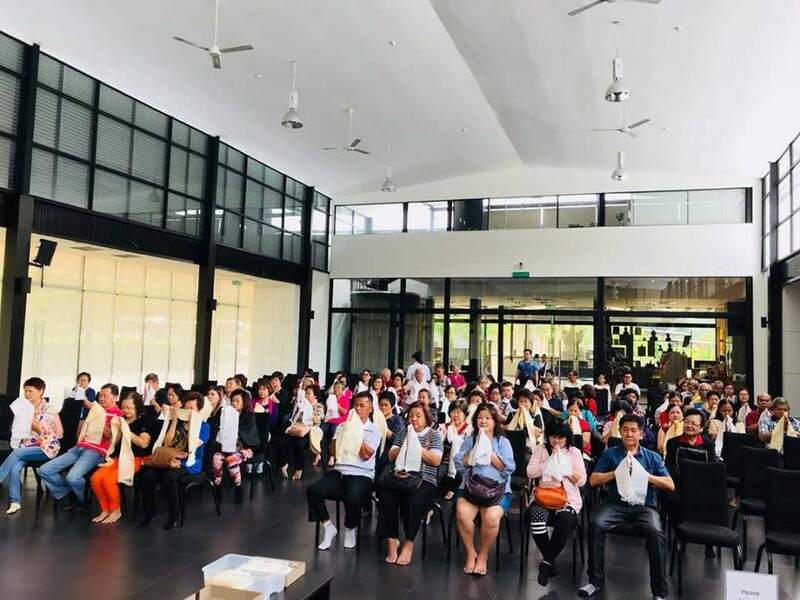 Rinpoche did this with a pure motivation of learning the holy Dharma, inspired by his root guru, Zong Rinpoche, whom he revered and trusted deeply, for the sole purpose of benefiting many people in the future. 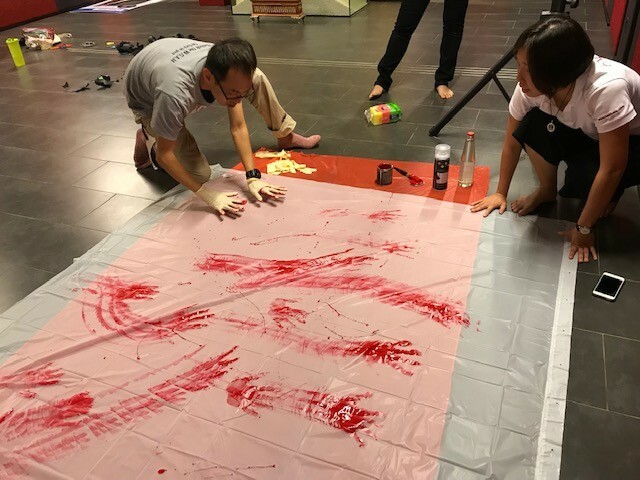 This clearly proves that our Rinpoche, a recognized re-incarnated “Highly Attained Lama”, has achieved a level beyond our imagination…a level where we, at samsara, cannot possibly comprehend. However, Rinpoche is so compassionate that he actually brings himself down to our level, so that he is in the same wave-length as us to teach and guide us. We are extremely fortunate indeed to have Rinpoche as our Guru, who is the perfect role-model for anyone to emulate. 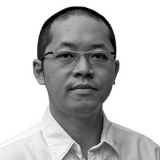 In fact, I am proud to tell the world that our Guru, H.E. 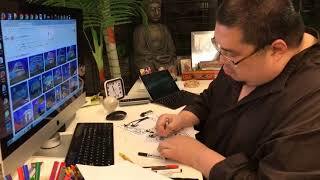 Tsem Tulku Rinpoche, is the walking “Living Buddha”. 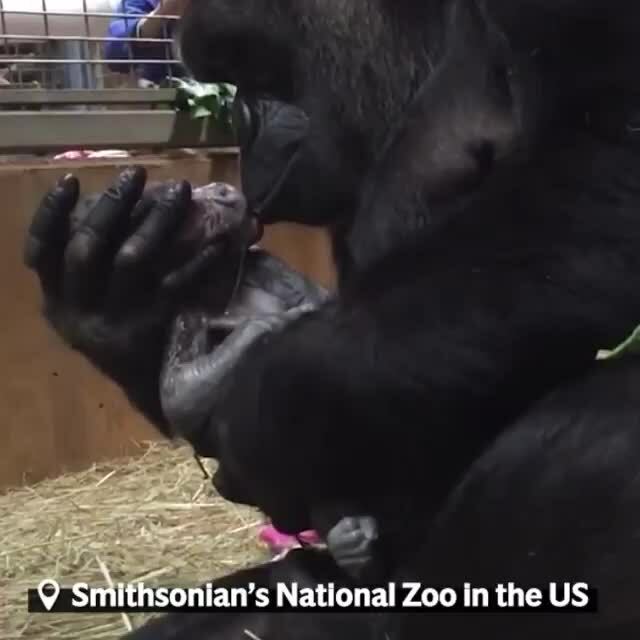 This story is very touching. I cannot imagine how Rinpoche must have felt when he returned to his old home. Even when I visit the house I grew up in, It brings back a lot of memories. 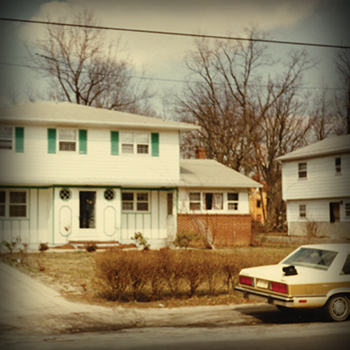 All I did in my parent’s old house was basically eat, sleep and play. Rinpoche having done so much more in Zong Ladrang and Rinpoche’s devotion to Zong Rinpoche, it must have been really emotional. I am very happy that Rinpoche’s motivation and commitment to the dharma did not sway at the times of hardship. But I admire Rinpoche even more now. 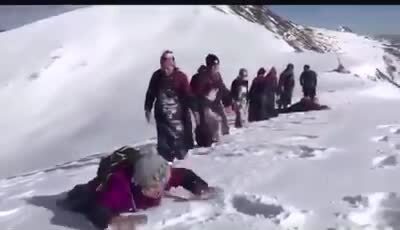 As to me, it is even more admirable of Rinpoche to have his motivation and commitment to the dharma not sway when he now has a big Ladrang and much much more compared to before. In fact, Rinpoche motivation has increased and his commitment to the dharma has become indestructible. I hope Rinpoche can be an example to all of us that success should lead us to do more good things and not become deluded by it. Seeing Rinpoche home in Gaden really humbles me. 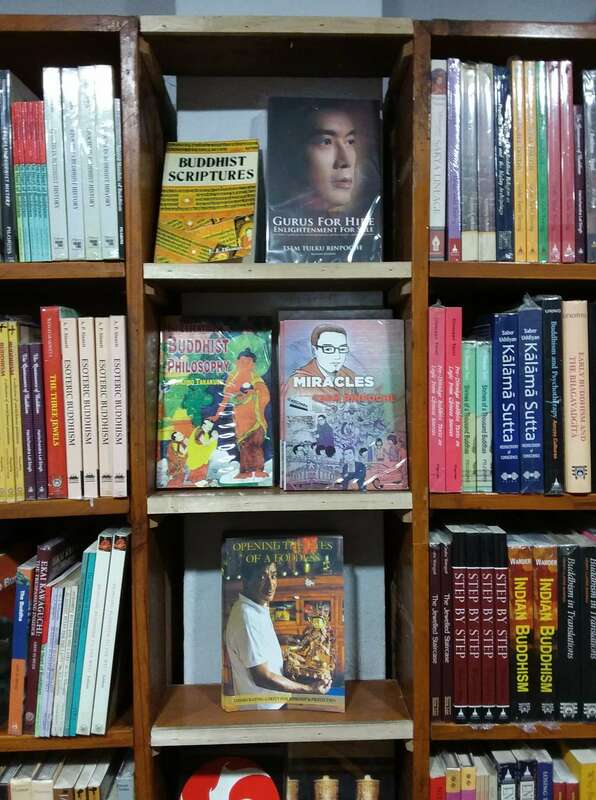 It shows Rinpoche’s amazing tenacity, devotion, humility, love and attainment in the Dharma. 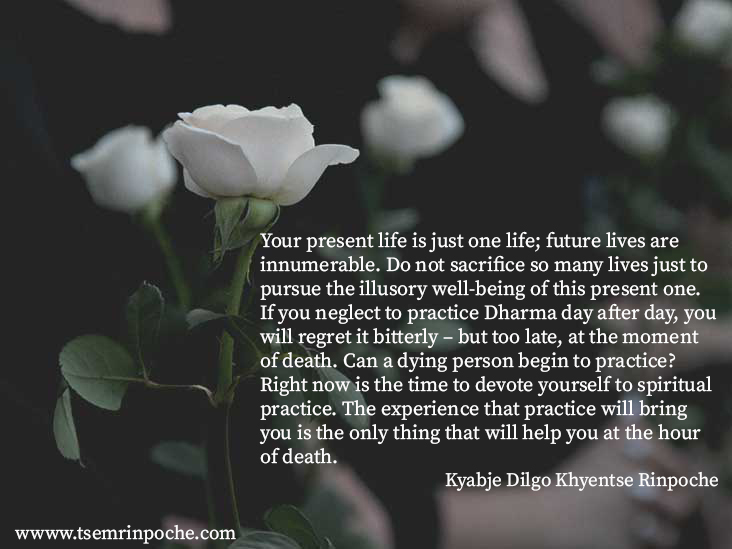 If any of us were given this type of condition to live in, I am certain we would run, yet Rinpoche put up with leaks, the freezing tempritures during winter and heat during the Indian summer, insects and snakes. Only a person who is truly sincere about Dharma can do this. 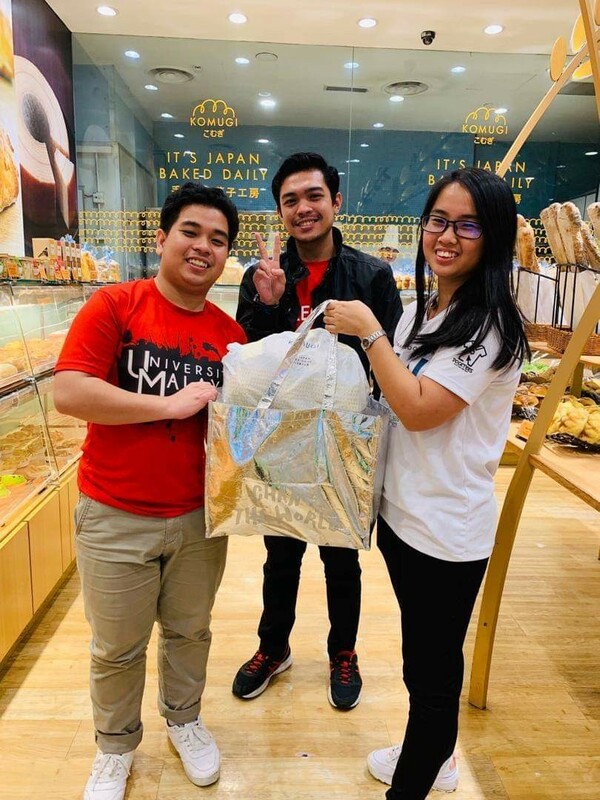 We Malaysians are really so spoil and it puts us to shame. Even now Rinpoche have to beg and cajoled us to even do Dharma. On top of that we get pressure and sarcastic remarks from family and friends saying that we’ve gone insane. A clear sign of the degenerate time and world. 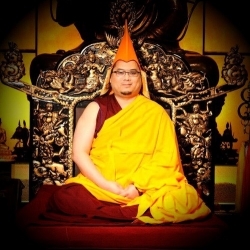 As for Rinpoche, nothing can and will stop him from the Dharma. We certainly have a long long way to go. We are so so lucky and bless we have the merits to meet the Dharma and Guru in such good conditions. This signals me to never complain but always to do more. 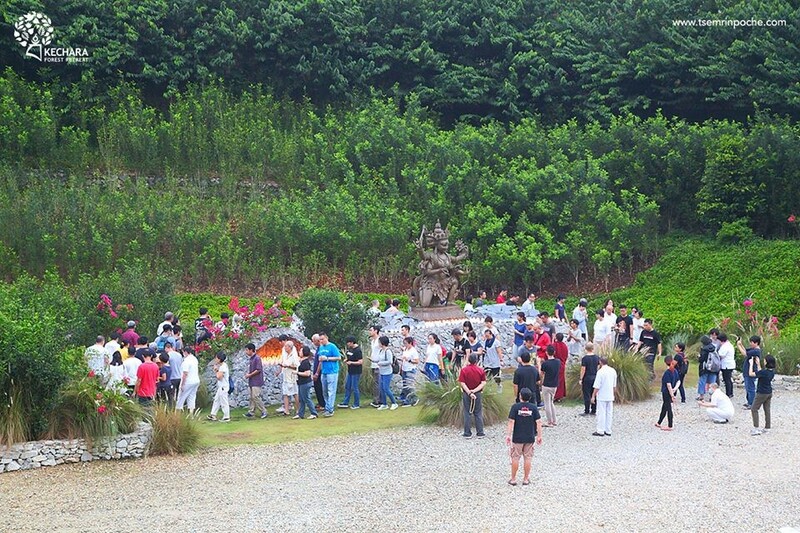 I’m very lucky to have the chance to visit to Gaden in year 2006 together with Rinpoche and other Kechara members and friends. It was a wonderful journey. 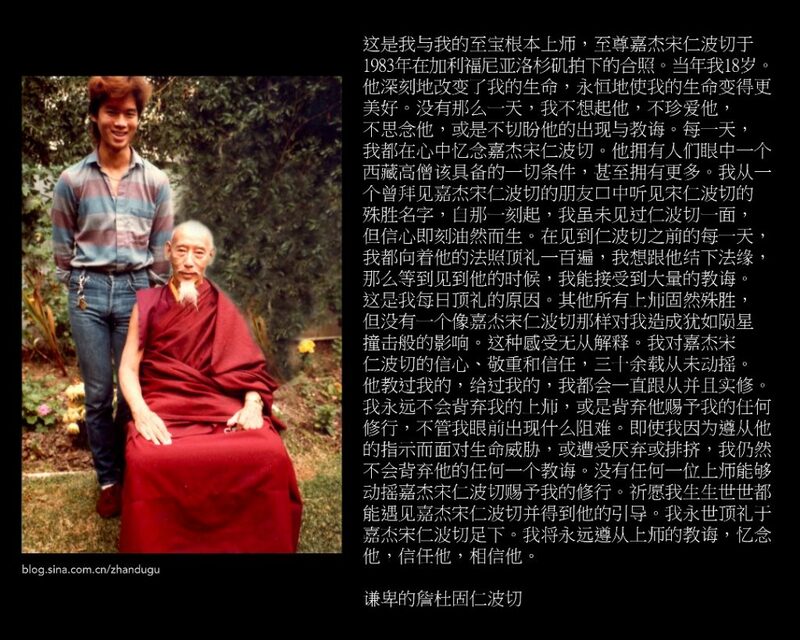 Rinpoche kept his promise to Zong Rinpoche even though Zong Rinpoche has passed away before he went to Gaden. It shows how strong his guru devotion is and his wish to continue his spiritual journey. 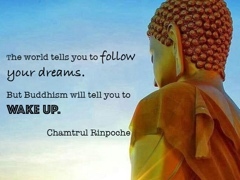 How many of us are able to let go of our own pleasure and “so called-future” like Rinpoche to go to India, a foreign place, staying in a cowshed, suffer from hunger, to pursue his dream-be a monk and most important, to fulfil his promise to his Root Guru- Zong Rinpoche? 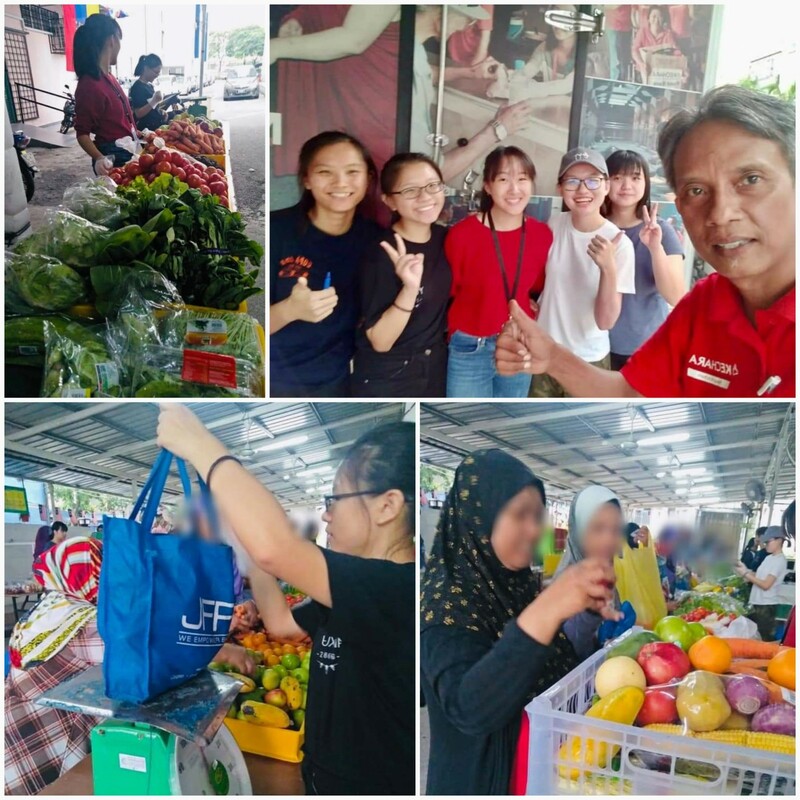 Besides, when we have the chance to volunteer or part time or full time work in Dharma, how many of us answered: “I’m not ready?” We are really spoilt. This is the sentence that touches me the most! Lay people like us, who have so much excuses not to do Sadhana/chanting daily, should feel ashamed to be called Rinpoche’s student. 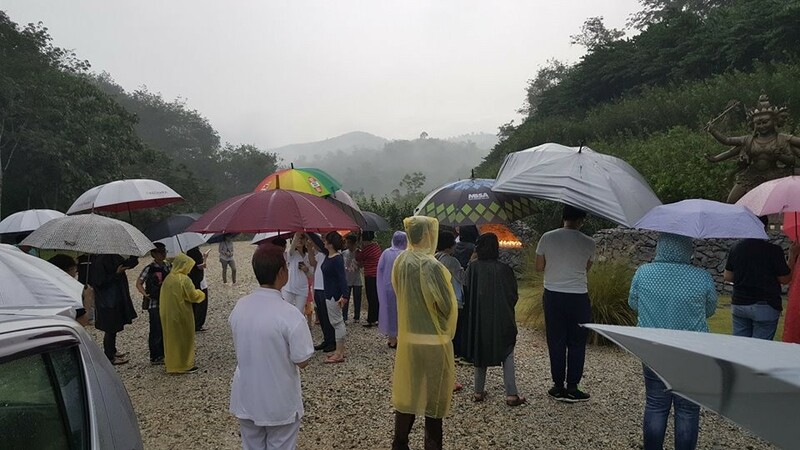 Rinpoche’s guru devotion makes us Malaysian devotees look like a bunch of spoil brats who are believed to be living on trees in the minds of foreigners but in reality is really gracing the fields of luxury. This just shows how unappreciative we are even when we have everything so easily provided to do the Dharma well. Even then Rinpoche have to beg us to do it. I agree wholeheartedly especially with your last two points. Many times Rinpoche has said that he wishes he was back in Gaden again, doing pujas and retreats with the rest of the Sangha. 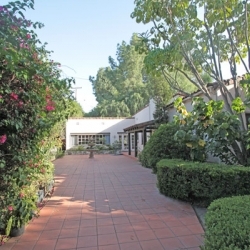 It does not matter what facilities or luxuries were available to him in Gaden. 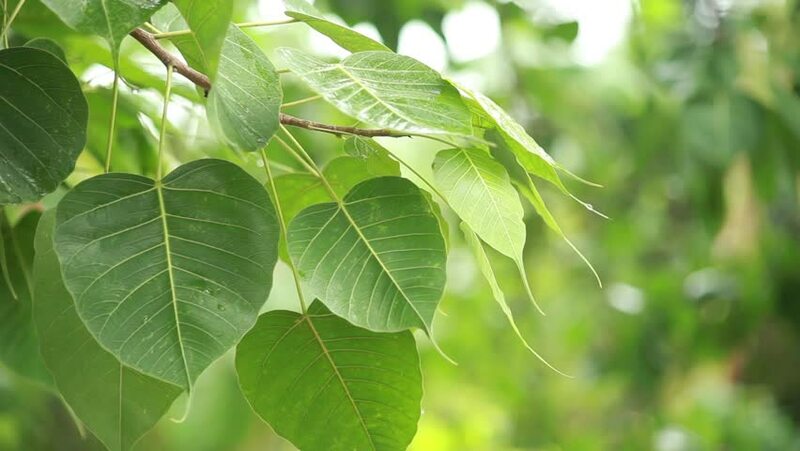 More important was the environment to pursue a real spiritual path. Shame therefore on those of us who complain at long teachers, if the room is too hot or too cold, at the hard cushion, at the uncomfortable chair, at hunger pangs or just not being in the mood. 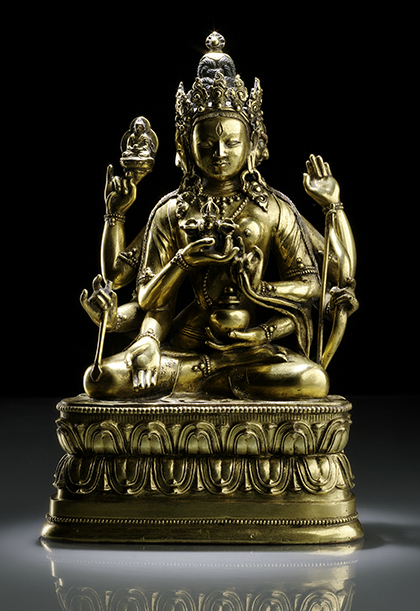 How spoilt we all have become from the conducive outer conditions that did become obstacles to our Dharma practice. How shallow we are not to appreciate what our Guru has endured to be able to give us even the simplest teaching. And how selfish we are to want Dharma at our convenience and at our level – surely the path of Dharma is meant to benefit others? I read this post and am ashamed at my shortcomings. 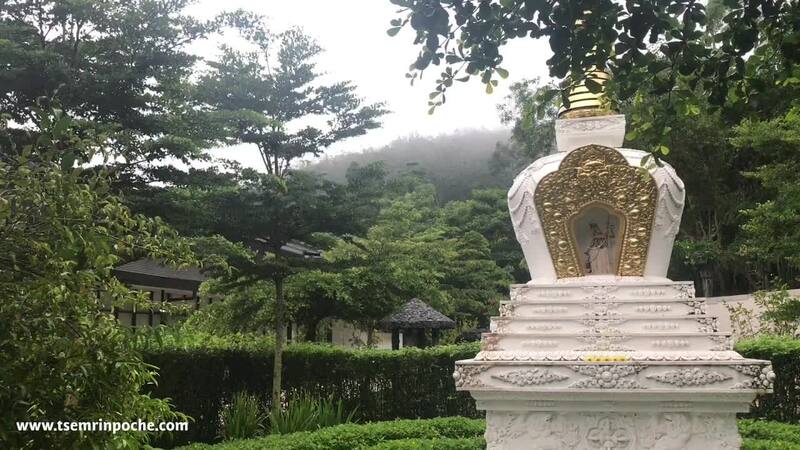 Tsem Tulku Rinpoche was very devoted to his teacher Kyabje Zong Rinpoche and followed all his instructions to go to Gaden, South India & stay in his Guru’s Ladrang. Despite how the environment that he stayed in didn’t have enough food to eat and he lost a lot of weight but he was very happy to be in Gaden and never wanted to leave. Although Zong Rinpoche was not there and could not meet him again even at his Ladrang but he always felt his mind was everywhere. The only way to tap his Guru’s mind by developing compassion, benefitting others, letting go of pains & working for others. This part touches me because we should do that too in order to connect to one Guru although we are not with him but if we felt strongly to benefit others always that will connect our mind to him. The way he endured poverty for Dharma without complaints has set a good example for us to follow. This picture (visiting my old room in Zong Ladrang in 2006 coming from Malaysia) is one picture that I put on my altar at home that I see/prostrate to everyday. The most important is the qualities to learn from my teacher every time I look at his picture or talk to him as he is there. This is the way to keep me going and most important never give up for Dharma. 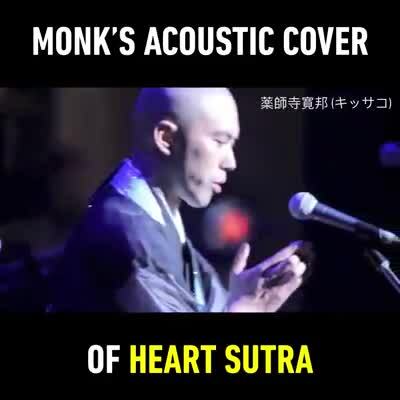 Also I will listen / watch his Dharma talk very often even when I am driving. May I be always connected to you in all my lives. 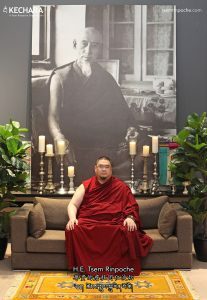 Rinpoche’s strong devotion to Dharma is so inspiring. For the sake of Dharma nothing can stand in Rinpoche’s way. Loss of beloved root guru, hunger, poverty, loneliness, vulnerability, imperfect living conditions, mosquitoes, snakes, buffaloes and cows as house mates, heat – these obstacles are insignificant. 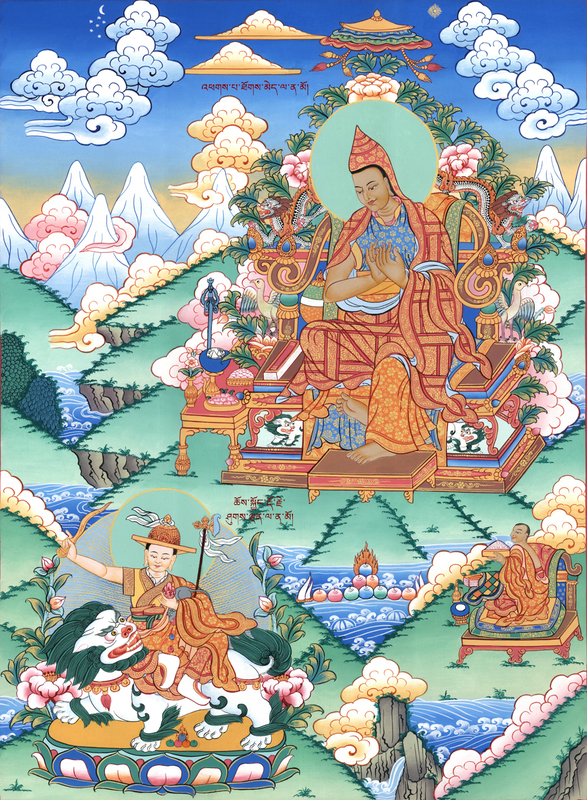 Rinpoche had shown us the life of the renunciates. 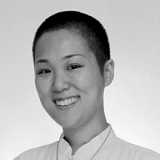 Spiritual practitioners are adaptable, can lead a simple life and have very few needs! What is most empowering is Rinpoche’s guru devotion to His Holiness Kyabje Zong Rinpoche and perseverance in His Holiness’ absence. 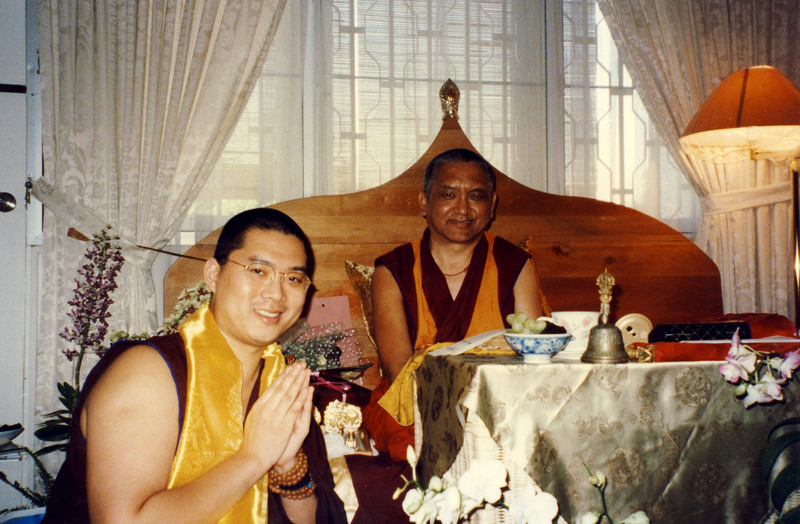 Rinpoche had shown the true practice of Guru Devotion. No matter where the Guru is, the Guru is always with us, guiding us along the path to Enlightenment. 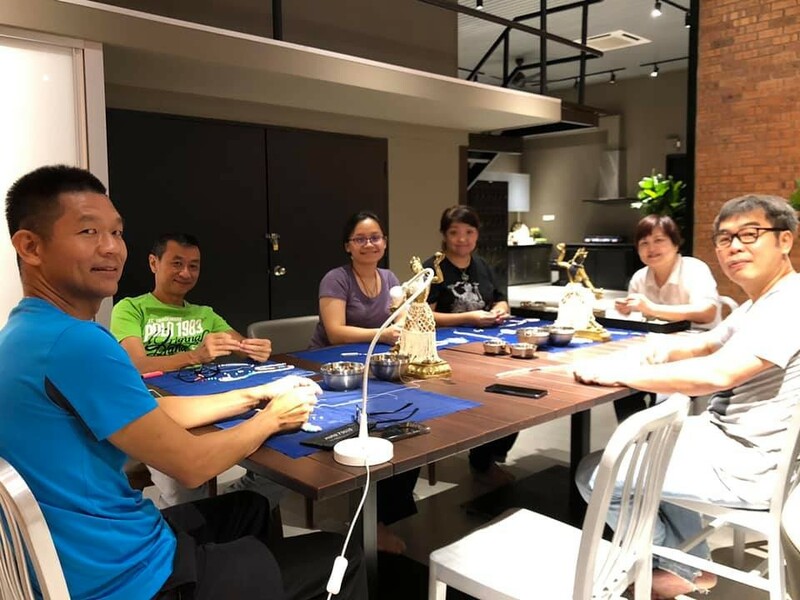 From listening to Zong Rinpoche to go to India to become a monk and then staying at Zong Ladrang at the cowshed to later on moving to Malaysia to teach , Tsem Rinpoche has humbly and repeatedly followed all his guru instructions to the T’s. This remind myself that I should not be selective when taking instructions from my Guru. I was one of the pilgrims following H.E. 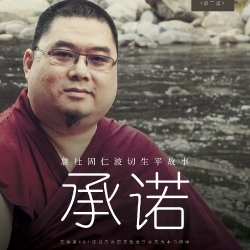 Tsem Tulku Rinpoche to visit Gaden Monastery in 2006. It was my first trip ever visiting any Tibetan monastery in my whole life. Listening to H.E. 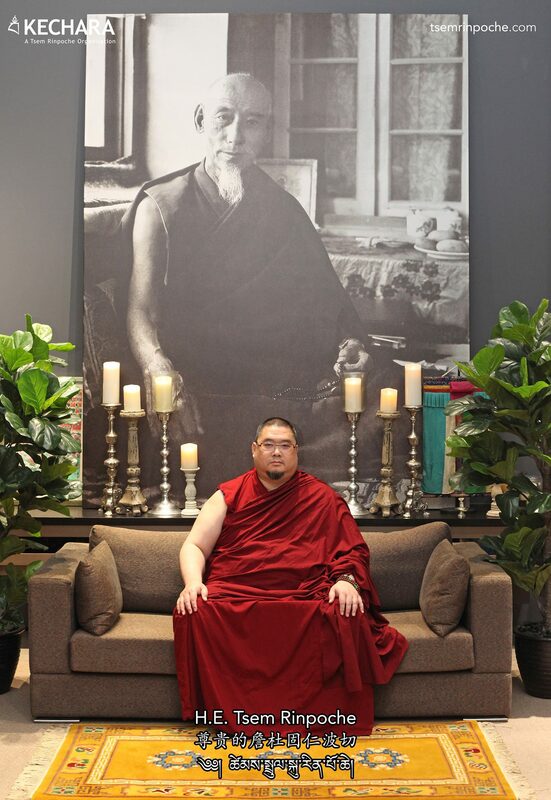 Tsem Tulku Rinpoche’s history and biography and witnessing personally the place he stay, study, doing prayers and retreat have makes the learning so real and effective. 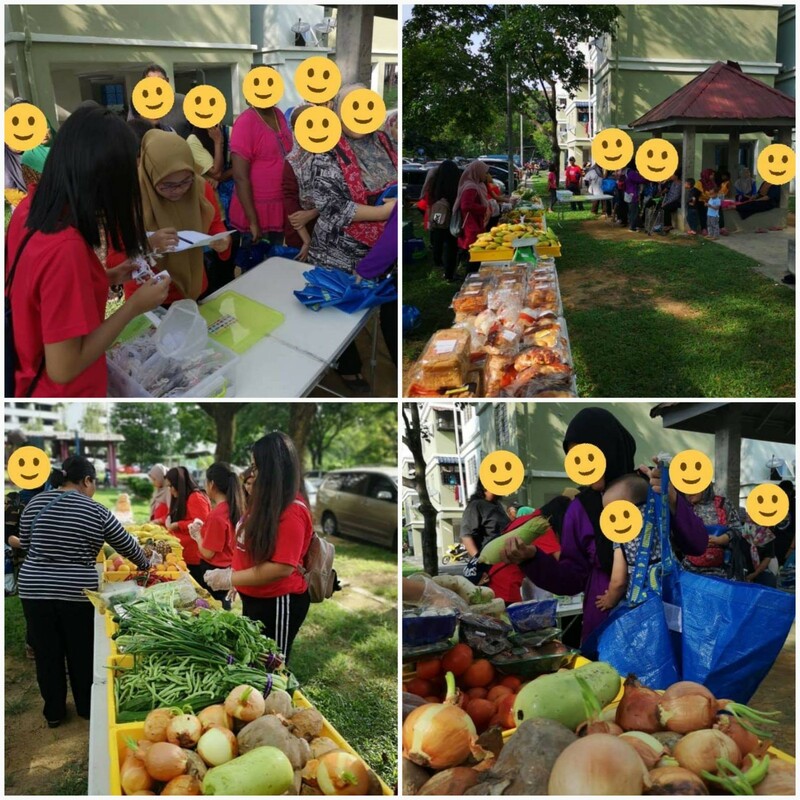 All of us are so lucky, have plenty of food in Malaysia, stay in clean environment, have the freedom to do any thing and includes religious, we have jobs, and our family and friends are available anytime we call them. So why aren’t we doing dharma and practicing generosity and compassion for others? We have so much to complain about and have never ending shopping list to fulfill our attachment. 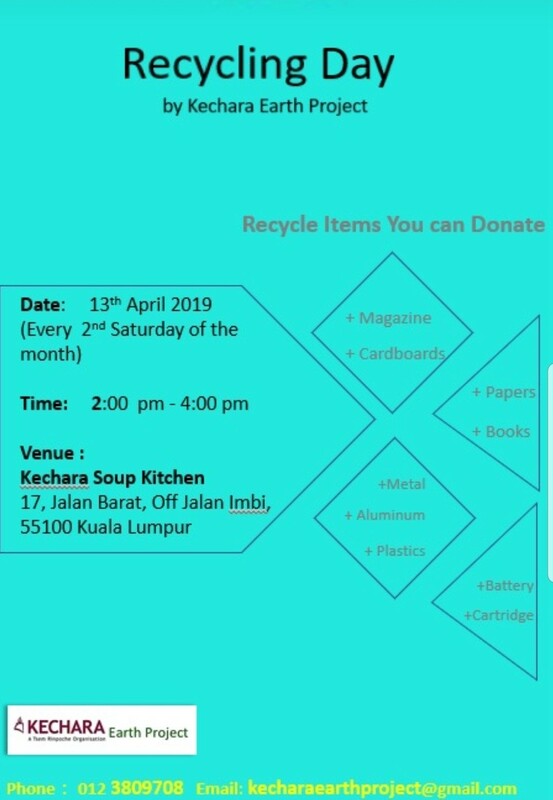 Perhaps we should take time out away from our attachment, and for once do something good for others without thinking for ourself? I can feel that Rinpoche was very happy arriving Zong Ladrang and staying there must be the most wonderful thing that Rinpoche would ever want. 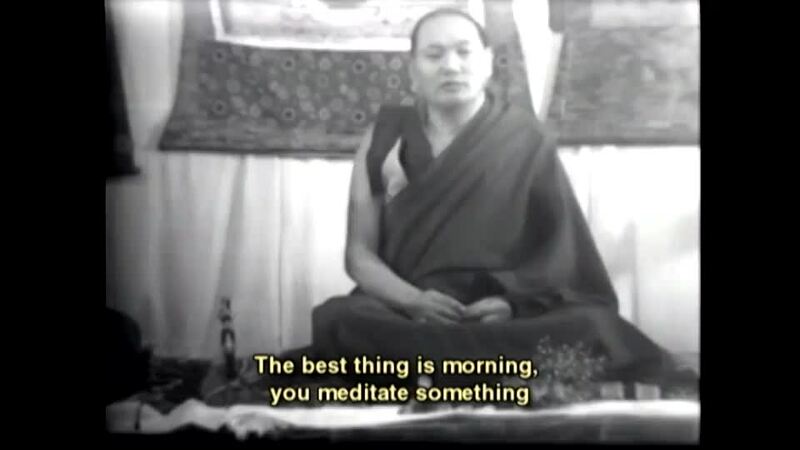 Rinpoche’s Guru Devotion really inspires me. 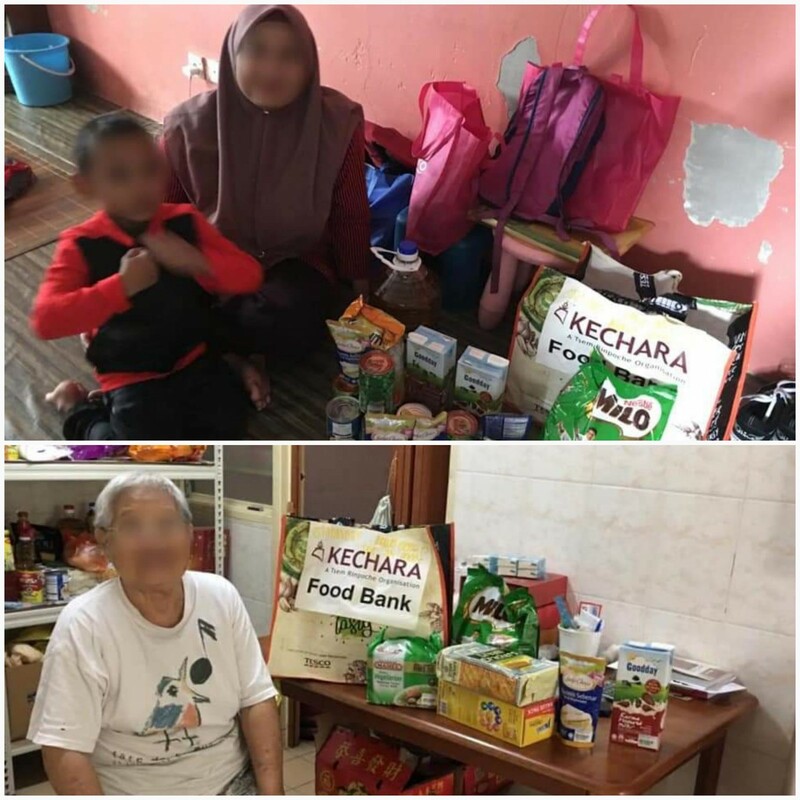 Besides living in a rundown place Rinpoche also didn’t have enough to eat but Rinpoche was happy. Happy to fulfill the promise & happy for the dharma. 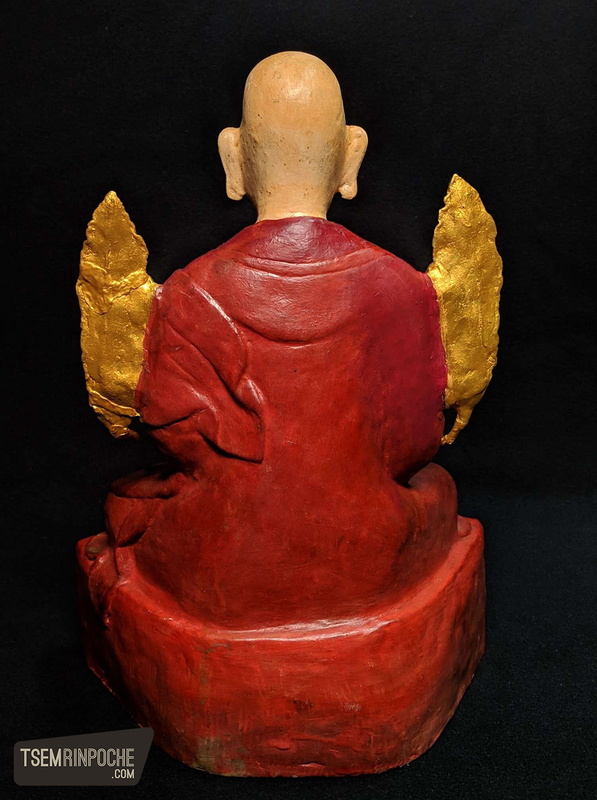 Never once Rinpoche thought of giving up even after Zong Rinpoche enter the clear light. Rinpoche passion on dharma is indestructible. No matter how sad Rinpoche felt from the loss of Zong Rinpoche, the memories and loves for Zong Rinpoche that kept Rinpoche keep going. 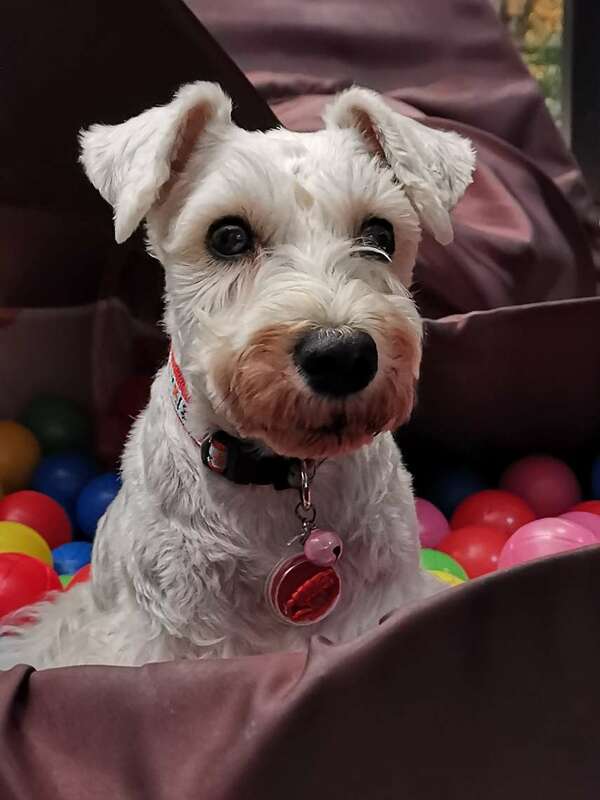 I really feel ashamed to compare with the condition Rinpoche gone through to learn dharma and me here with everything so well provided and comfortable. Can’t find any reason to stop doing Dharma. This is where Rinpoche’s heart truly lies, a grotty little cowshed on the outside but what it symbolise for us is Rinpoche’s perseverance, true joy and love for the Dharma. No matter how big Rinpoche becomes and how many students and sponsors he has, Rinpoche will always be the simple young monk who reside in this cowshed. 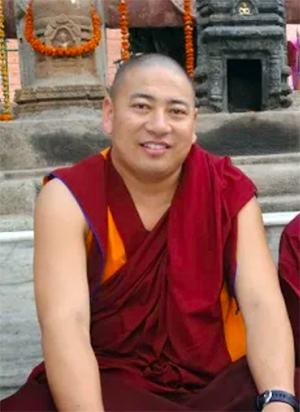 Bad and good situations come and go along with numerous sincere and insincere people that surround Rinpoche, seeking his assitance, Rinpoche would never move from his Dharma roots and his link to his Guru, in the form of his Sadhana and vows. There are many times when students repeatedly disappoint Rinpoche and cause him many sleepless nights, innumerable migraines and back aches from lack of sleep, Rinpoche told me that he would longed to be back at the monastery. I realise that is really where his heart truly lies and where he will always be. 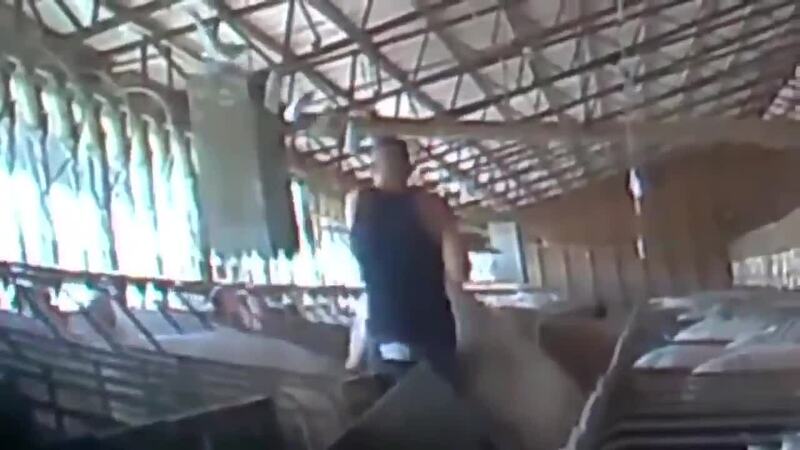 We are fortunate to see pictures of this cowshed because we are looking at where his heart truly lives. 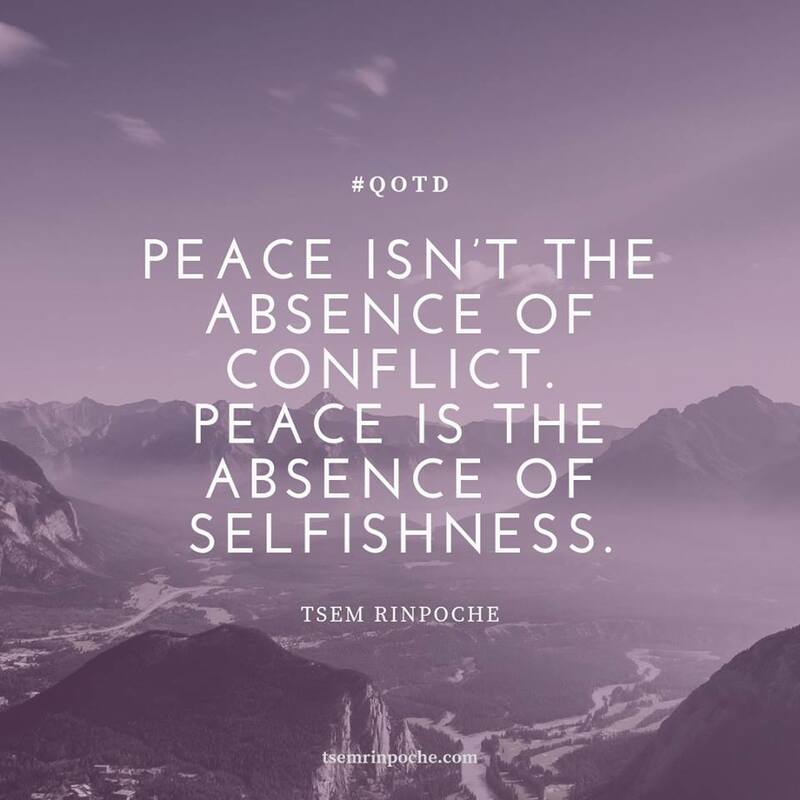 As students and friends of Rinpoche, we should know and understand this. 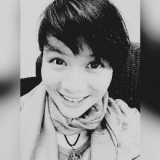 This blog is very touching and heart felt. 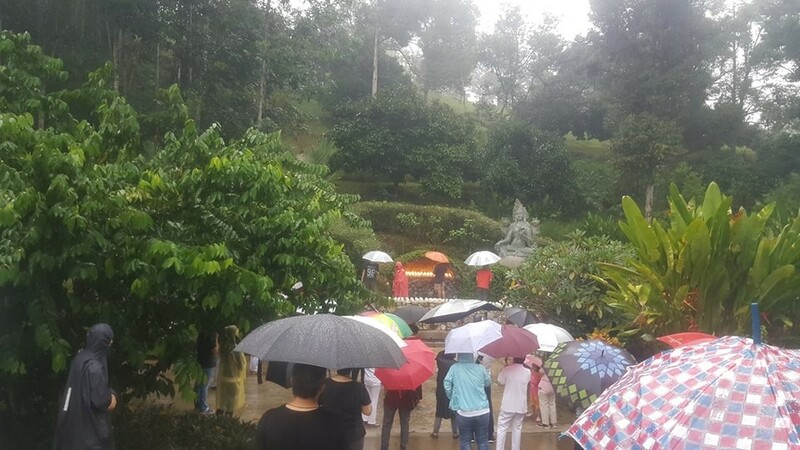 For Rinpoche to be here all these years , in a place thats so foreign to Rinpoche that might have slows down Rinpoche practice to sacrifice His own time for the benefits of all other people is truly respectable. As Rinpoche said and mention many times in this post you could have simply live in a shed high up in the mountain doing your retreat , your puja but instead you are here everyday in and out listening to people with many problems , attending to them and serving them is really sad to me. I feel sad not because of being pity of Rinpoche situation is entirely a great man like Rinpoche doing so much for us yet sometimes do not deservedly get any returns. 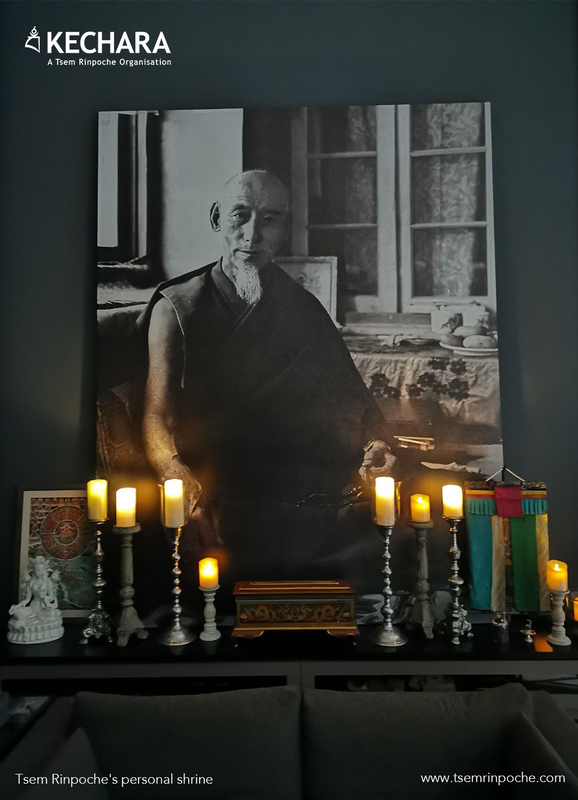 I am sure we all feel Rinpoche reflect the best of the best Guru Devotion to your guru , i bow to your devotions , it is so strong by simply reading it it humbles every great person alive in this world. I wish one day Rinpoche can be back in Gaden ,back in a place where you truly feel one with. I wish Rinpoche enters full enlightenment as soon as it is. Lastly thank you so much for sharing your life with us. 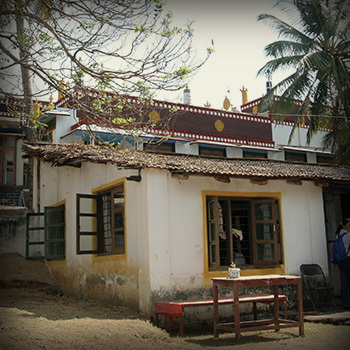 When Rinpoche in Gaden, South India, he stayed in a cowshed. Rinpoche has not complaint at all even though need to stay in a small cowshed. Two years ago, I felt quite luckily I can visit Gaden. I still remember when stand outside look at Rinpoche’s cowshed, I cannot believe it. You cannot imagine Rinpoche how much suffering Rinpoche has went through. That is no reason why Rinpoche want to stay in this small, old and narrow cowshed, the reason only for Dharma. Rinpoche has immigrated from US to India, all because only for Dharma and also want to fulfill his commitment to his Guru. Journey to Gaden 2006 not only opened our (62 of us) eyes the simple monastic life Rinpoche led in Gaden but also that of all sangha members there. 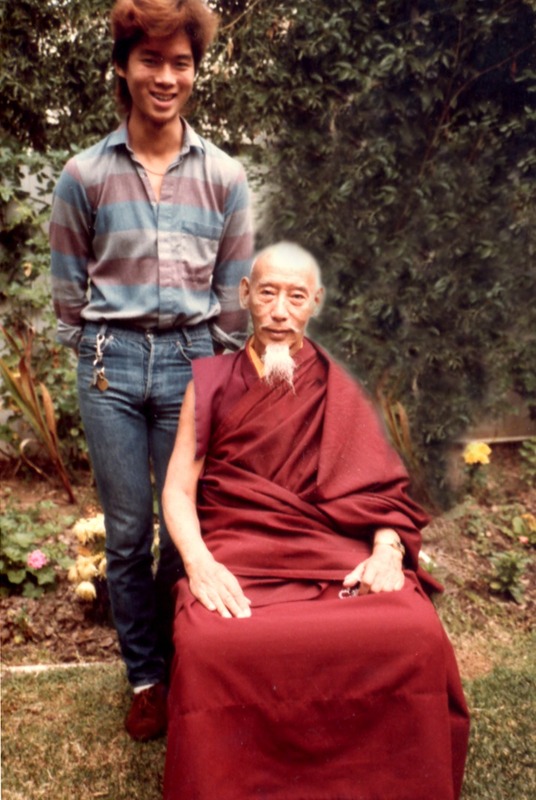 Rinpoche’s guru devotion to his root guru H.H. 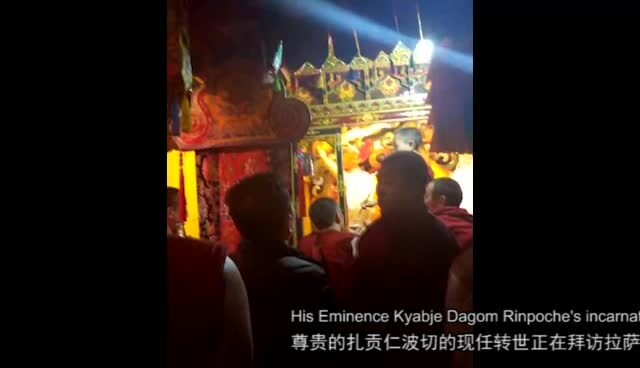 Kyabje Zong Rinpoche is very intense and we could see the tears and laughter of joy that Rinpoche manifested during the trip while recalling fond memories. 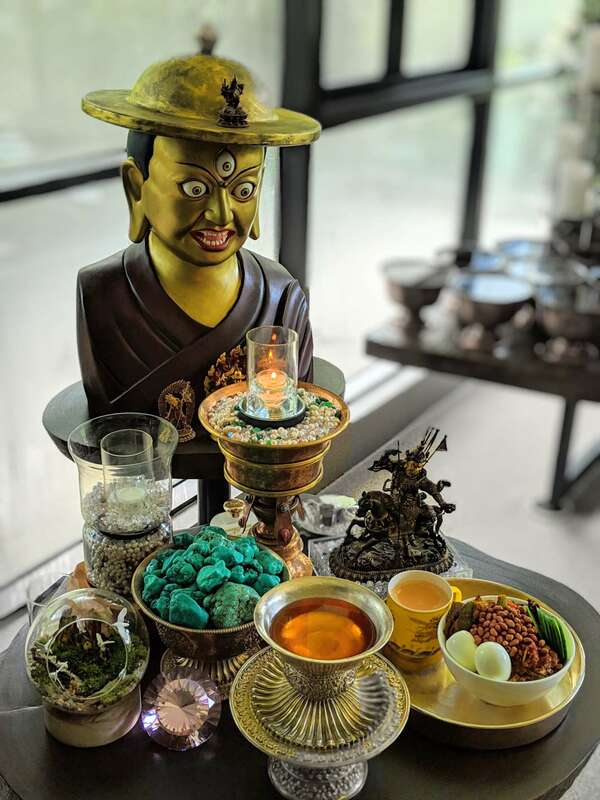 Rinpoche made many offerings to all his other gurus in Gaden including their attendants, other old lamas and geshes and the grand offerings to the entire sangha in Gaden (about 3000 monks). 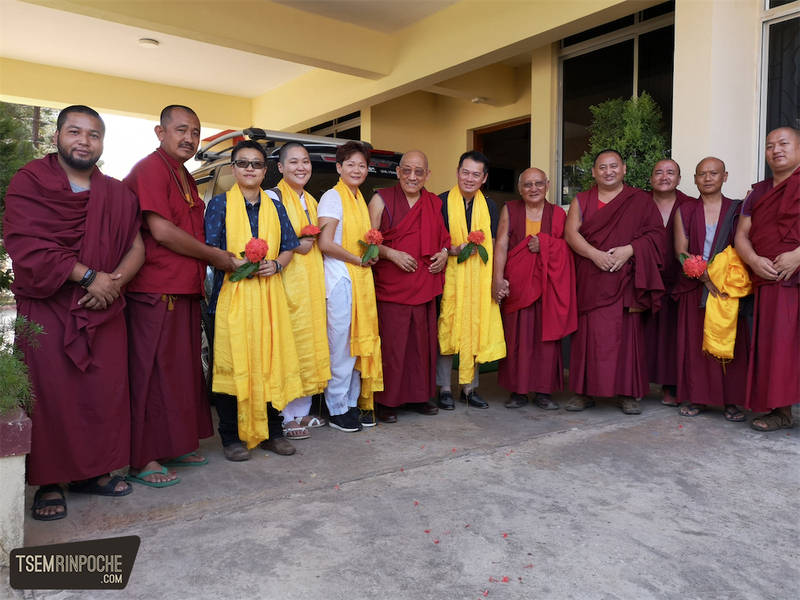 In return, Gaden Shartse and Pukhang Kamtsen accorded a very warm and grand welcome to Rinpoche befitting a high incarnate. 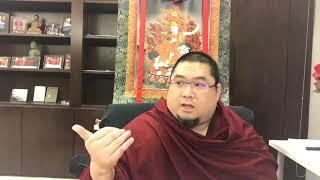 When I first met Tsem Tulku Rinpoche in August 1992 in Melaka in one of my dharma friend’s house, we just clicked straight away because Rinpoche could speak English very well and no Rinpoche could speak fluent English at that time, Rinpoche looked very thin and frail and pale at that time but very energenic his charismatic character attracts a lot of people, he is humourous and teaches dharma in a lively way. 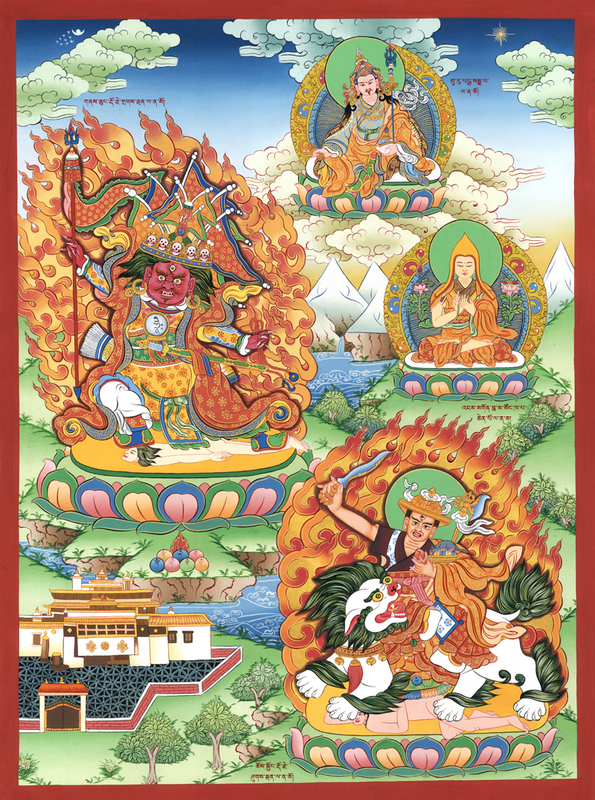 In the following yaer Rinpoche has invited a few of us ( 5 people ) to his house tsem ladrang in Gaden for 2 weeks. We really enjoyed our stay there. Tsem Ladrang was small and simple then but very warmth and calm inside and the surrounding areas. The air is fresh in the countryside and very relaxing that I wished I didn’t have to come back to work. 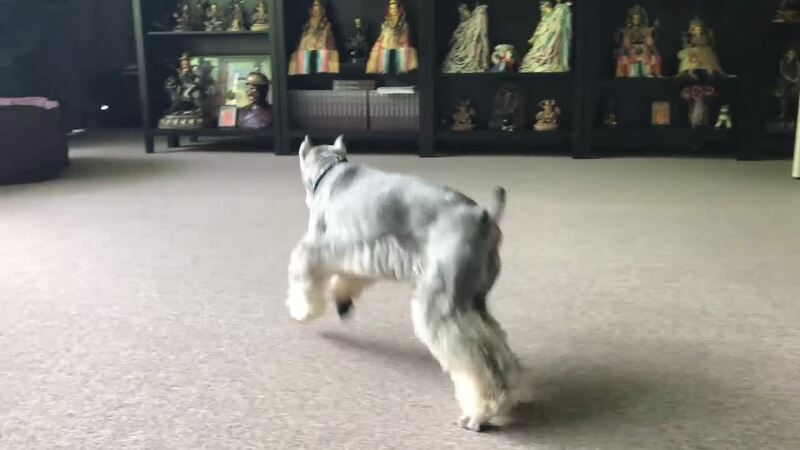 During the day we helped the monks to cook our foods in the house and by night Rinpoche took us round the monastery, circumambulating the stepas and afterthat back to his room to listen to dharma talk till wee hours in the morning, it’s so enjoyable that we never felt tired or sleepy at all. 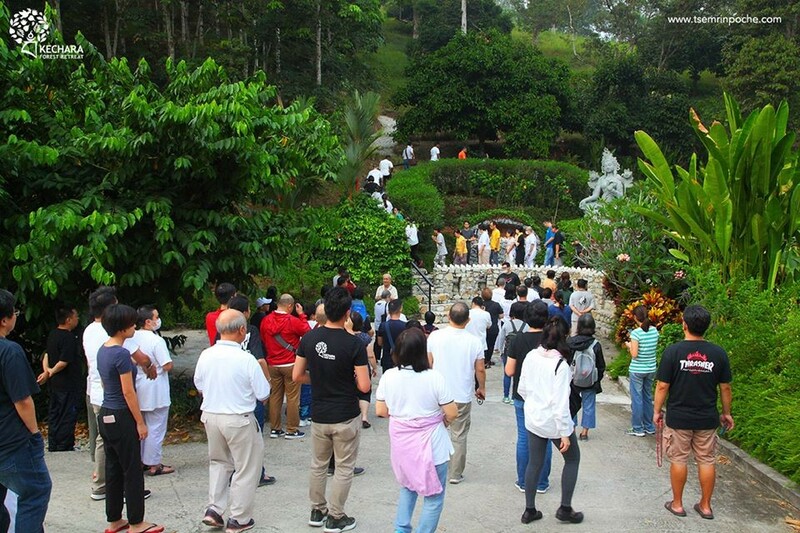 It was indeed my first memorable pilgrimage tour in 1993 to Gaden Monestery. 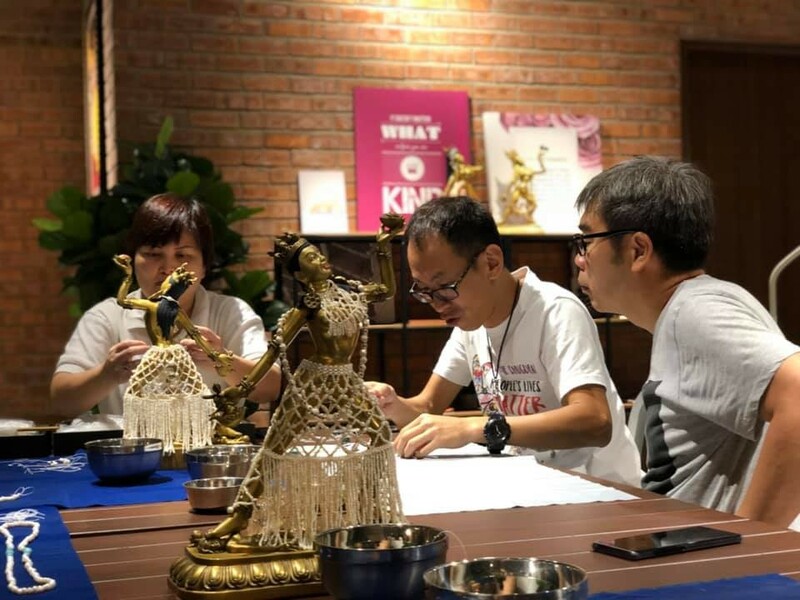 Even as i read in awe of Tsem Tulku’s Guru devotion, i can’t help but think…Wow!…1988 in a cowshed…22 years of obstacles later, Kechara with 13 divisions and an army of full-timers with total devotion to Rinpoche’s vision. Not to mention the thousands of lives “straightened out”. For most of us, we spent the same 22 years sinking deeper into the quagmire of ignorance and attachment. 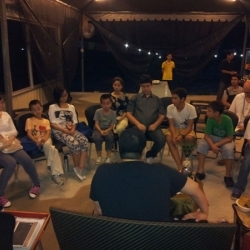 Tsem Tulku Rinpoche has said KWPC will materilaize and therefore it will happen. 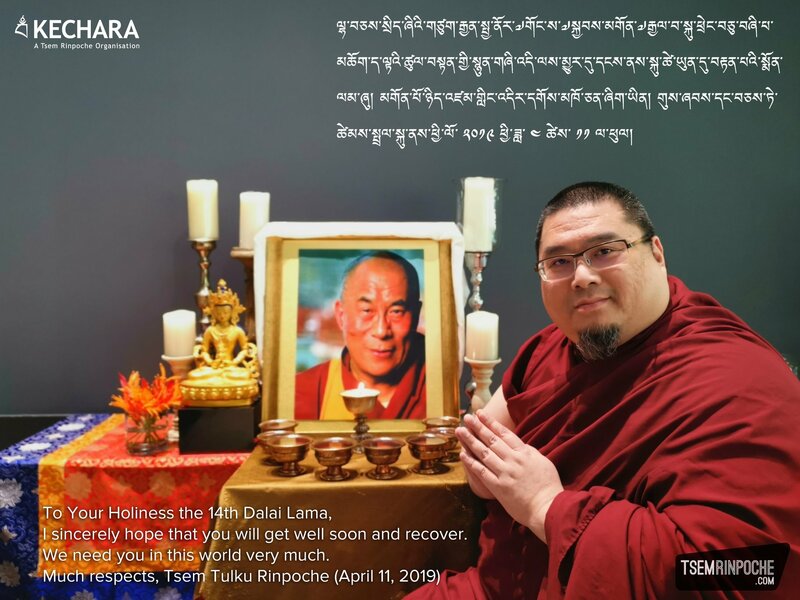 KWPC for me offers an opportunity to practice (hopefully) the similar Guru devotion as Tsem Tulku has shown, and make Rinpoche’s vision my mission. 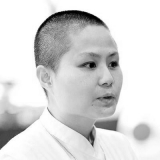 For now, that is the only way i know to practice devotion to Tselm Tulku….to do what i can for KWPC to happen. 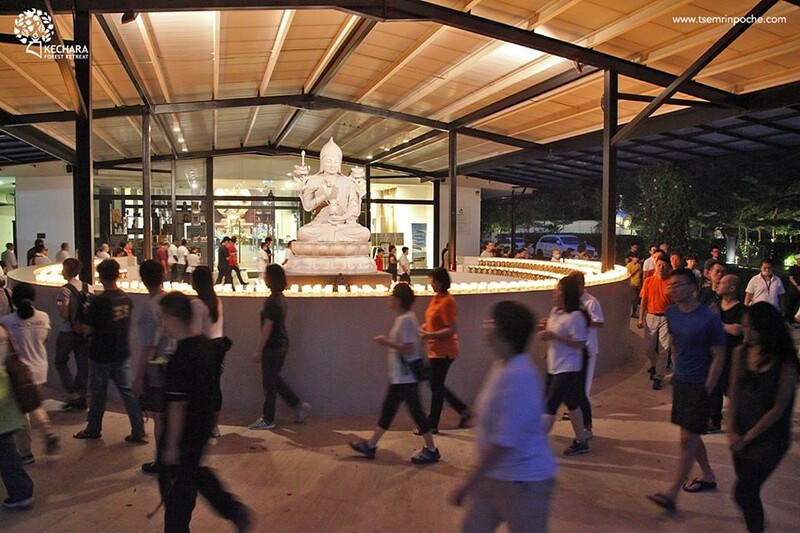 And i thank Rinpoche and all in Kechara for “counting me in”. Your amazing devotion to your holy guru is so inspiring to me! I remember once you said to develop strong guru devotion to the point where tears spontaneously run down your face. I think now I understand a little of how beautiful and life changing it must be to be so near to one’s perfect guru. I am so inspired to read this! 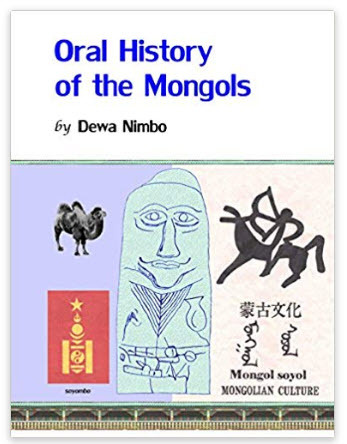 I have wanted to become a monk for such a long time, but have always been afraid that I will not be able to because I do not know Tibetan, etc. But I think that, if my gurus give me their blessings to go and become ordained, then I will surely be able to do it. You are my role model for how to be devoted to my gurus. I see how transformative guru devotion is, and I think it is time for me to commit the 50 Verses of Guru Devotion to memory. 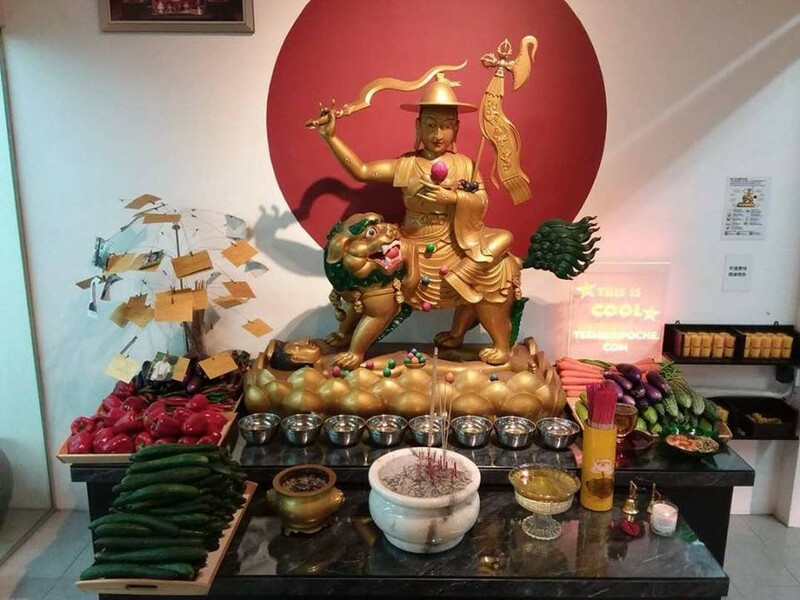 External conditions like living in a cow shed and pangs of hunger did not dissuade Tsem Rinpoche to turn the other way to give up Dharma or guru devotion to his guru, HH Zong Rinpoche. 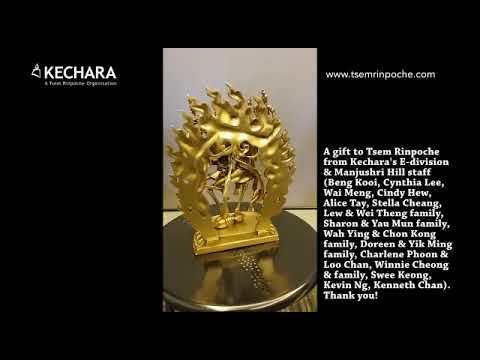 Tsem Rinpoche kept his promise to HH Zong Rinpoche even after his passing on to clear light. These monks in the monasteries lived with bare minimum necessity and yet they are happy and joyous to be able to live close to their gurus and serve them. 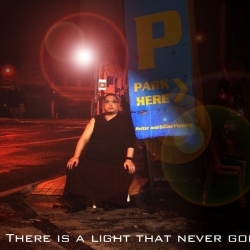 Tsem Rinpoche was not attracted to the lights in the city nor to the pleasures it offered. Instead he is most happy to be with the only person he owes his life and devotion to. So do we really need a lot in life to be truly happy? Rinpoche listened to what his root guru adviced him since he met Zong Rinpoche in USA, even Zong Rinpoche passed away and the reincarnation came back, he never ever will break the samaya with Zong Rinpoche. Reflection on this, as a student to Rinpoche, do we sincerely enough to develop the guru student relationship with our guru? Do we transform enough to pay back the kindness Rinpoche had consistently working on us? Do we show our gratitude always to our guru? 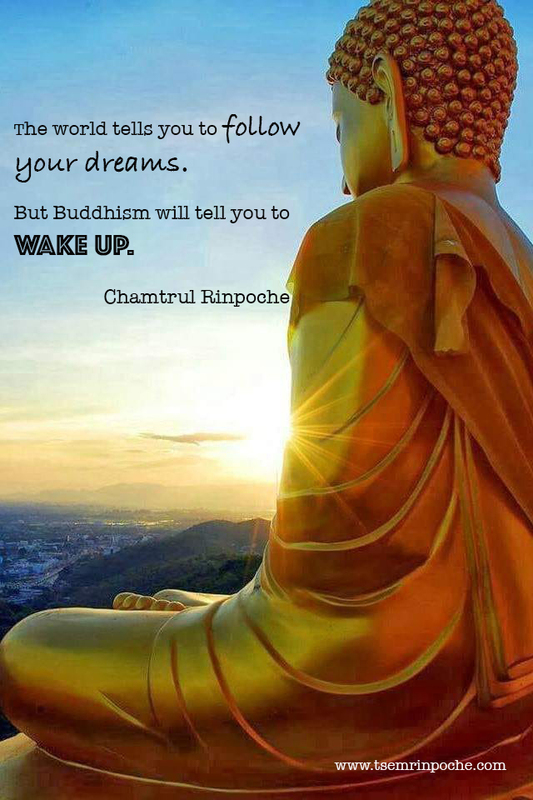 These are the pointers to comtemplate…..
: I think that Rinpoche has such good karma to be able to live in a Ladrang of his root guru. 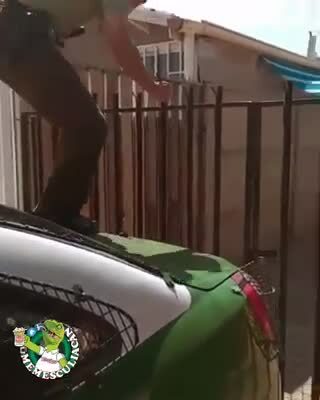 I hope I can do that one day. 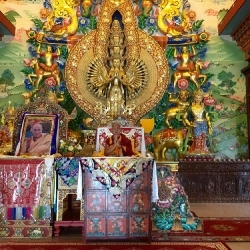 Rinpoche shows such great guru devotion towards Kyabje Zong Rinpoche. I want to be like that. I would want to be like a ferry to go forth and back for the guru, like the earth carrying and handling all the work for the guru. People want to be enlightened, that is why there is a guru. 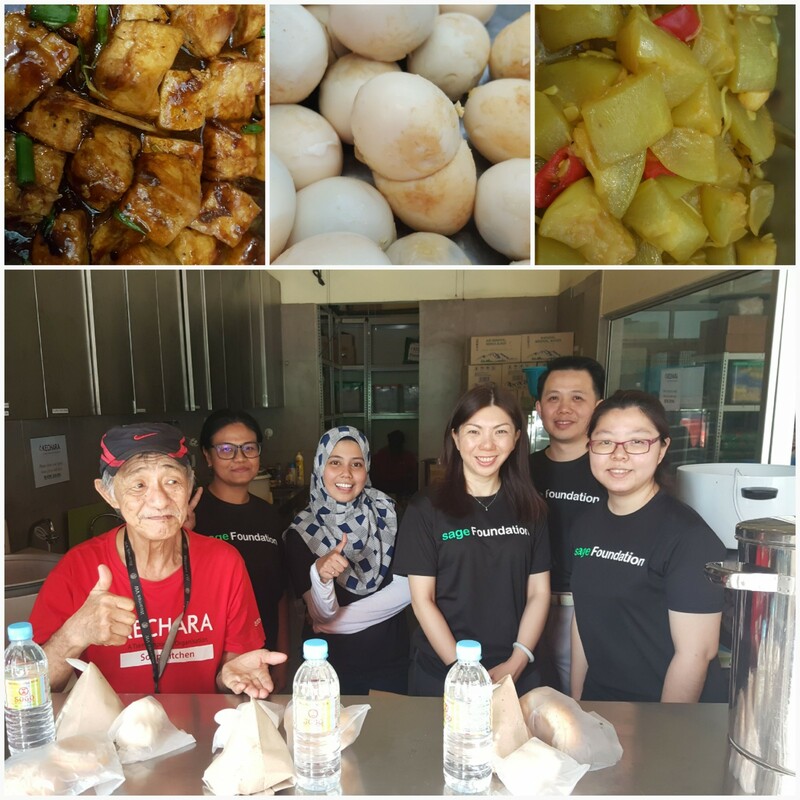 I believe that I am lucky to have a glorious center like Kechara House that has lovely people working in it, air conditioning etc. 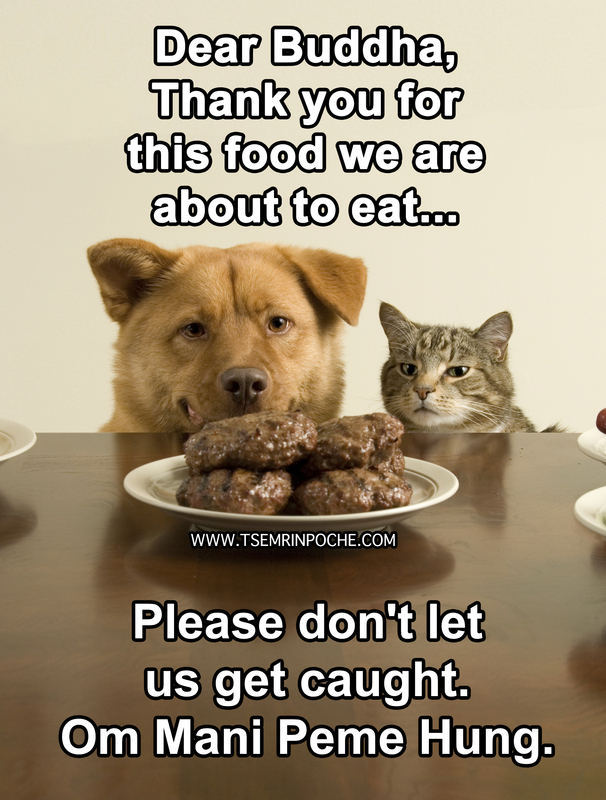 I am glad the snakes did not harm Rinpoche. When Rinpoche passes on, I will feel very sad. I know I will cry for months on end, because I love him as a guru! He taught me the great and holy Dharma, the only true way to true happiness! 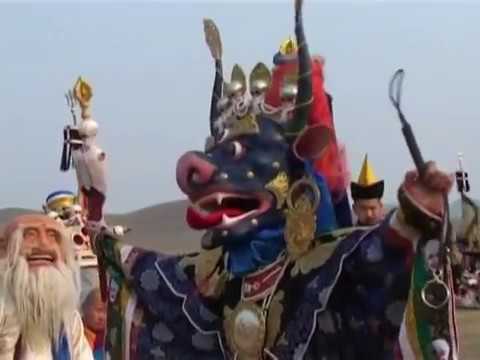 I really wish I could visit Gaden Monastery one day and see Zong Ladrang on a next pilgrimage! 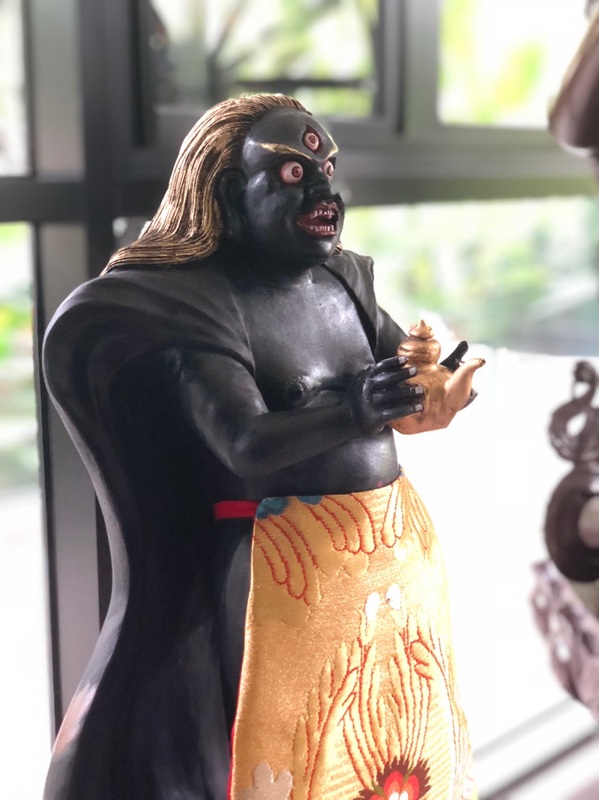 I agree with you Su Ming that the most striking thing about this post is the overwhelming devotion and love that Rinpoche has for his Guru, and the lifelong commitment he has to the promises he made to Zong Rinpoche. The difficulties already started in America. 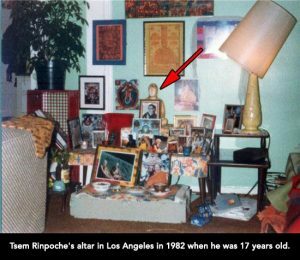 Rinpoche told us that he heard about Zong Rinpoche passing away when he was still in Los Angeles. His whole world fell apart then and he contemplated for some time over whether he should continue to go to Gaden or stay in America. 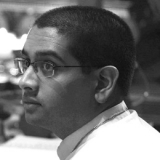 He felt that there was no point in going all the way there now that his Guru was dead. 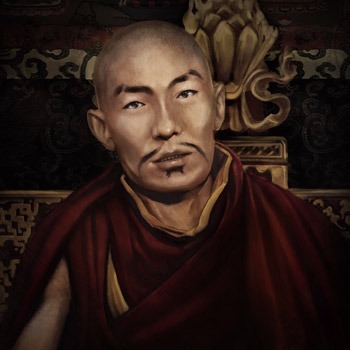 Then one day, he just asked himself, “Do I believe Zong Rinpoche is Heruka, or don’t I?” He knew the answer right then, that Zong Rinpoche may not be physically there but if he believed that Zong Rinpoche was Heruka, then he would be everywhere and he must still honour his promise. He left everything in America and went to India, knowing that his Guru wouldn’t be there. This is stunning, for how many of us could say the same of ourselves? Many of us can’t even keep a lunch appointment! As it is, many of us struggle to keep our promises even when our teachers are alive, least of all when they have passed away. 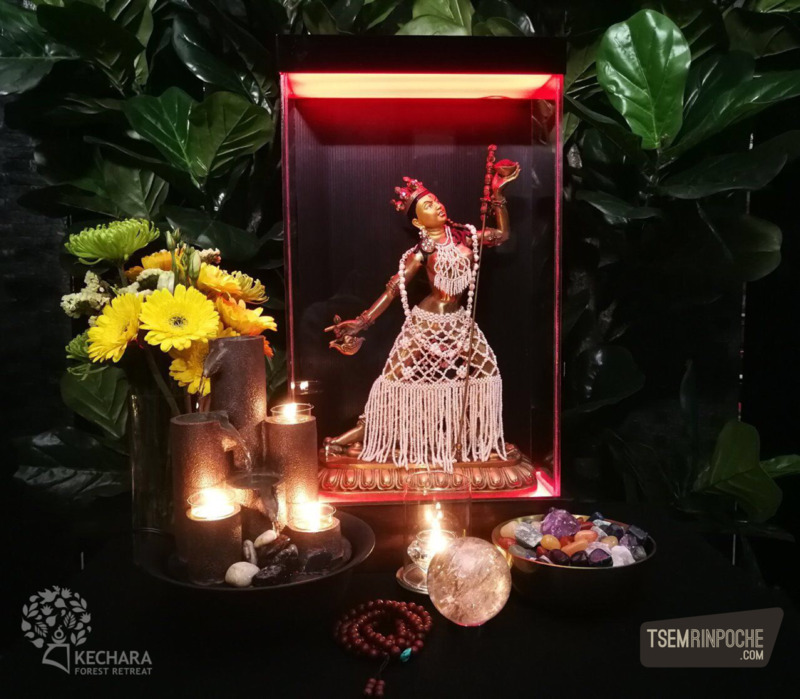 Rinpoche exemplifies to us the meaning of a lifelong commitment, true devotion and how it is entirely possible – nay, necessary – to keep our promises, no matter how hard it gets. He has shown us by his own example that the integrity and honour of honoring our word brings us so much further than hiding, denial and giving up. 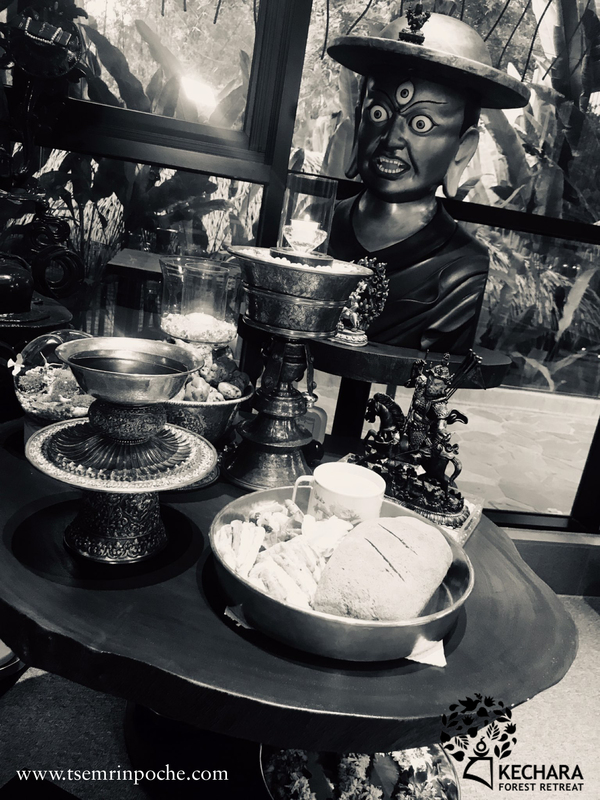 What touches the most about this posting about Rinpoche’s Guru Devotion towards Zong Rinpoche is that Rinpoche DID NOT TURN BACK HIS WORDS/PROMISES when Rinpoche heard the news that Zong Rinpoche has passed away. Rinpoche proceeded with what Rinpoche has promised Zong Rinpoche and Rinpoche made his way to India to become a monk. I’ve heard how Rinpoche has “suffered” in India and Nepal due to poverty BUT that WAS NO EXCUSE TO BREAK THAT PROMISE. And believe me, if Rinpoche had stayed back in America, Rinpoche would be very successful. It is very inspirational as in this age and era whereby promises are just merely words without action. Let us just reflect upon ourselves on all our broken promises not just to our guru but the people around us. Once our attachment knocks on our door, our integrity just flies out the window. With greatest respect, I read this article and thought: “What hardships!” But it seems I prove my own ignorance, because I get the feeling that actually, these weren’t hardships to be endured, but rather your earlier joyful times in the Dharma and not being concerned with material comfort, which in comparison is temporary and meaningless. It’s very strange, because I’m at present drawn back to a time in my early days at school, where a minister spoke to our class. 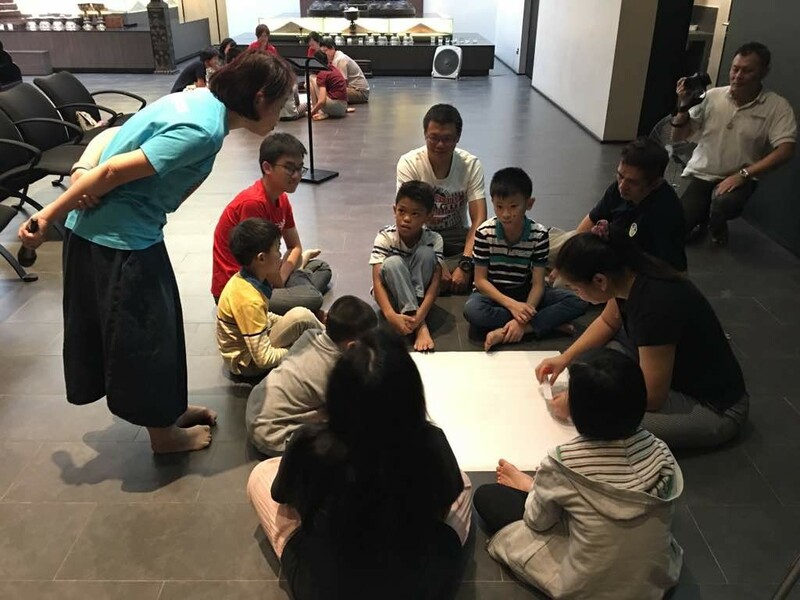 Our teacher asked him about the sacrifices he made in joining the Church and he said: “I didn’t sacrifice anything to join the Church; it was always my calling, my greatest joy.” I’ll never forget that, even though it was over 20 years ago. Thank you for sharing such joyful times. 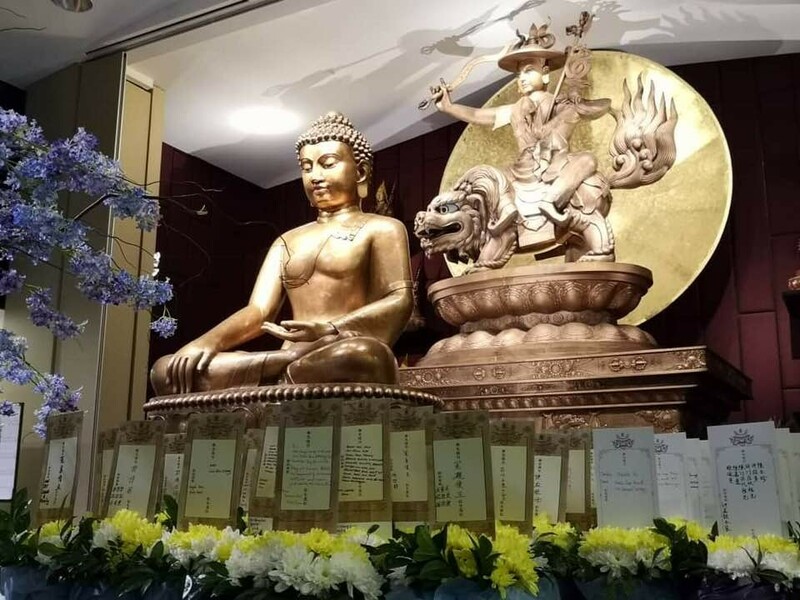 I’m sure thoughts of these times bring you fond memories, and although you no doubt still feel the loss of your great guru, HH Zong Rinpoche, you’ll also feel the many benefits and gains he provided you with, which no doubt remain with you till this day. Dear Rinpoche, thank you for sharing the stories of your life with us. Although I haven’t have the chance to visit Gaden Monastery, Zong Ladrang and Tsem Ladrang-Gaden, I wish I can in the future. The pictures posted here makes me feel like I was there in person. I could still remember in 1 of Rinpoche’s teachings, Rinpoche actually commented how precious it was to have a mosquito net to keep them out. 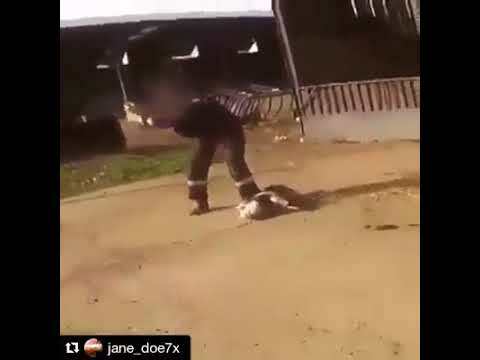 It was funny at first but then I realized how hard it would be if I was staying there. So used to the so called ‘luxuries’ we have now and taking them for granted. 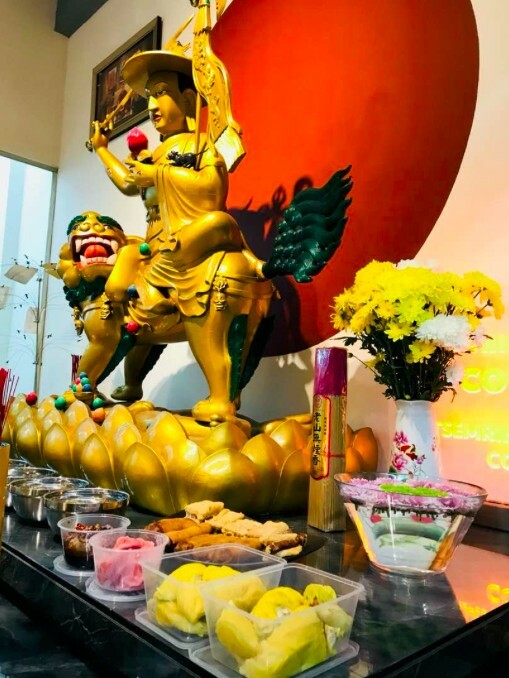 I am so glad that Rinpoche now have a comfortable place, very hardworking Liaisons and members in order for Rinpoche to guide and advise for the precious Dharma to grow bigger and bring more benefits to all. 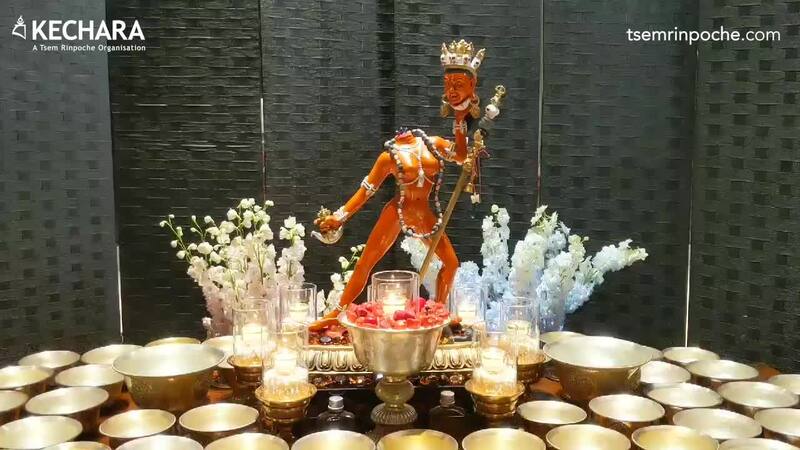 May KWPC manifest ASAP and Lord Setrap help us all the way in realising Rinpoche’s hard work and dreams. 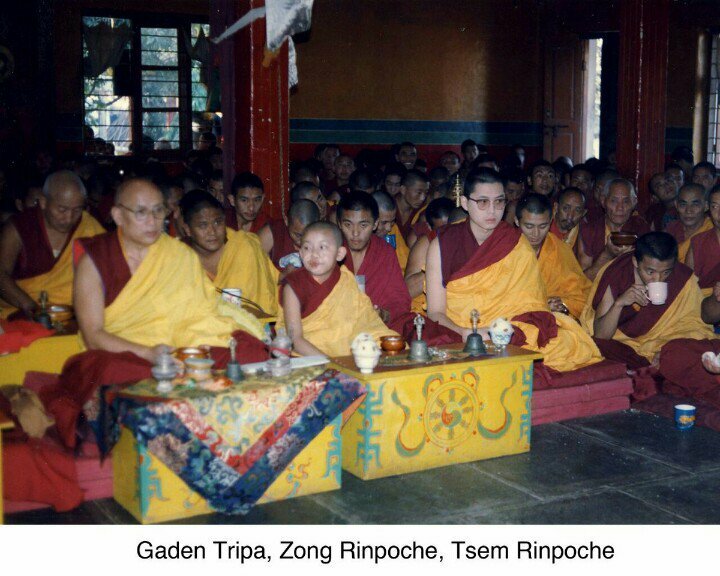 When I first visited Tsem Rinpoche in Ganden Monastery I never expected him to stay in a cowshed when he became a monk in Gaden. He was still very thin and malnourished even though he was already staying in the house that his father had built for him now. This cowshed belonged to Zong Rinpoche. 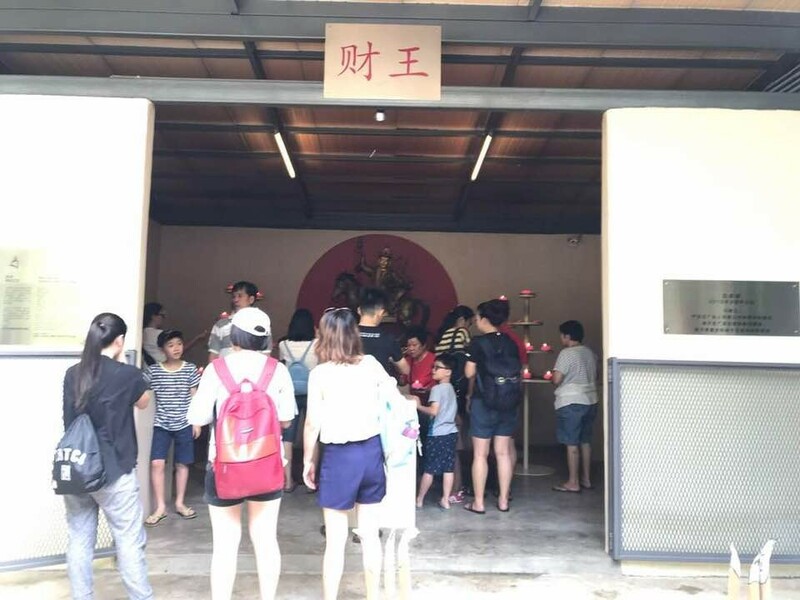 Through the kindness of Zong Rinpoche Tsem Rinpoche has a place to stay even though its a cowshed. 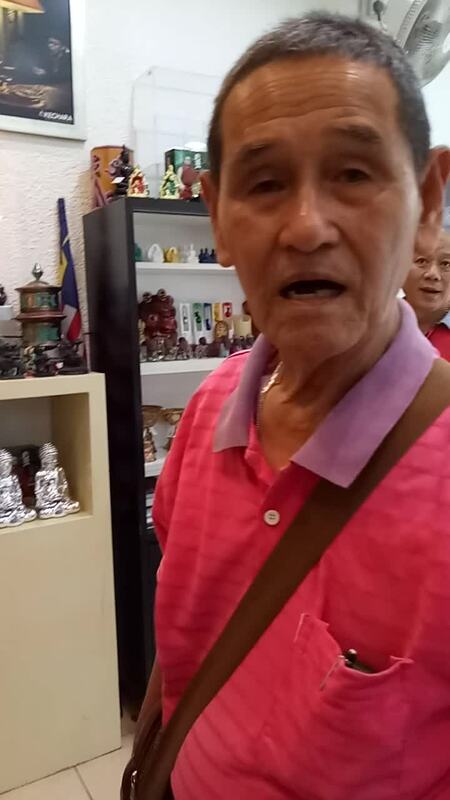 He appreciates Zong Rinpoche very much thats the reason why he will shed tears when he thinks of Zong Rinpoche. 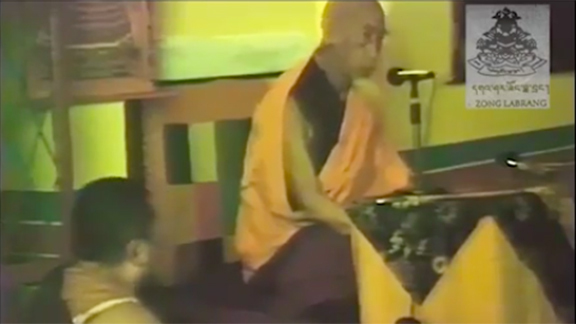 And in 2006 he led a pilgrimage to Ganden Monastery and he proudly show the cowshed to the people where he stays through the kindness of his Guru. 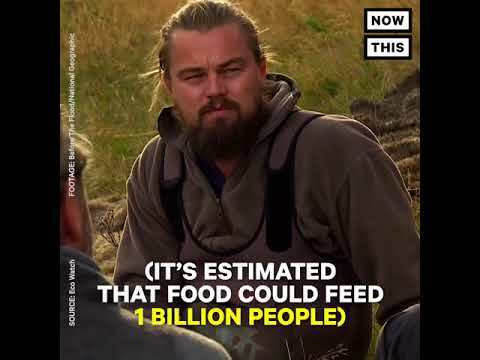 That is why he feels very much for people who are homeless and without food. And KSK was born. An opportunity was provided in a visit to Gaden Monastery in 2006 for 62 people, including myself, where we were able to see how our guru used to live when he first went to join Gaden Monastery. We were taken to two adjoining small leaky tiled roof rooms situated behind a chapel separated by a small road. From a description, it seems our guru had buffaloes and cows staying as neighbours in the other room and through a huge crack in the wall, he could see them daily, had to get used to the strong aroma of the buffaloes and this was where he did readings, retread, tsok, pujas, prayers for a few years. 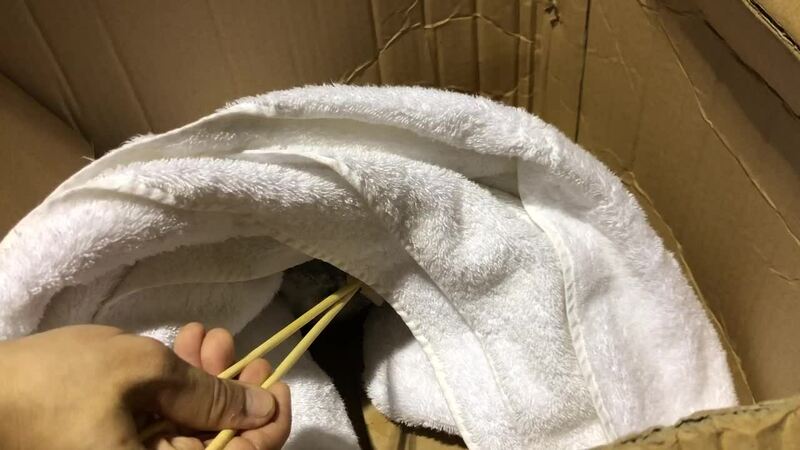 Snakes were sometimes found in the toilet, though no harm had happened to him all those years and Rinpoche said that he had many great times living in this simple small room of his guru’s house in Gaden. 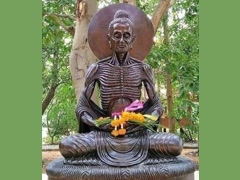 This article shows us that learning Dharma make us to transfer ourselves to become better and should not make our ego grow bigger and make us swell with pride with a wrong attitude. 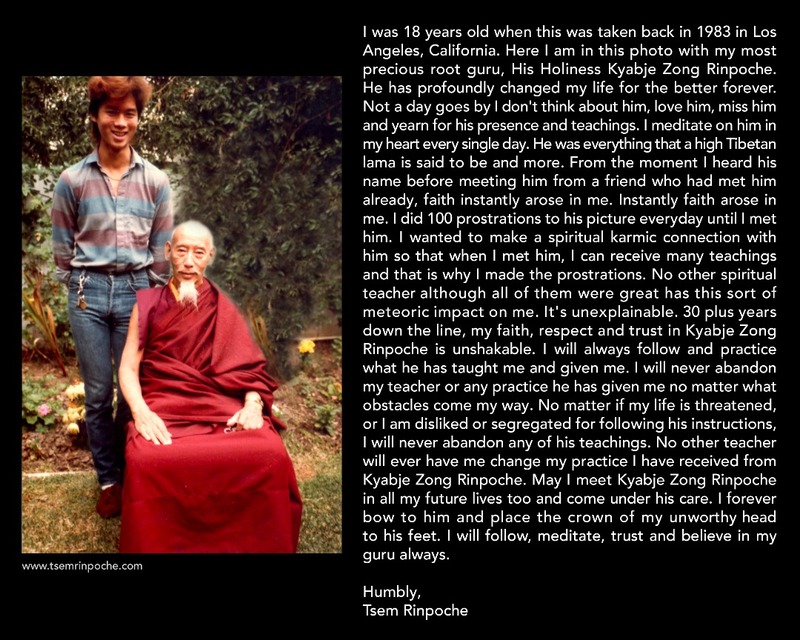 It is very humbling to know about Rinpoche humble beginnings and where Rinpoche’s heart truly lie. The hunger and poverty that was experienced by Rinpoche showed how brave and steadfast he is for the Dharma. His bravery inspires us to do the same in our own capacity with our own spiritual practice. For new people, this story is a great story that will reveal the treasure trove of qualities that Rinpoche has. 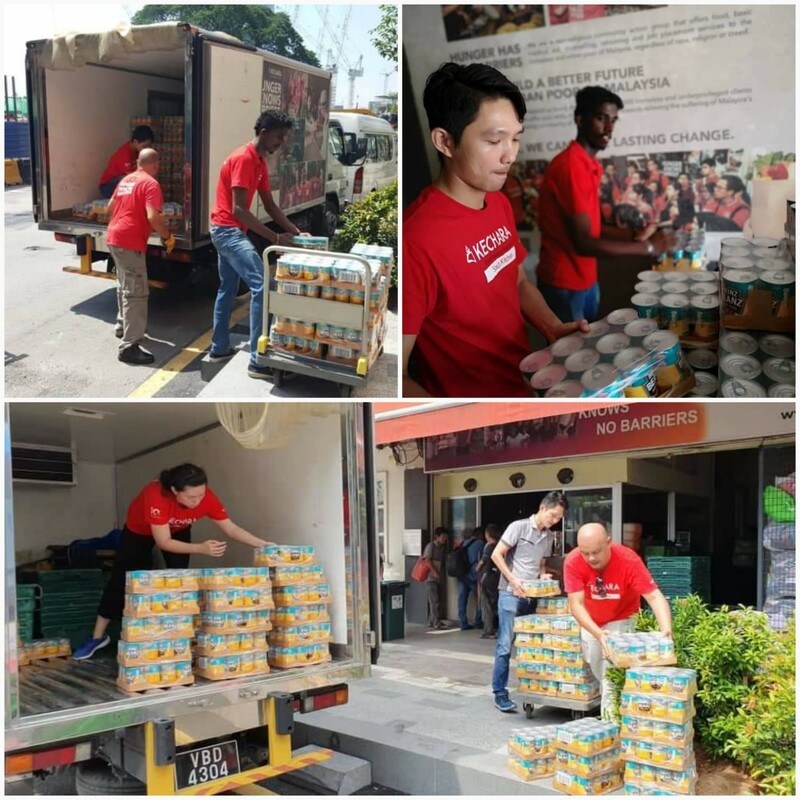 It shows what a humble and a living master of the Dharma who would do whatever it takes to benefit others. One thing about Rinpoche is that he doesn’t need to hold his sacred vows but he naturally act out of the vows themselves. It shows that Rinpoche had already achieved the vows and the vows are not to hold him down but to inspire others to practice. Rinpoche’s strong Guru devotion is truly admirable. Rinpoche respects his root Guru (Zong Rinpoche) very much and put Dharma practice as his priority to return the love to his Guru. Rinpoche lived in the cowshed and had very little to eat but he still love staying at Zong ladrang. 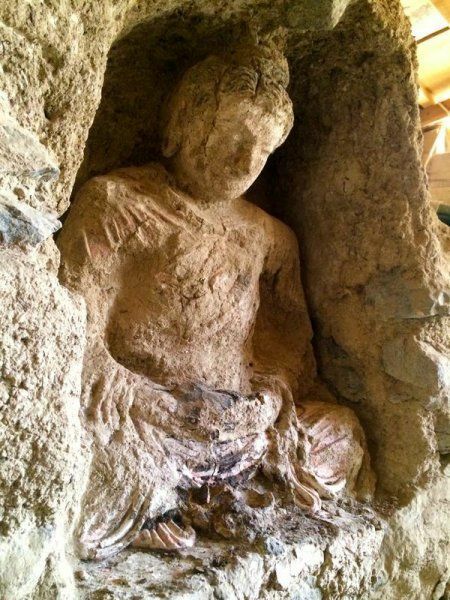 Despite the living condition, he persisted in his dharma practice because of his love for Zong Rinpoche. It’s very touching how Rinpoche describe how he misses Zong Rinpoche and how he hope to be with his Guru again. 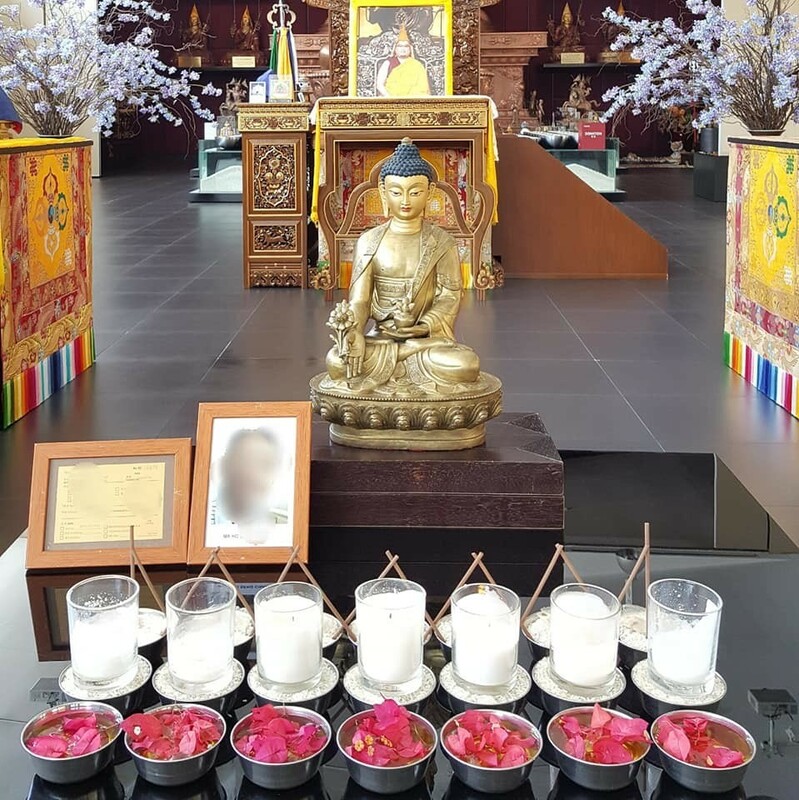 Through reading this article, i reflected on how fortunate we are in Malaysia to have a beautiful Kechara centre with full facilities e.g. air-cond, clean toilets, nice prayer hall and still we are lagging in our dharma practice. We must start practicing dharma & each students must play their part in order to repay the kindness of our Guru. 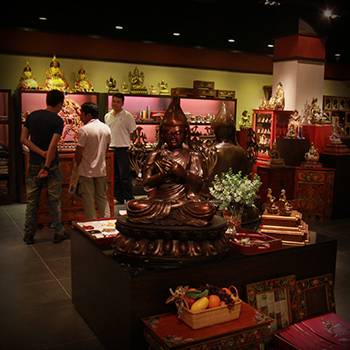 As Rinpoche always remind us to be truthful & sincere and not to play mind games, then Kechara will grow to benefit many. 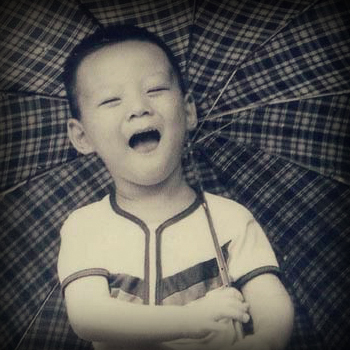 What hits me hardest after reading Rinpoche’s post is the way in which Rinpoche remains so loving, caring, giving, hopeful and joyful despite the hard living of Rinpoche’s youth. 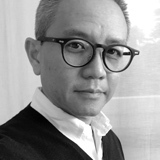 I have never sensed a moment of anger, sadness, or bitterness from Rinpoche. 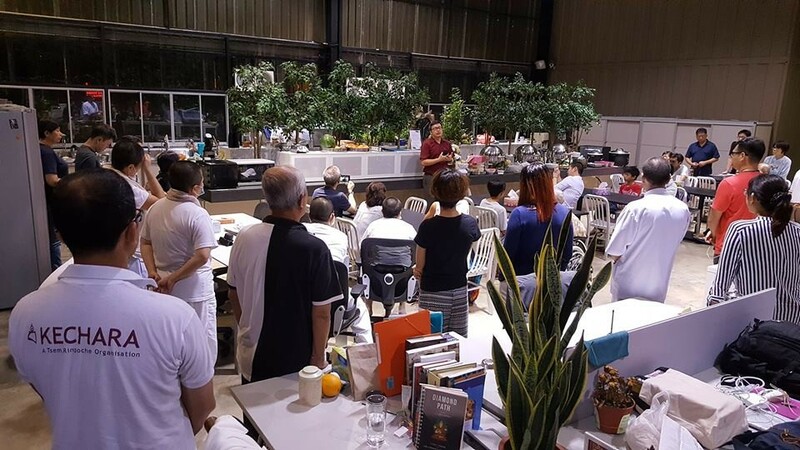 Rinpoche does not use the sad and hard past as an excuse to be less than 100% compassionate and dedicated to being in to contribution to others through Kechara House. Rinpoche sets the pinnacle of example to which I should remind myself to make conscious effort to strive towards. 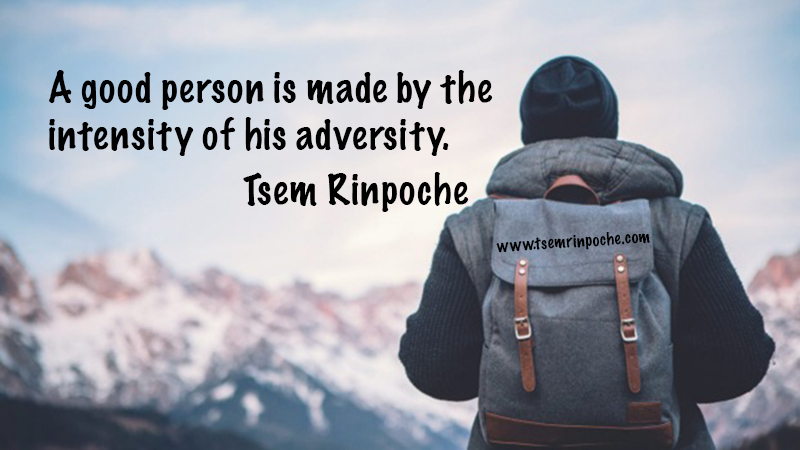 From Rinpoche’s story, I also learn that if we find our cause in life like Rinpoche did, despite every difficulty, we will be happy. 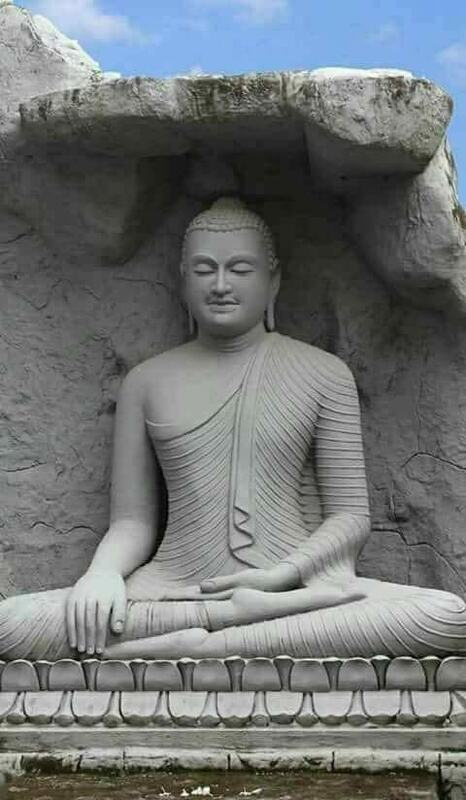 Additionally, from my understanding of Dharma teachings, the ONE purpose we all share commonly in our lifetime is to awaken the Buddha within us, i.e. 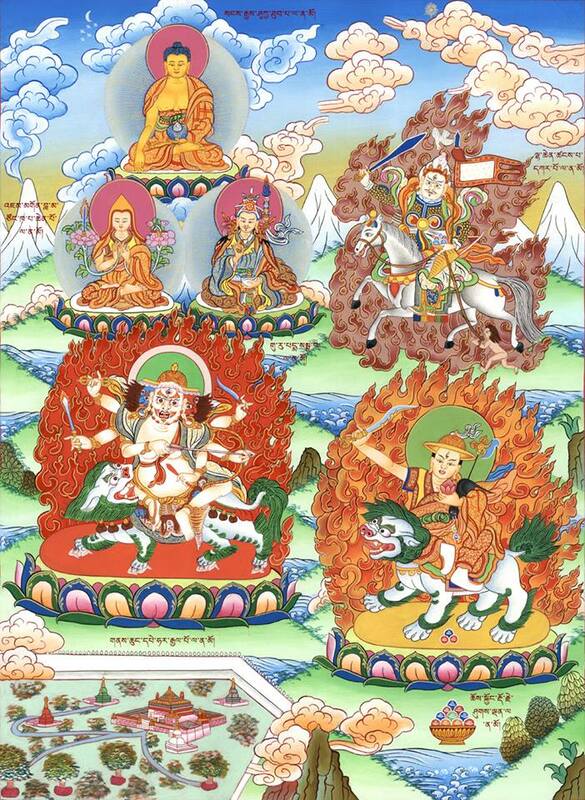 achieve enlightenment to free ourselves and all sentient beings from samsara. Yes Rinpoche, I was one of the fortunate ones to go on that trip with you to Gaden in 2006. I was there too in your old room. Until I saw with my own eyes the condition in which you lived in, I had no idea what hardships you endured to learn and practice the dharma. Few nights ago you scolded us for not treasuring the dharma, how right you are. We are truly the fools that hold a gold nugget and then just carelessly toss it aside. I’m sure that a lot of people express Thank You towards Rinpoche all the time, but I’d just like to say Thank You again for sharing this post which shows everyone the humble early days you had as a monk. 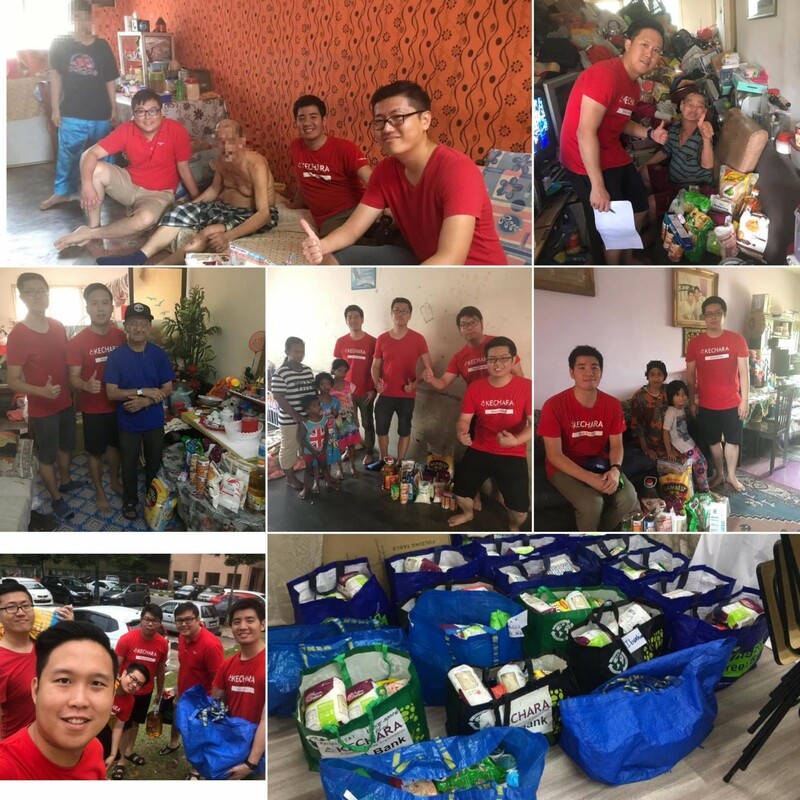 I feel that perhaps some people may get the impression that with the amount of gifts that he gives away and the established departments (and ladrang) that anyone can see today that Tsem Rinpoche has always had it easy due to kind sponsors. 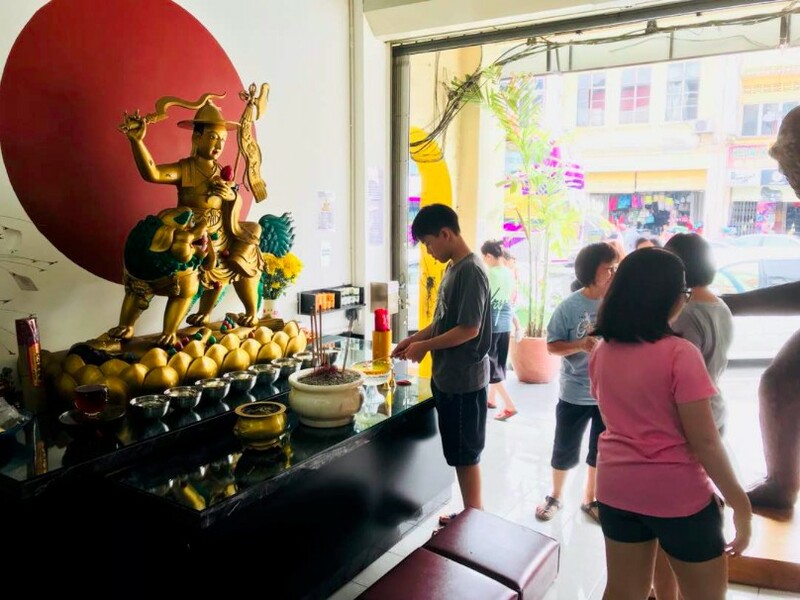 By looking at the photos and reading the explanations and photo captions, it truly illustrates how genuine and real Rinpoche’s devotion and his lineage (due to the teachings) is. A lot of people (including me) sometimes wish that they had a massive, fluffy sofa to sit on after the 4th hour of listening to a teaching (I’d honestly still pick a cushion over a sofa) but looking at where Rinpoche has done prayers for most of his life makes me feel shameful that I can pray in an air-conditioned and mosquito-free environment. 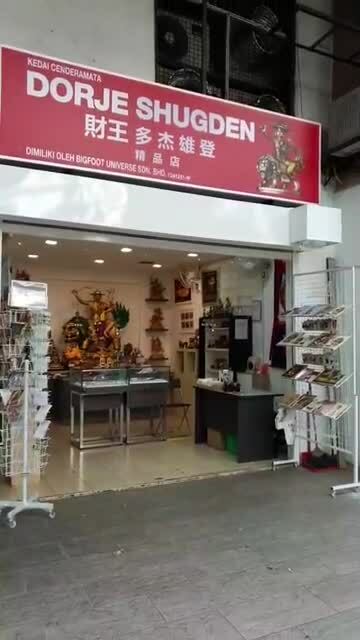 I’m sure that (just like Tsem Rinpoche) Zong Rinpoche didn’t mind and probably loved his Ladrang but some part of me wish that I was around and could do something to improve the place. 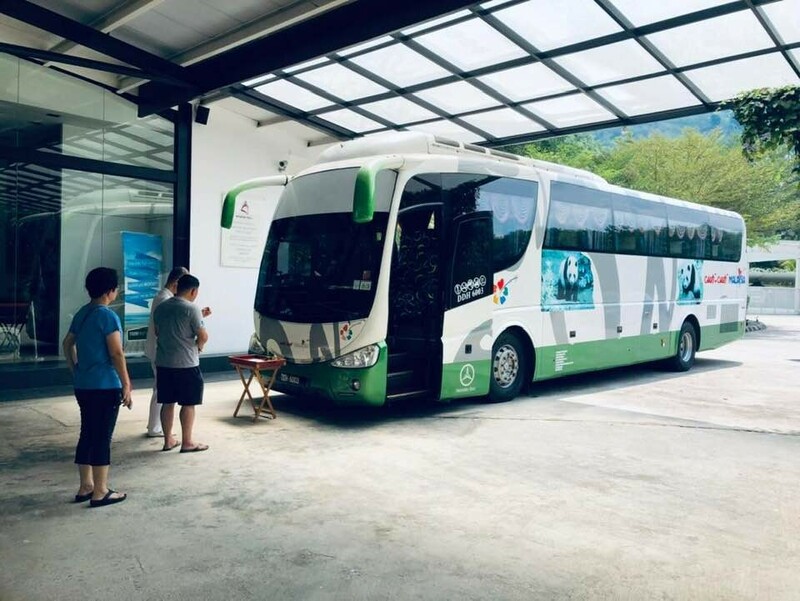 I’m very happy to see the conditions of Tsem Ladrang and feel really comforted to know that his students will do their very best to give him the best that they can. What struck me most is how Rinpoche misses Zong Rinpoche. 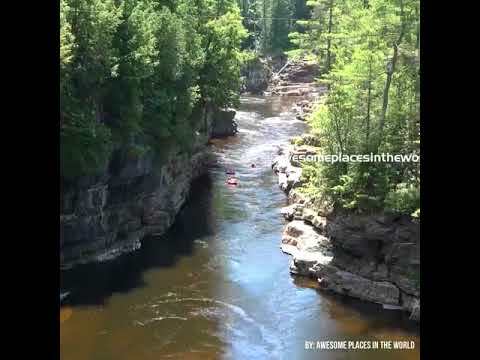 I’ve known of this for many years and was there during the trip. Nevertheless, reading this post strikes deep in my heart and mind as if i’m reading it for the first time. 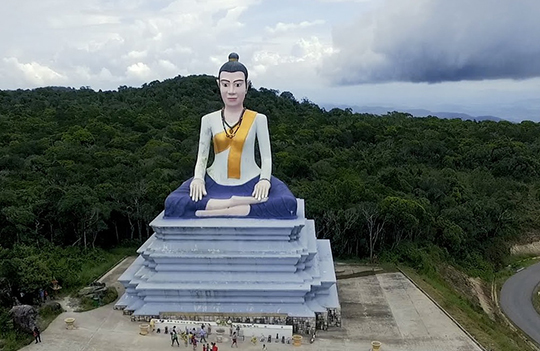 Instead of feeling sad, lonely, with not much to eat, Rinpoche made up his mind by developing compassion, benefitting others, letting go of pains, and working for others. 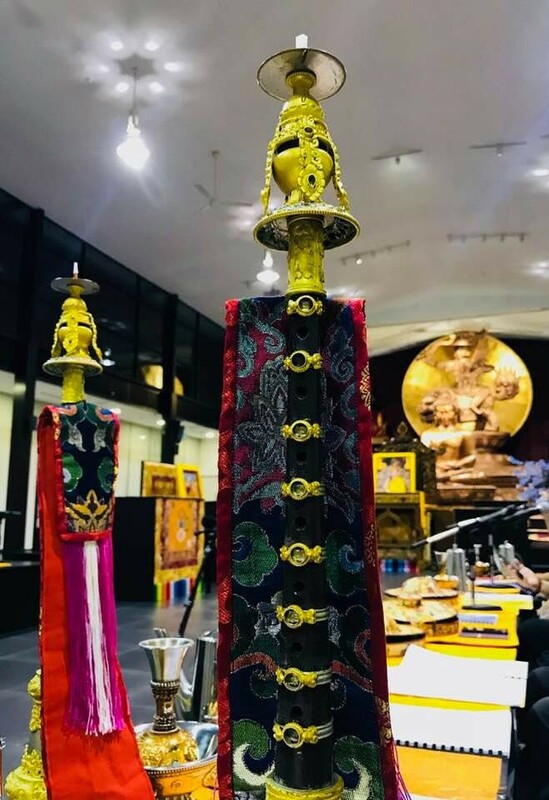 As Rinpoche stated, that is the only way Rinpoche can connect with Zong Rinpoche again. Closeness with our Guru is not just about physical proximity, but closeness as in what we wish to develop for ourselves and others. IF our minds differs from our Guru’s then how can we have closeness with him. 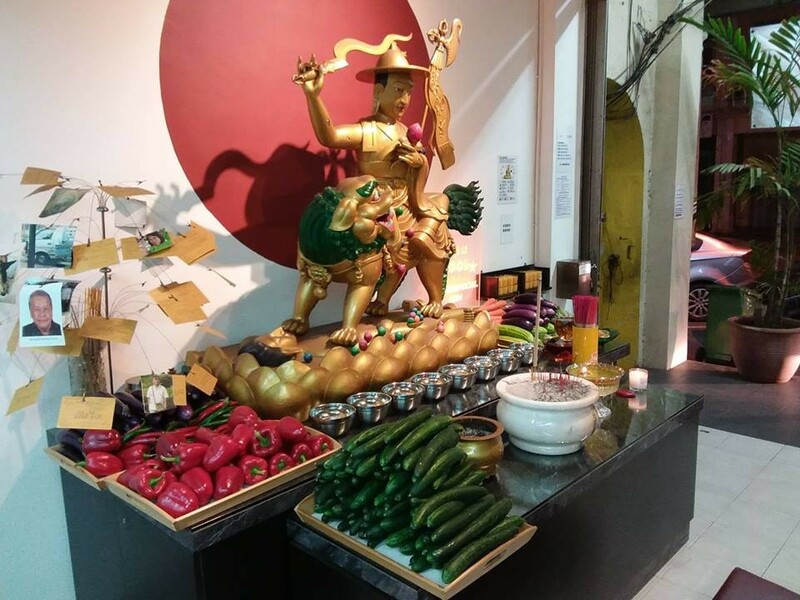 Rinpoche, thank you for blogging this article as I know it will make many people think about their samaya with their gurus as it has done to me. 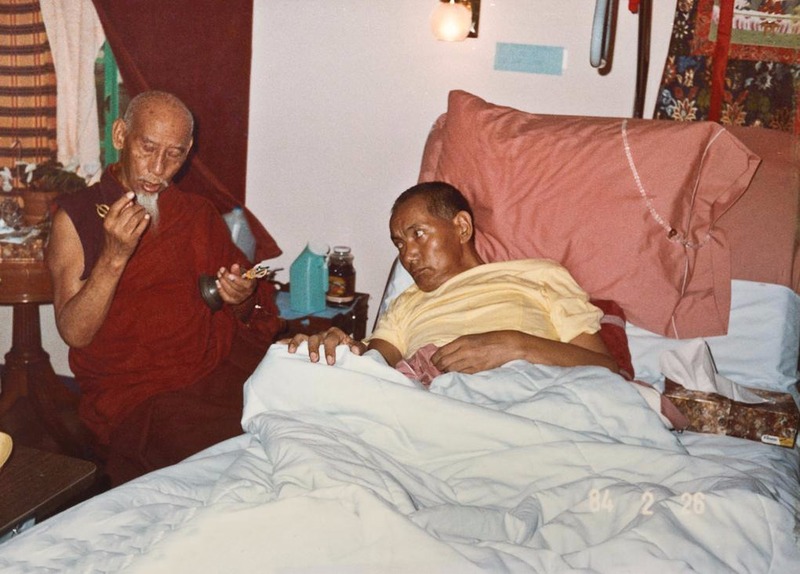 I find it truly inspiring that Rinpoche’s devotion to his guru and commitment to Dharma never swayed, even when the living conditions he experienced were looking rather hard from the outside. 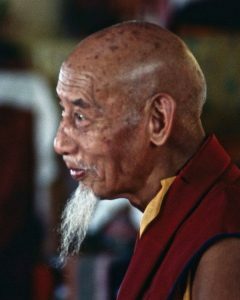 Through near starvation, living in a cowshed with little or no comfort, his devotion to his Guru Kyabje Zong Rinpoche gave him the strength and will to go on. 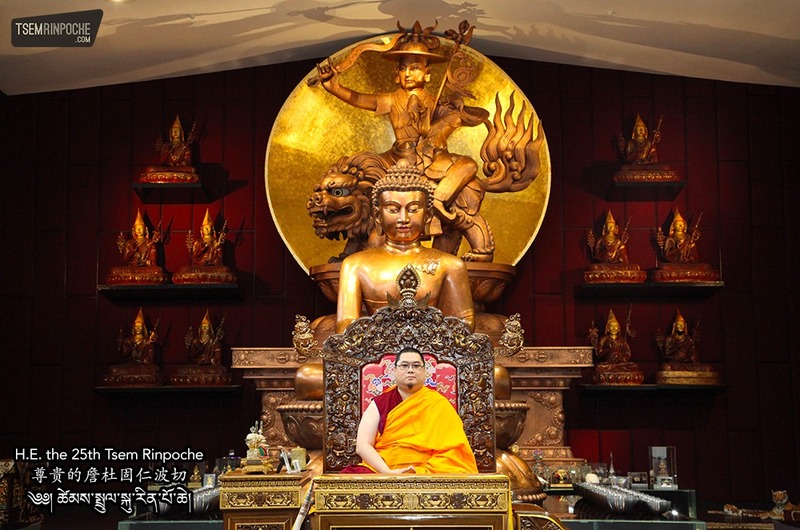 It even looks as if Rinpoche turned the hard conditions he lived in into something joyous, something that would uphold him, rather than to bring him down. 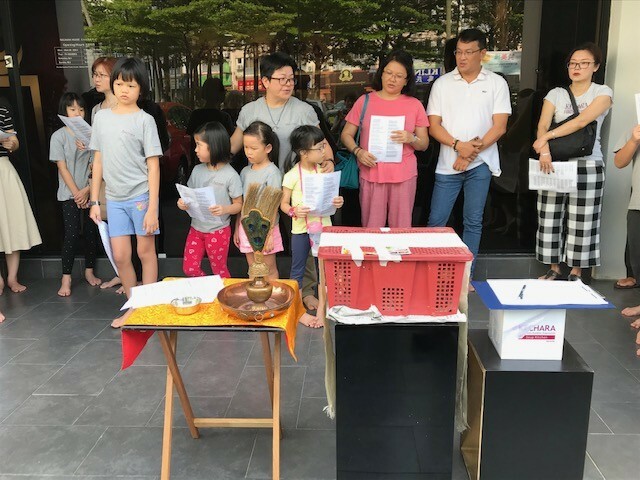 If I compare to my own experiences, I find it shameful that with conditions looking “condusive”, plenty of food, air-conditioned Dharma center with marble flooring, Dharma DVD’s playing on flat screens, etc… my faith and commitment is so poor. The picture of Rinpoche sitting on the bed in Rinpoche’s old room in Zong Ladrang Gaden brought back many memories from the Gaden trip in 2006. 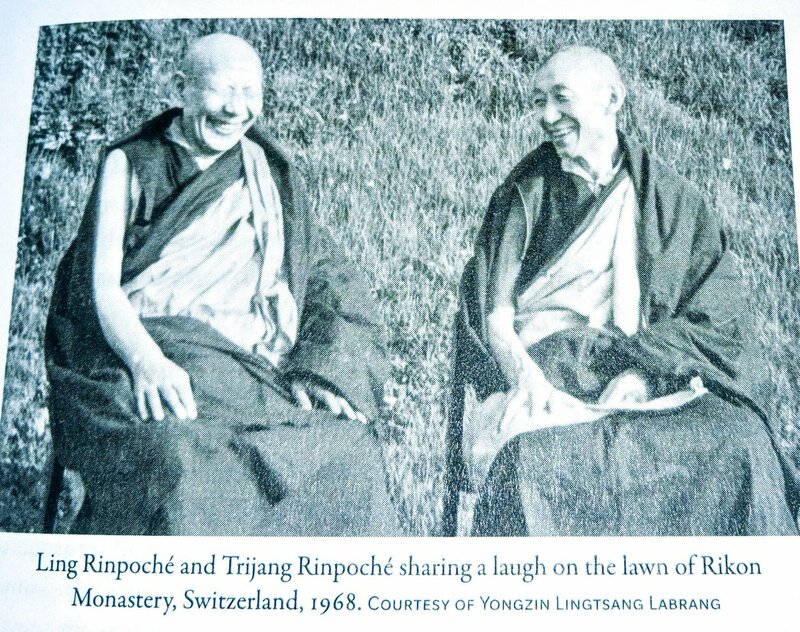 I remember Rinpoche saying to us that Rinpoche would never exchange anything for Rinpoche’s time in Gaden. Rinpoche was very happy there because Rinpoche was amidst High Lamas, Dharma and the monastery. 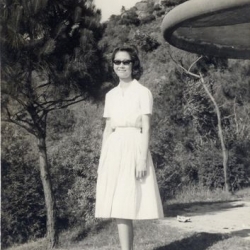 I absolutely believe that as why would Rinpoche want to go thru hunger and living in such a Spartan environment and be happy there when Rinpoche could have all the material things and comfort in America . There is definitely no other reason except for Dharma. I can imagine this room meant a lot to Rinpoche. Going to Gaden and living in Zong Ladrang was a fulfillment of Rinpoche’s promise to Zong Rinpoche whom Rinpoche loved so much. I agree with what you said that “We can never experience true Guru devotion, only by seeing how our Guru’s act and treat their Guru’s is all we have. 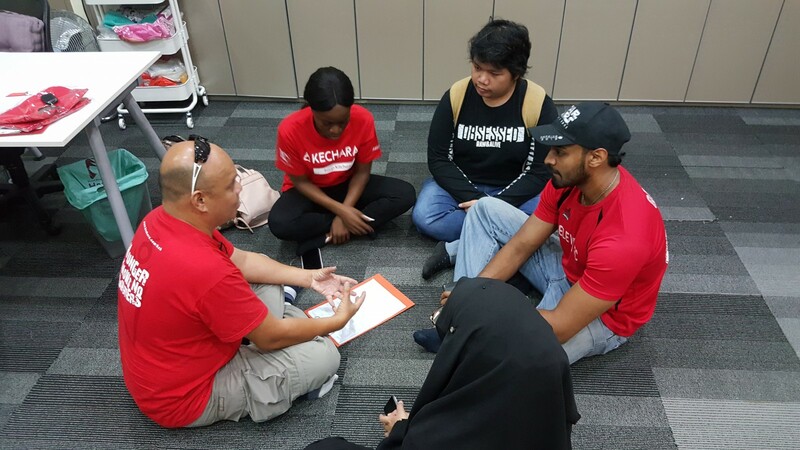 It must be difficult being here in Malaysia dealing with lay people and all the hang-ups of samsara”. 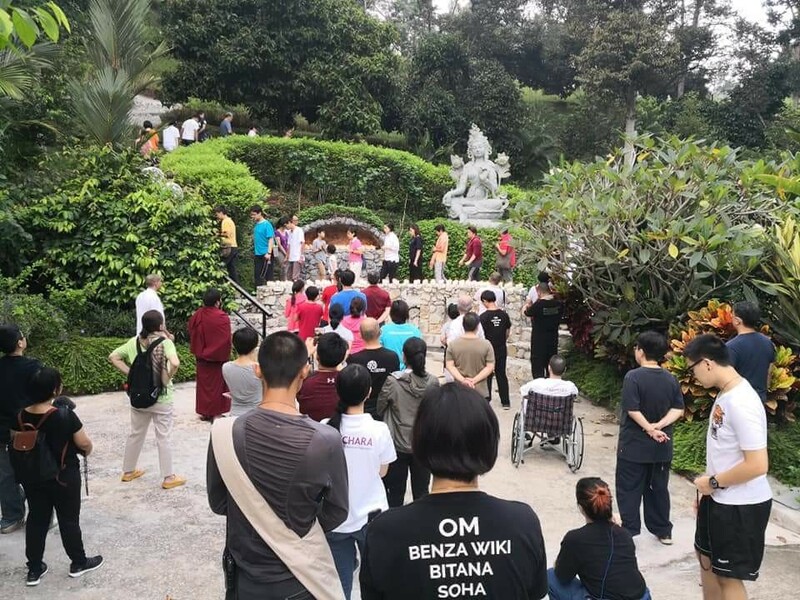 Imagine Rinpoche coming to Malaysia to spread/teach Dharma to a bunch of lay people, who does not even know the life story of the Buddha. It was definitely tough time for Rinpoche. But Rinpoche’s enthusiasm, determination, and pure Guru Devotion is the key and a great example to follow. 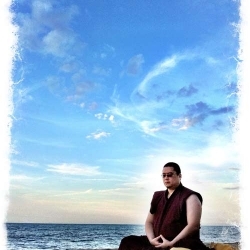 Rinpoche’s whole being and life is a great teaching to us, thank you Rinpoche for your sharing. 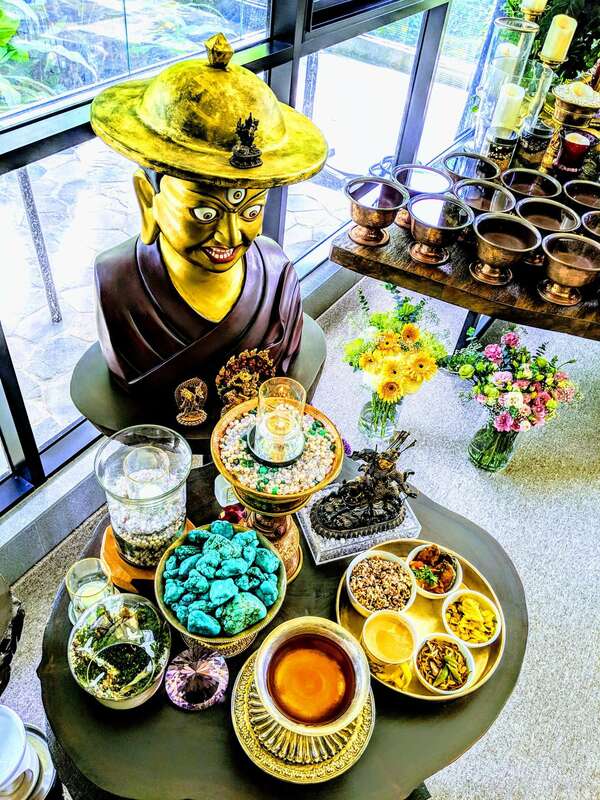 To me real Guru Devotion and what Rinpoche wishes for all his students which is to transform our minds and to change the habits that keeps pulling us down. This is my second time reading this article, and I was one of the 62 people who had the priviledge of visiting Gaden with Rinpoche in 2006. The same powerful emotions still stir within me, as I read the words and looked through the pictures. 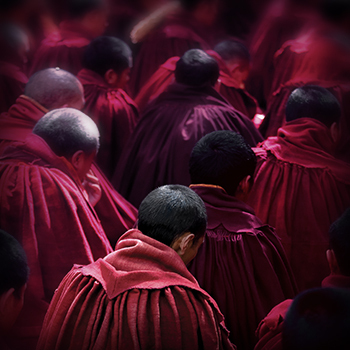 We look at monks and we just assume that they should live this way, austere and minimalistic. We look at the ones with robes, and we automatically assume that they should have very little, and be denied from everything that we cannot we live without. We think this is normal and acceptable because they are monks. In other words, we think that it is all right for monks to suffer or endure hardships because they have renounced from wordly life. That is how little compassion we hold for those in robes. This is how twisted our minds are. 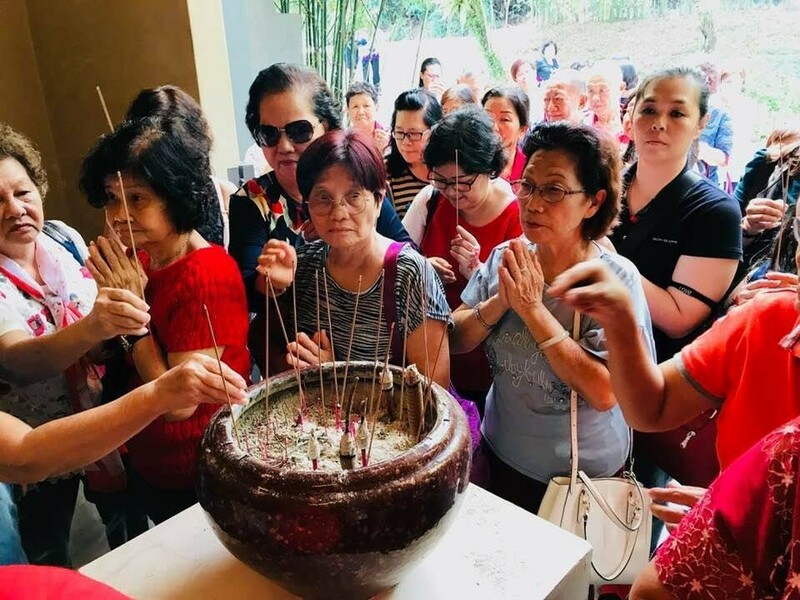 Instead of respecting them and honouring them like Li Kim wrote, we think they should remain in their hardship or suffering because they are monks/nuns. They can’t be seen to be having a good time at all, in any which way or form. If I continue to believe in that perception, then I would not fully appreciate the fact that Rinpoche has gone through so much just to learn what I could not learn, to live a life that I could not bear to live and to become so Instead, I have become the complete opposite of all that. So, the very least I can do is to always honour Rinpoche’s blood, sweat and tears by sbeing devoted and staying fully awake. I realised I was too conditioned by my own ideas/standards of respect, love and compassion. So, I behaved according to that level. 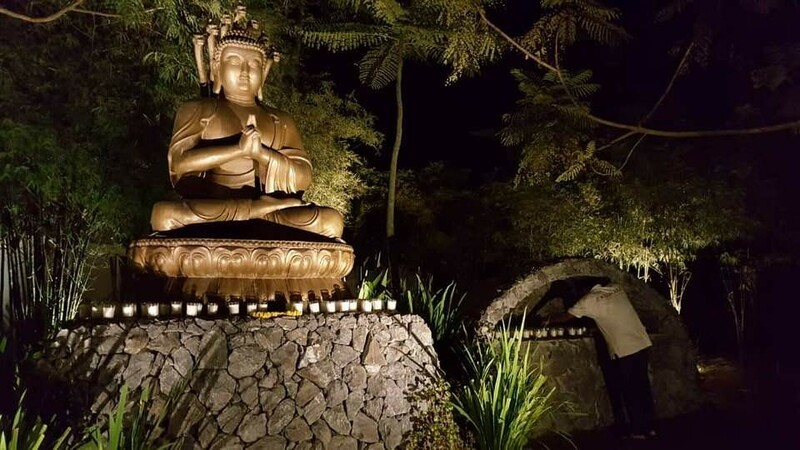 It’s time for me to break out from all that, and become so much more because I should do just that much to express how much I appreciate Rinpoche’s passion in wanting to benefit us all. This is the very least I should do and can do. Thank you so much for teaching us, always, Rinpoche. THANK YOU. 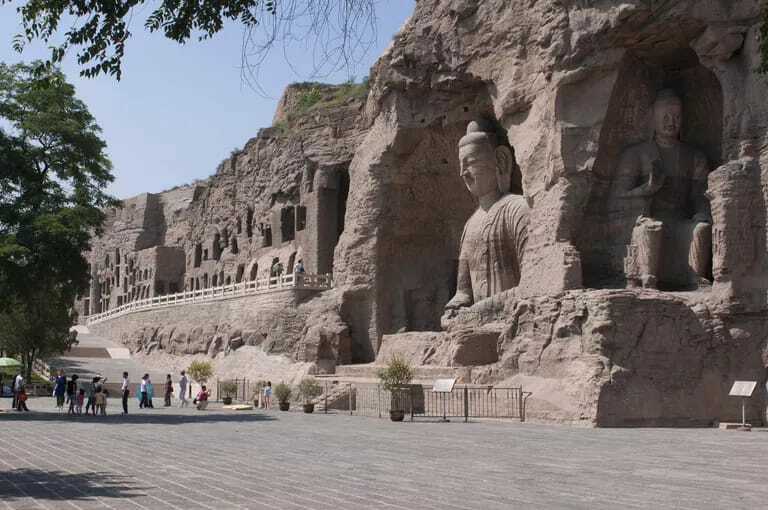 This really is a great existence, great place for practice, so simple and nice. 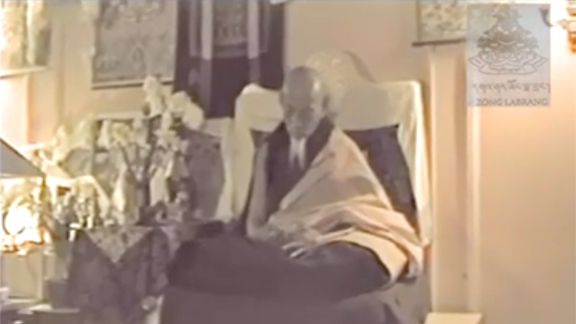 Whenever Rinpoche talks about his Guru I can feel the sincerity, genuinity. The fact that Rinpoche continued his studies even after his Guru had passed away before he could meet him again is a testament to Guru devotion. 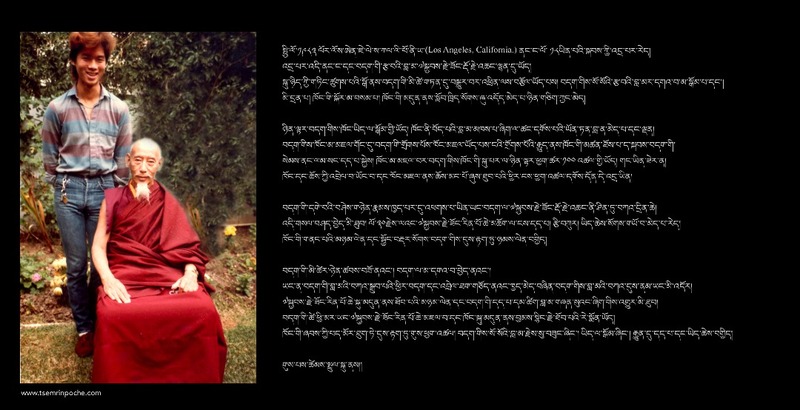 Rinpoche kept his promise, is keeping his promise to all his Gurus. We can never experience true Guru devotion, only by seeing how our Guru’s act and treat their Guru’s is all we have. 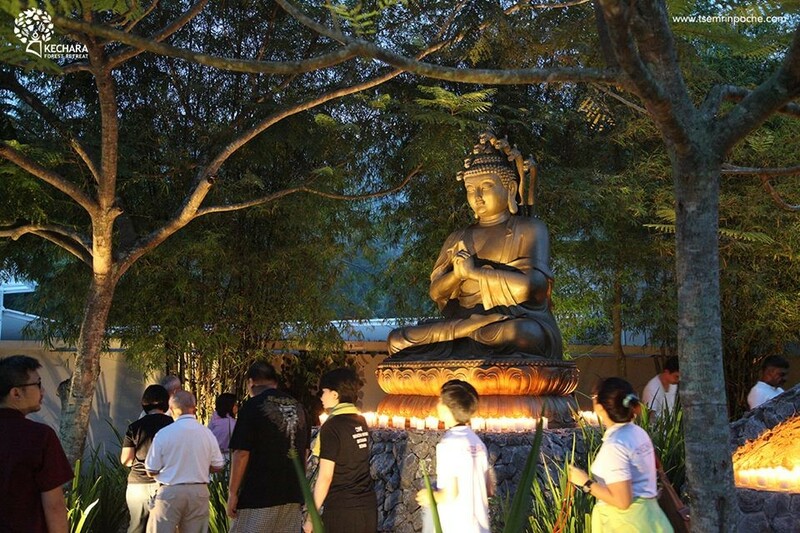 It must be difficult being here in Malaysia dealing with lay people and all the hang-ups of samsara. Reading this article humbles me, actually it’s more than that, I am embarrassed reflecting what I have and yet can still complain. Rinpoche not only did not complain, he loved his cowshed which he made his home. 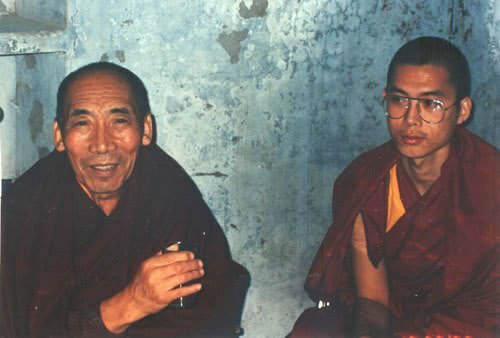 In this article I can deeply experience Rinpoche’s love for his root Guru, Kyabje Zong Rinpoche. 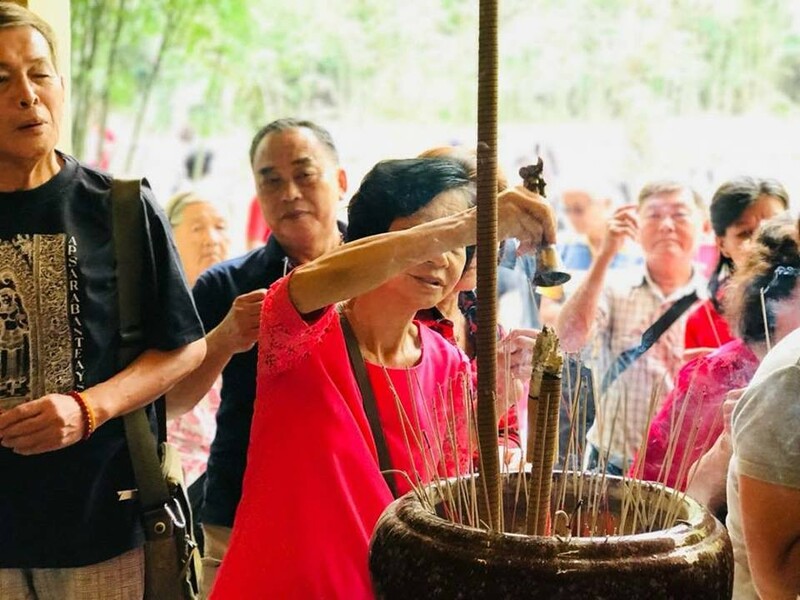 Despite having passed so long ago, Rinpoche still remembers vividly everything about Zong Rinpoche, and holds the memories so dear in his heart. The closest I can come to this experience was when my grandmother passed away 23 years ago. And, I can imagine one day when my mom passes, I will cry for a long time and cherish her forever in my heart. 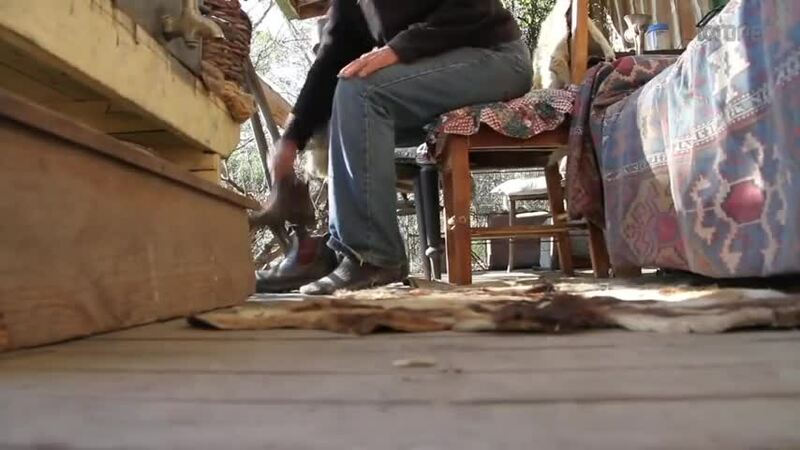 This article also brings light to my understanding of how basic and minimalistically monks live and yet they do such great work to benefit many sentient beings. Truly defining the meaning of altruism. This makes me understand deeper now WHY we MUST respect the holy monks. 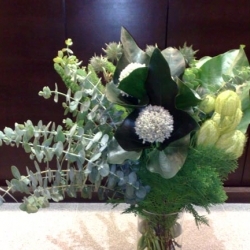 Thank you for putting it up on your blog and sharing it with all. 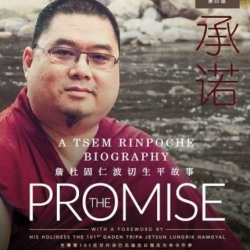 Although i know of this from a long time ago and have heard and read it many times, nevertheless, each time it still touches me and brings tears of inspiration, joy and sadness all at the same time; the years of hardship Rinpoche had to endure for others, the tenacity, the inspiring example that “if theres a will, theres a way” to achieve ones goal and dreams. 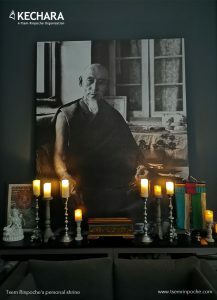 Thank you Rinpoche for being the beacon of hope and light in my otherwise meaningless samsaric life. 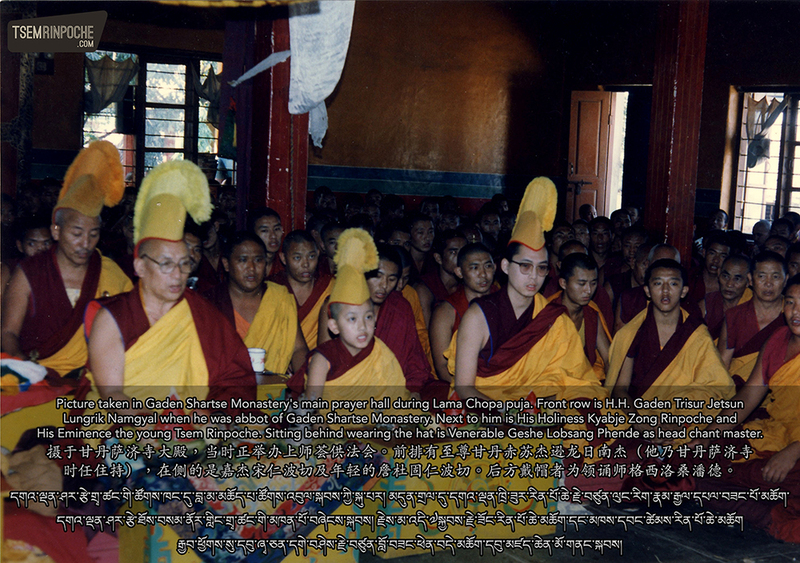 These pictures bring back the beautiful memory of our Gaden trip in April 2006, together with Rinpoche. It was deeply moving to see how all the monks, even the HIGH Lamas, treated and welcomed Rinpoche first hand. It was also my first trip to India and to a monastery. Didn’t know quite what to expect. 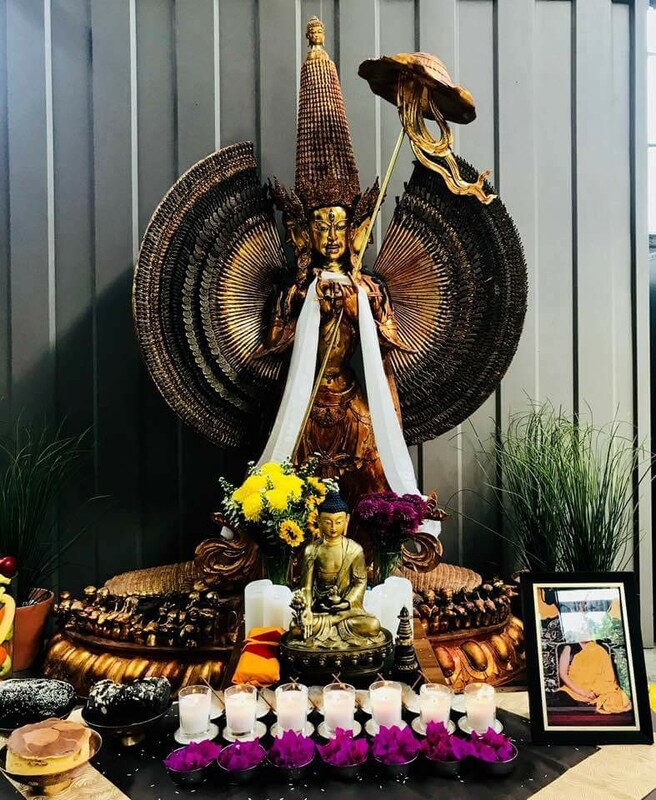 What’s really enduring was seeing how GURU DEVOTION pervades the entire landscape that makes Gaden so special – starting from Rinpoche’s very own devotion to his own Guru, Zong Rinpoche. None of us could believe that Rinpoche actually lived in that cowshed when we saw it but Rinpoche really did and was really happy there. Infact when that picture was taken in April 2006 where Rinpoche sat on his bed in that cowshed, Rinpoche said that he would return and live there in a heartbeat because he feels closest to the Three Jewels there. You see, Rinpoche is nothing like us. 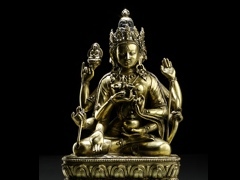 Rinpoche has never been impressed with materialism nor is Rinpoche attached to luxury. 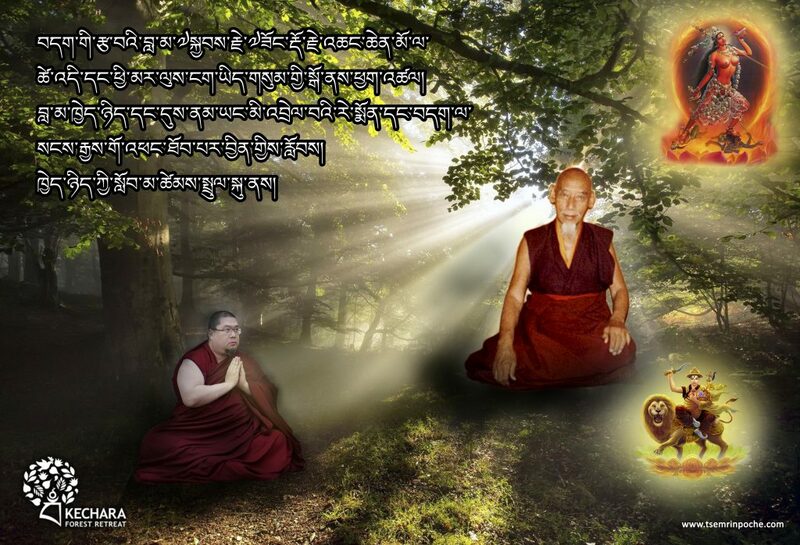 However Rinpoche is definitely very attached to the Three Jewels. 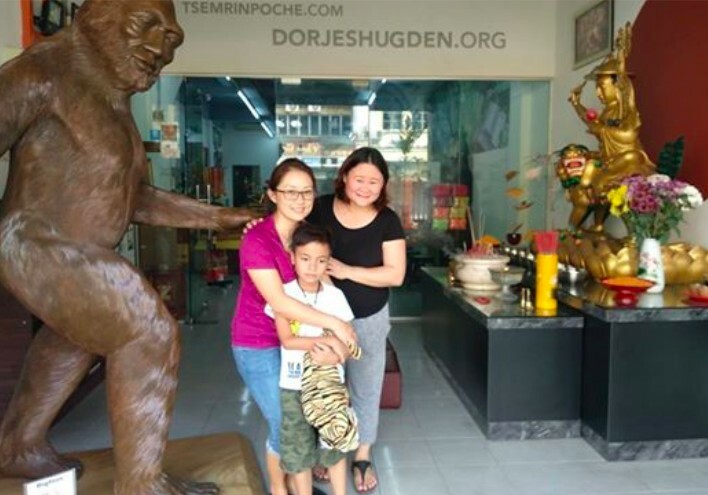 In that sense, Gaden is always in Rinpoche’s heart and wherever Rinpoche goes, Gaden goes with him. Rinpoche carries His GURU AND GADEN in HIS HEART. That’s what I have learnt from our Gaden trip, after everything I witnessed with my own eyes since the day I met Rinpoche in October 2004. 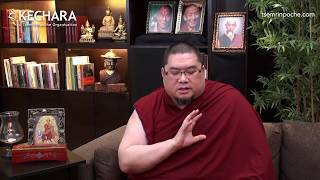 This is such a wonderful sharing – Rinpoche’s level of Guru devotion is exemplary, something every one of us on a spiritual journey should aspire towards. I remember visiting that little room – it sure was humble and stark but it was full of happiness. 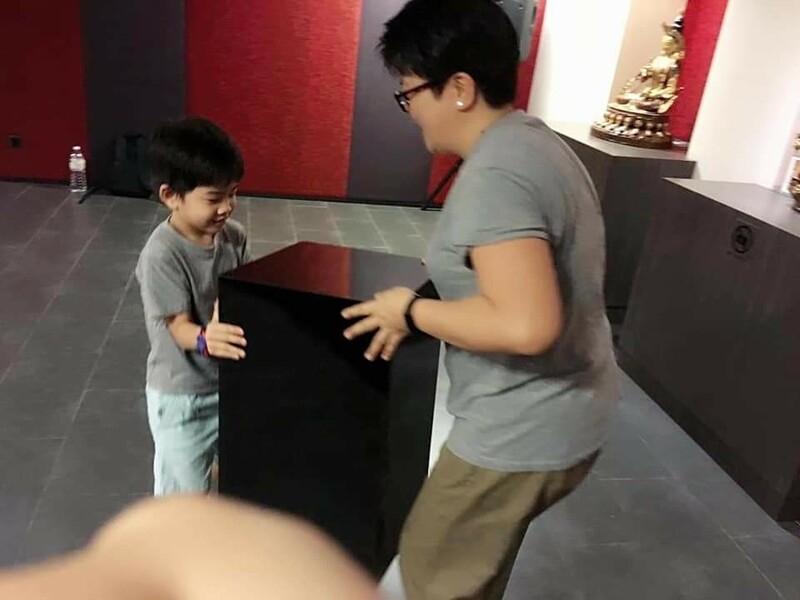 I don’t think I’ve seen Rinpoche look as happy as he did for those moments in his old room. Yes, you are right. It was a wonderful trip on all aspects. I am glad you could come along also. then we in the end also become liberated. This is an overwhelming story. And I so remember my trip to Gaden with Rinpoche. It was one of the best experiences I have. I will never forget it. I will treasure all the spiritual pilgrimages I go to and especially Gaden. Love give us power for living. Thank you for this heartily report. 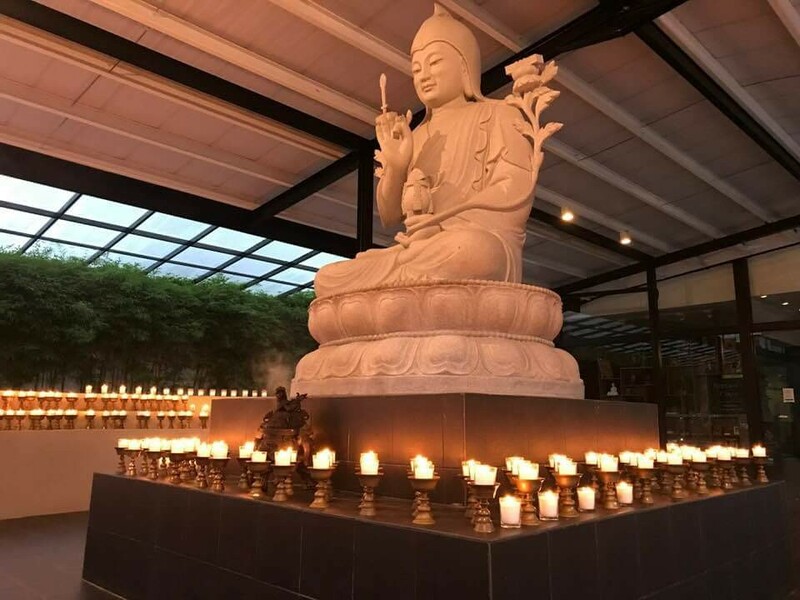 Dear Rinpoche,in this blog you show us what is true Guru devotion,we take things very lightly and give up upon the slightest obstacle we come upon.When you come across hardship, you accept it with delight. As you know what you want and determine to achieve it . 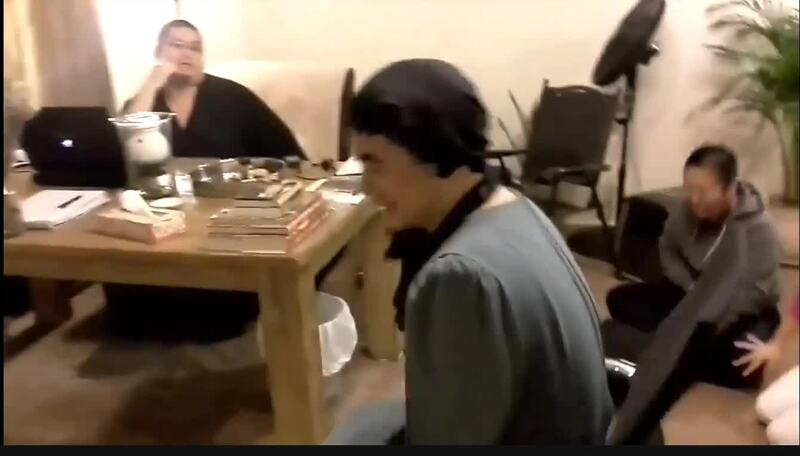 You treasure every bit of this memory as this is karma that we could not avoid.From this hands on lesson on hardship, you teaches us real life Dharma ,no one could ever doubt you ,as you have truly past through this phrase of samsara life.I will never forget what you have thought us.Thank you.